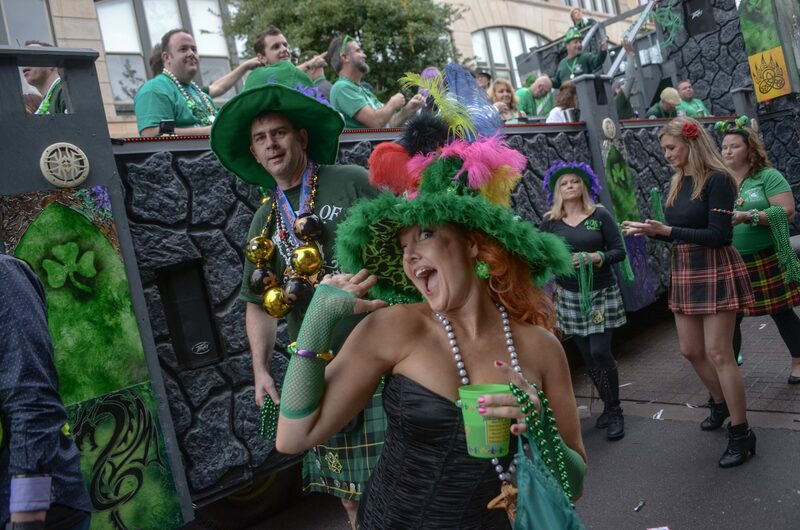 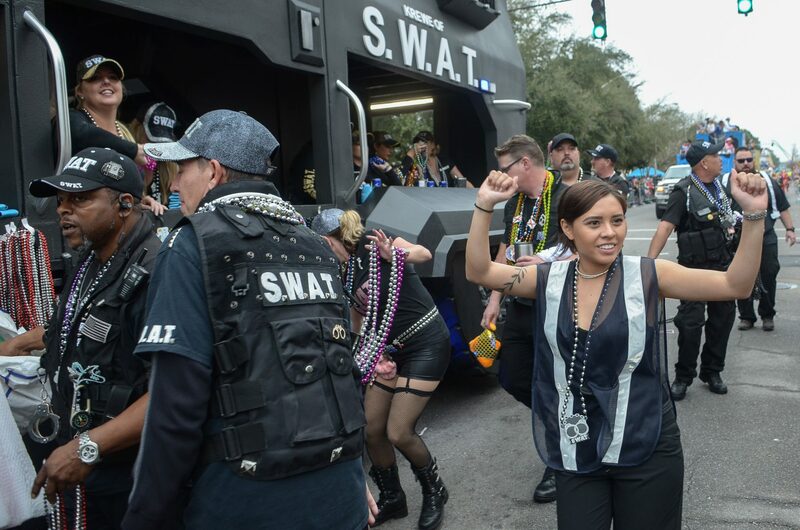 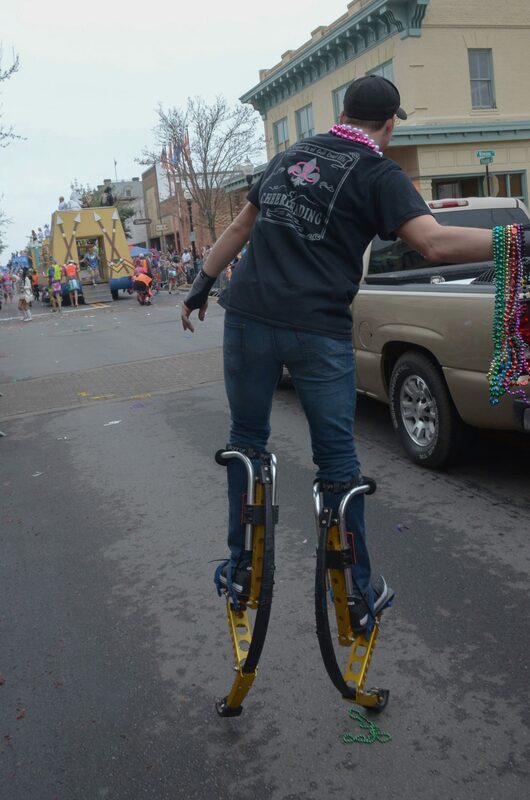 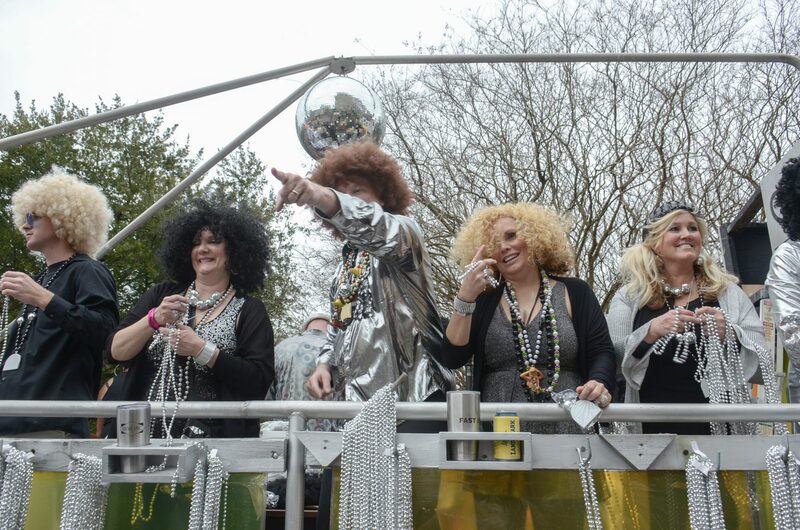 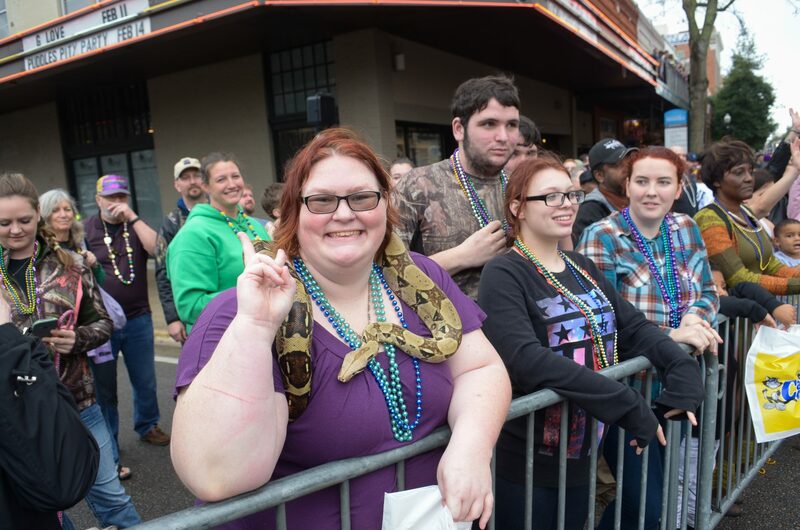 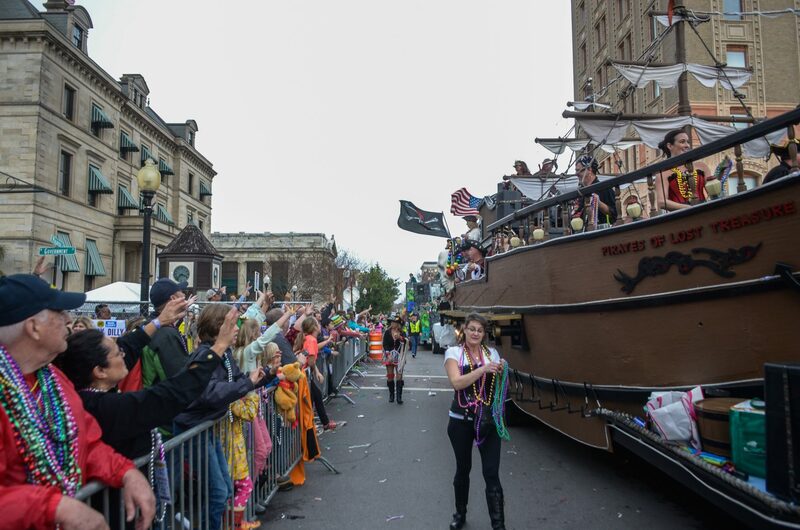 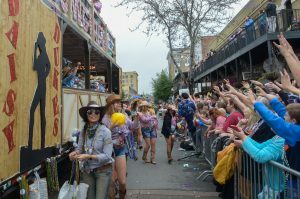 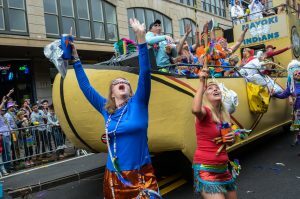 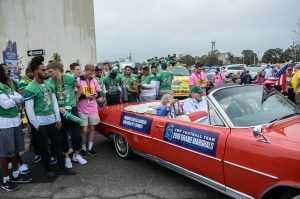 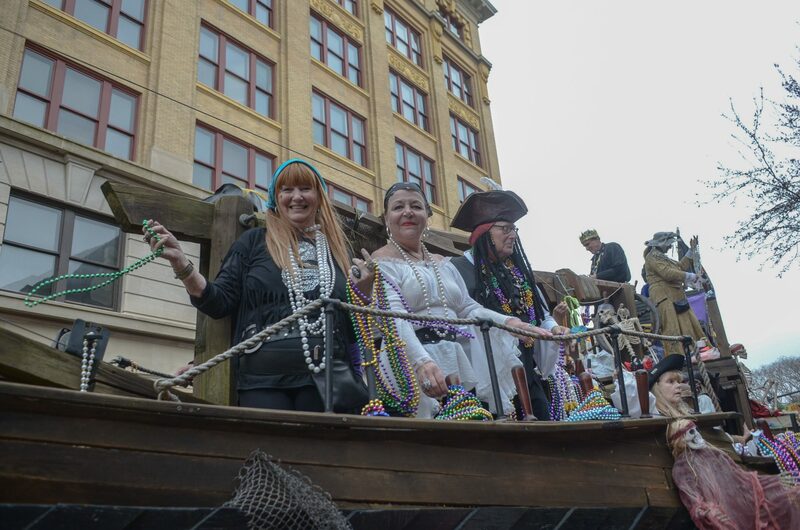 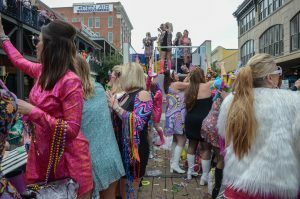 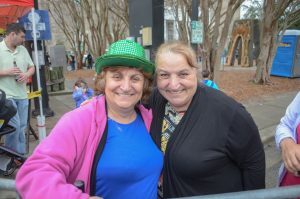 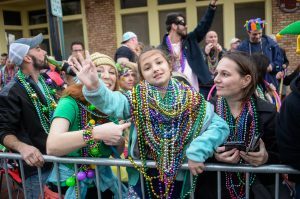 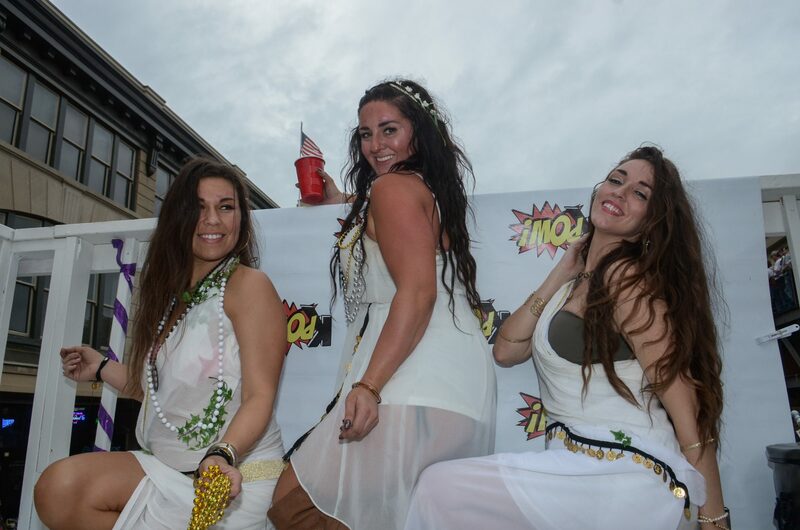 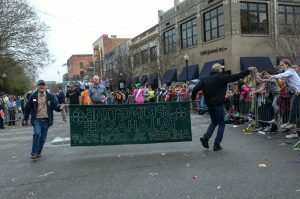 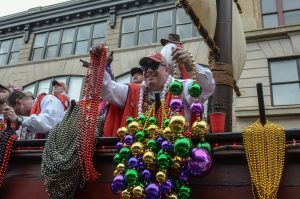 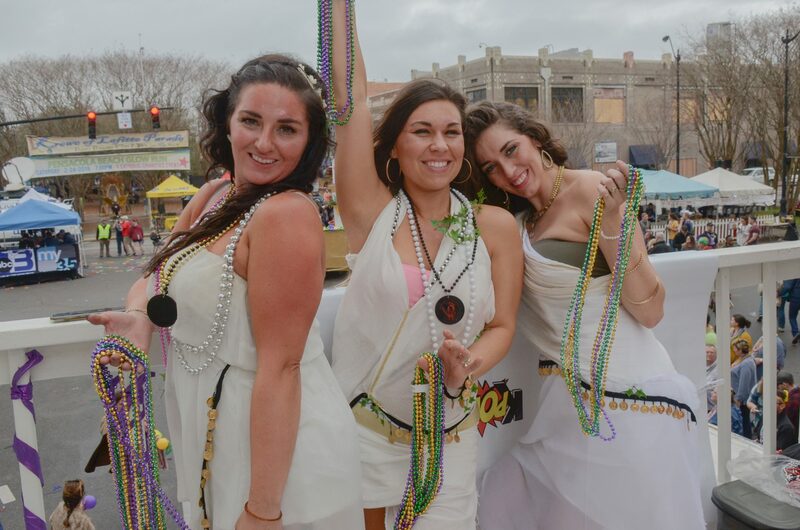 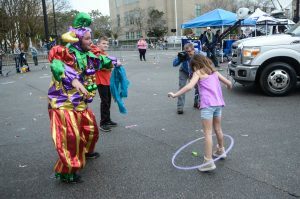 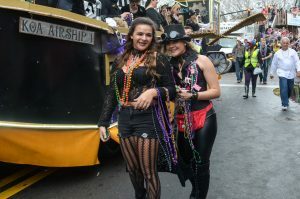 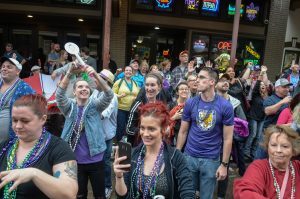 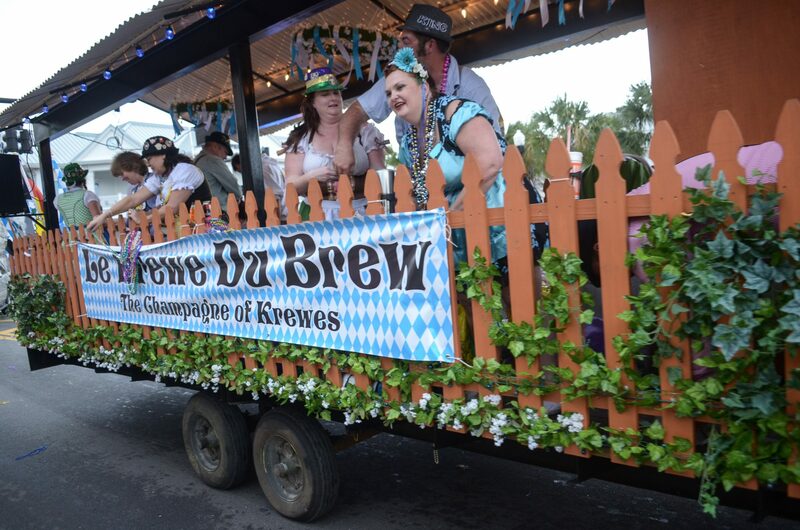 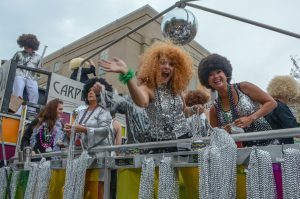 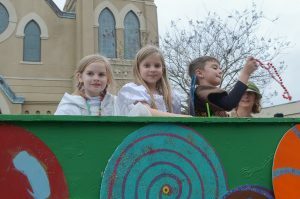 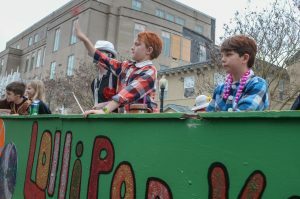 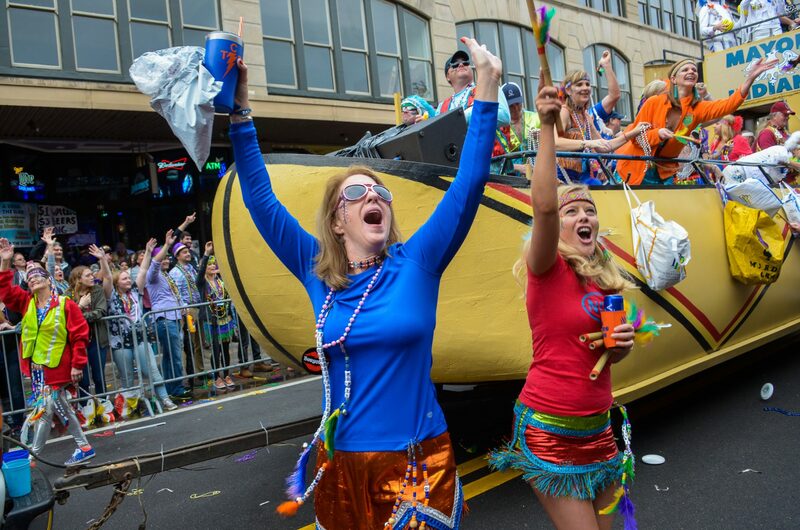 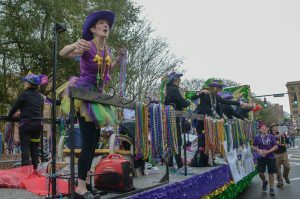 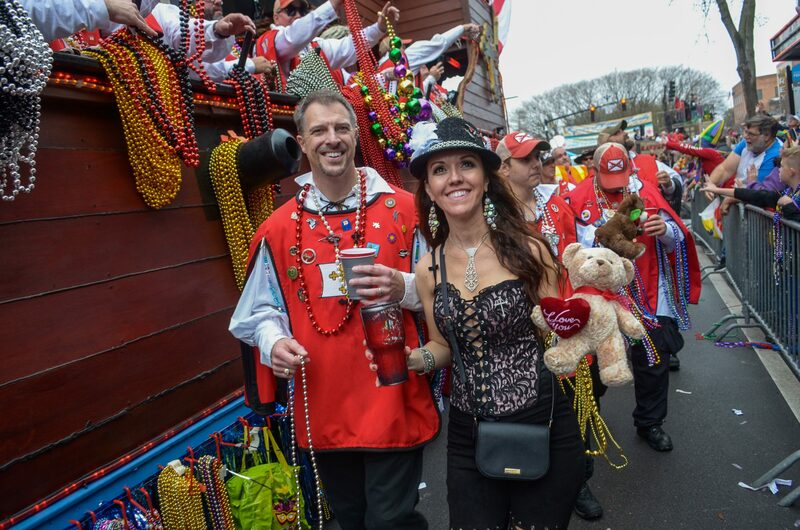 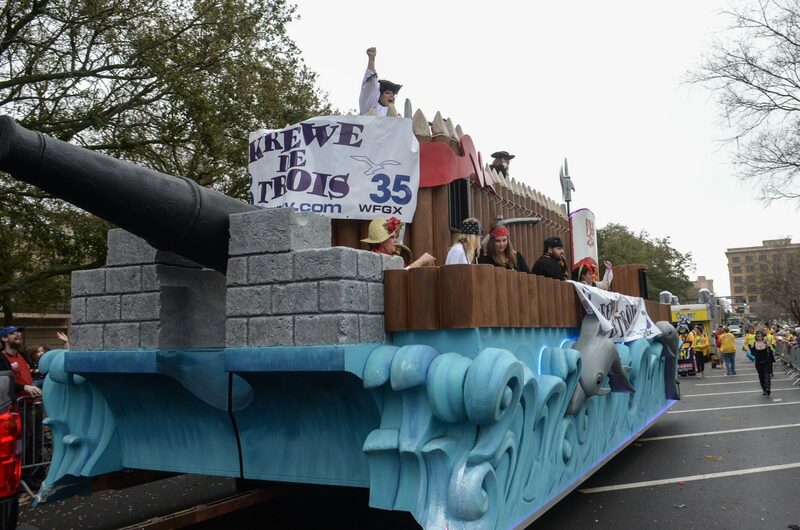 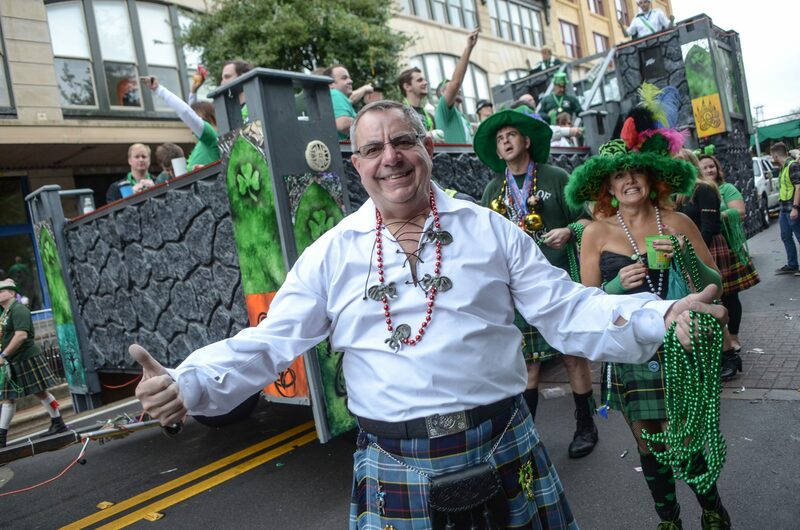 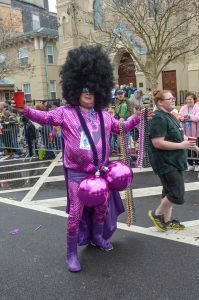 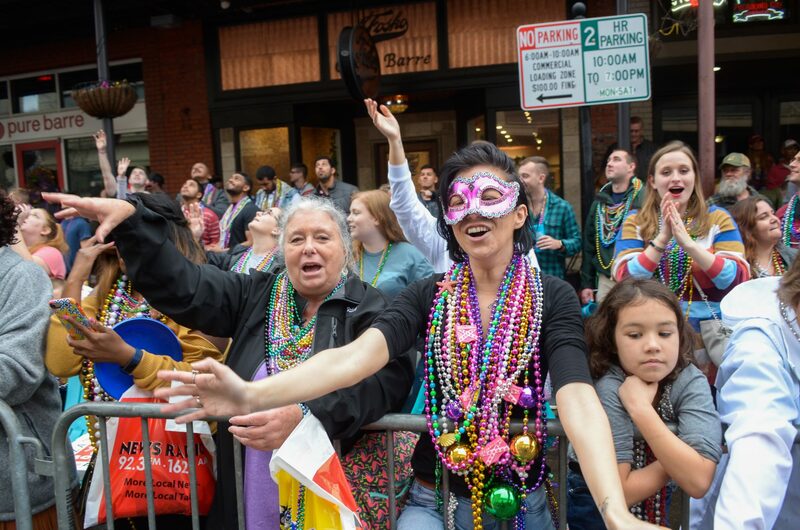 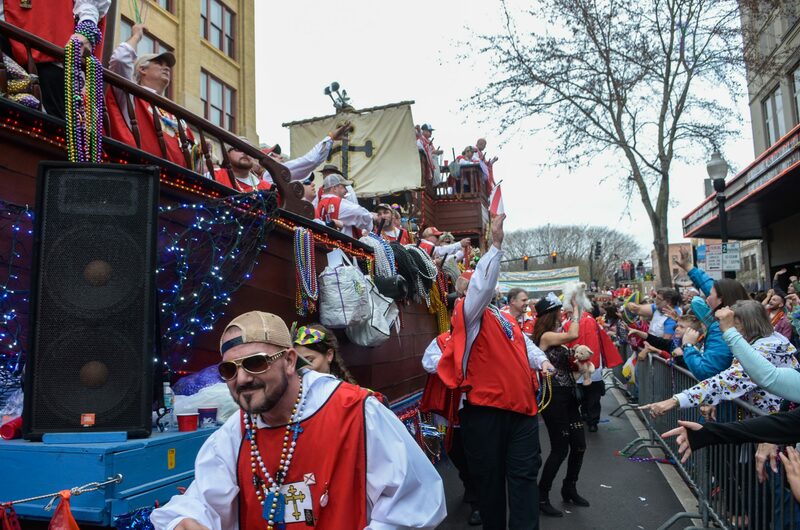 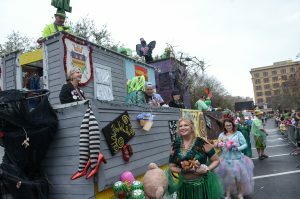 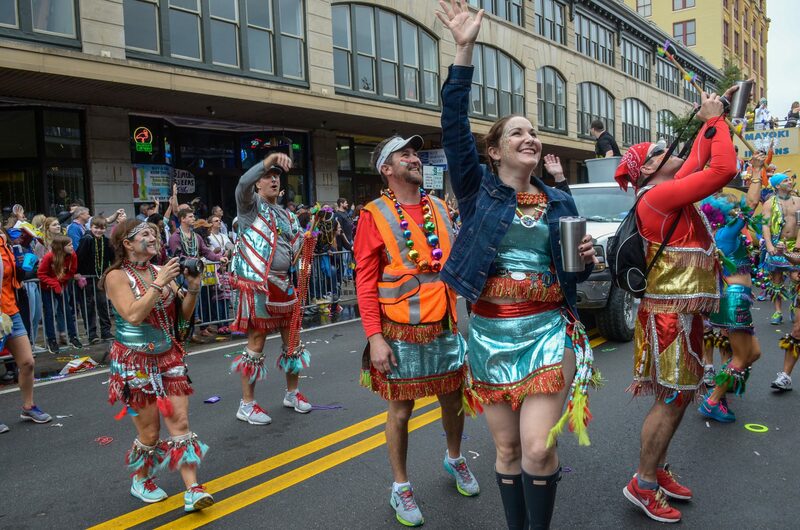 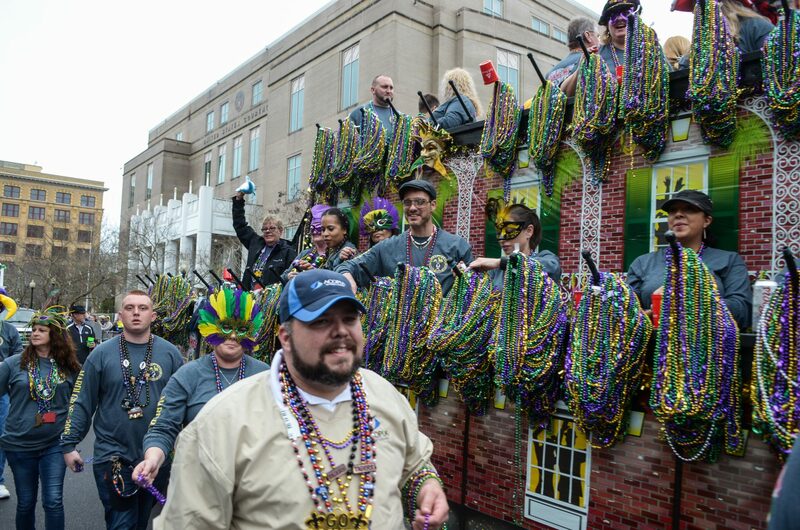 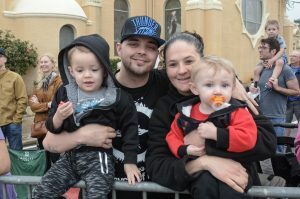 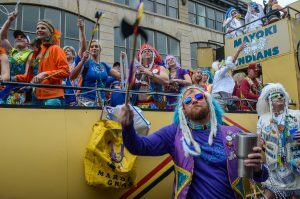 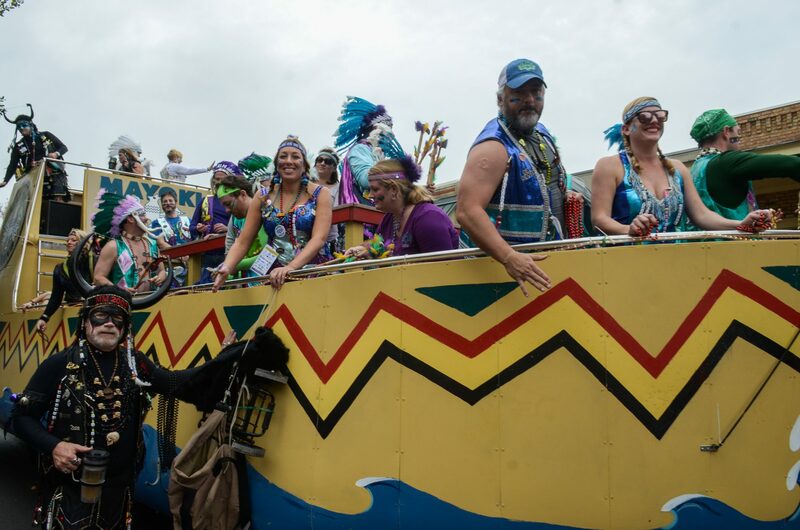 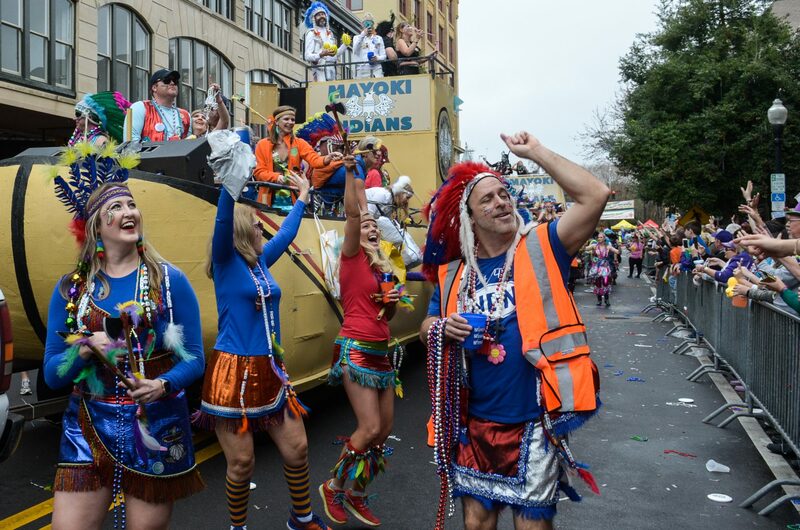 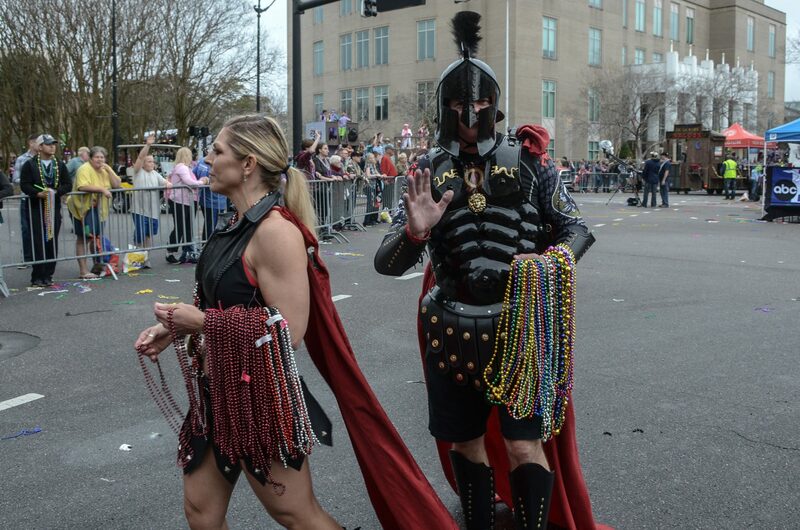 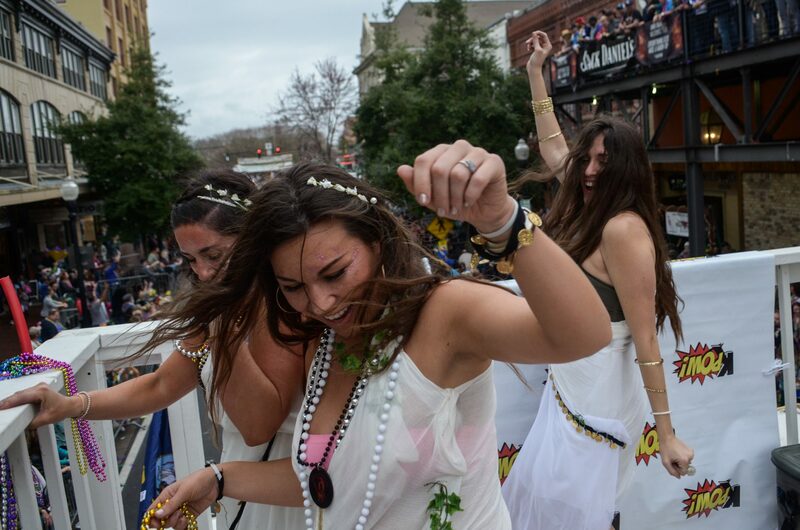 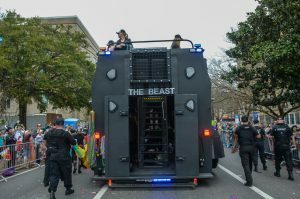 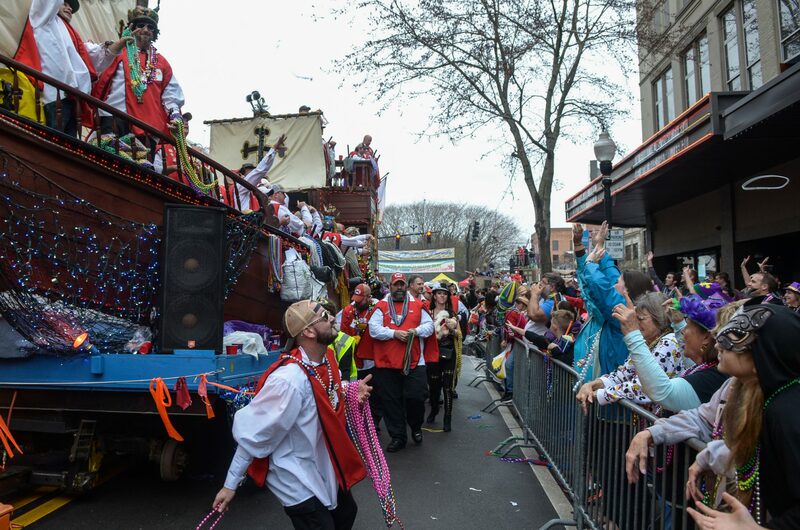 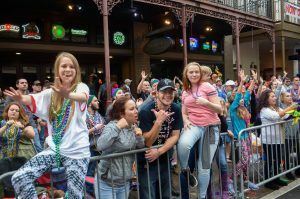 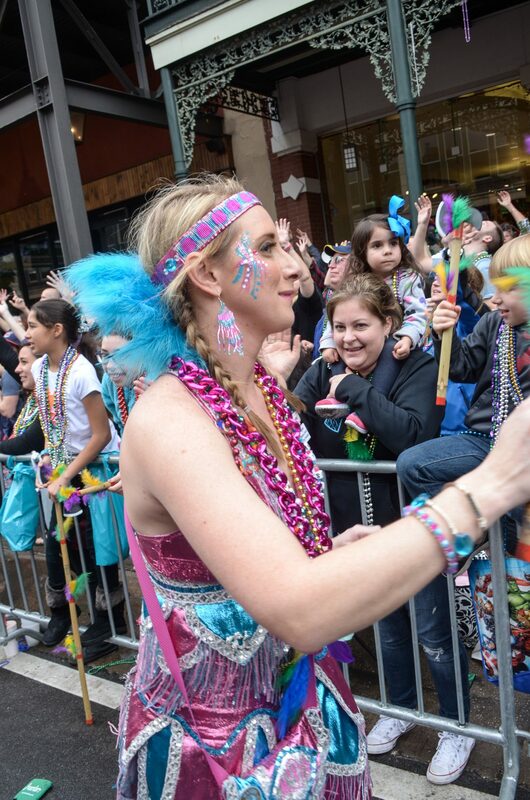 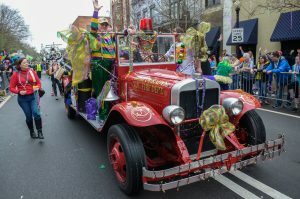 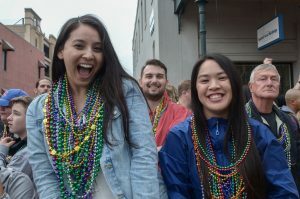 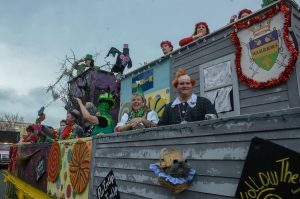 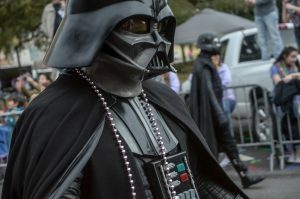 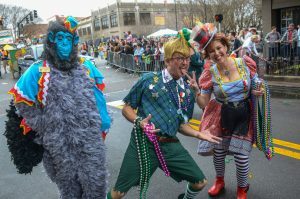 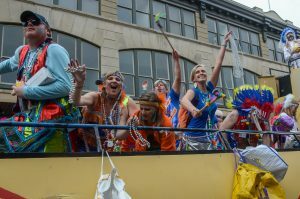 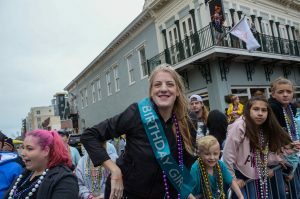 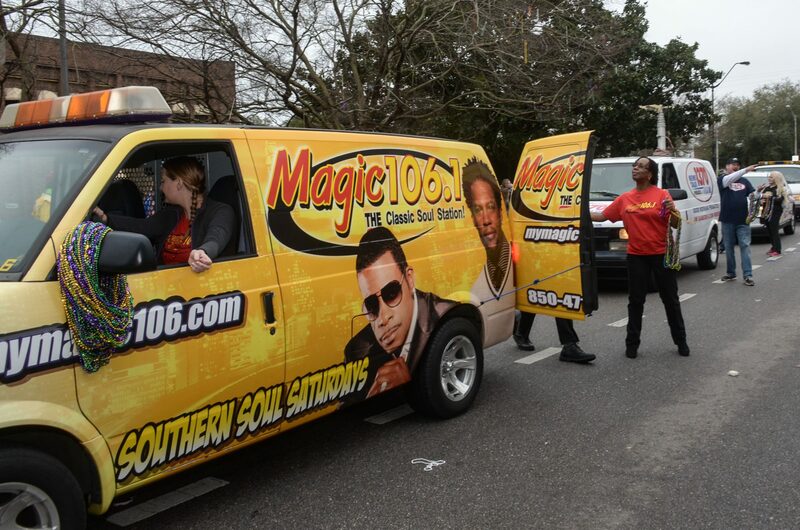 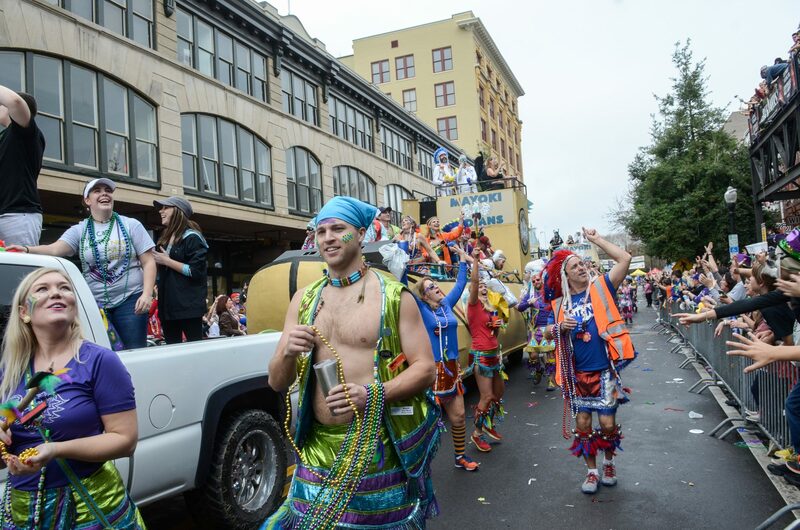 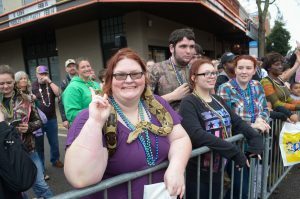 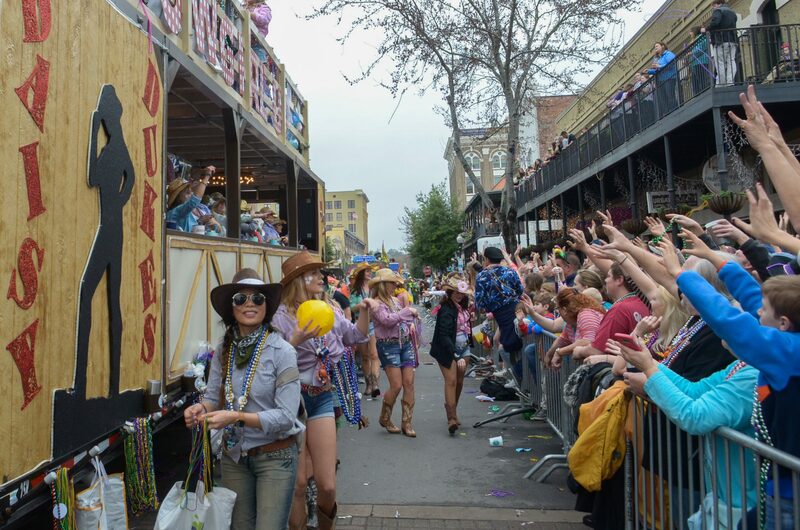 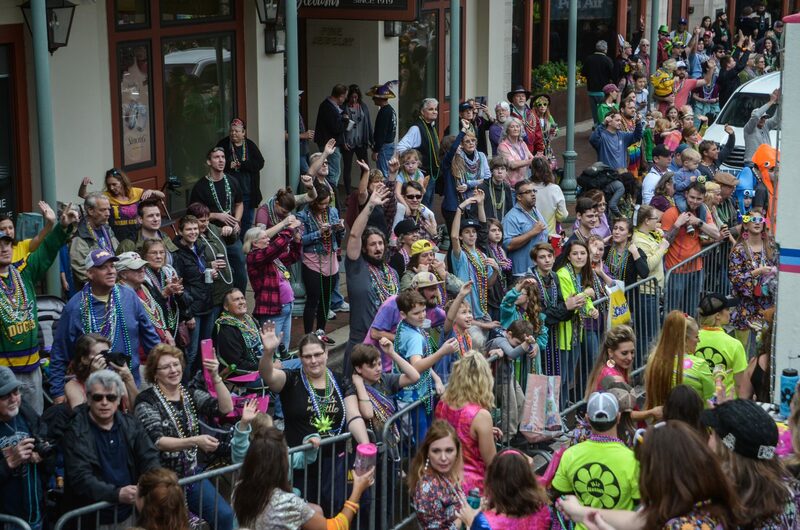 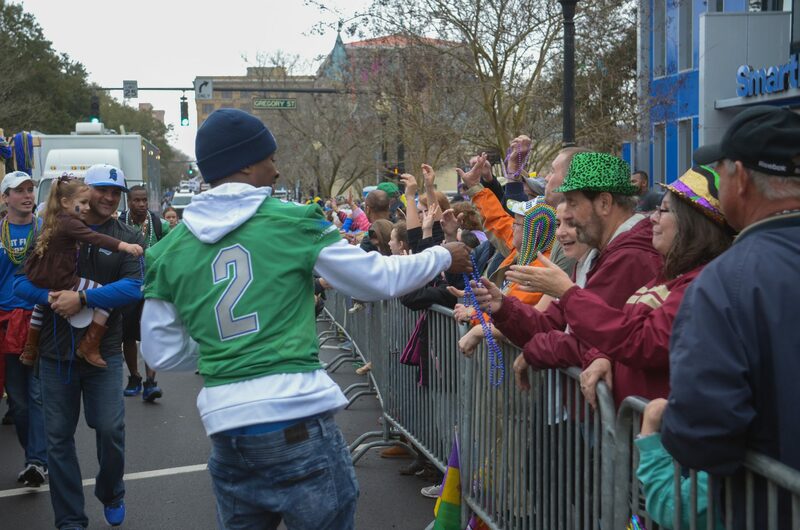 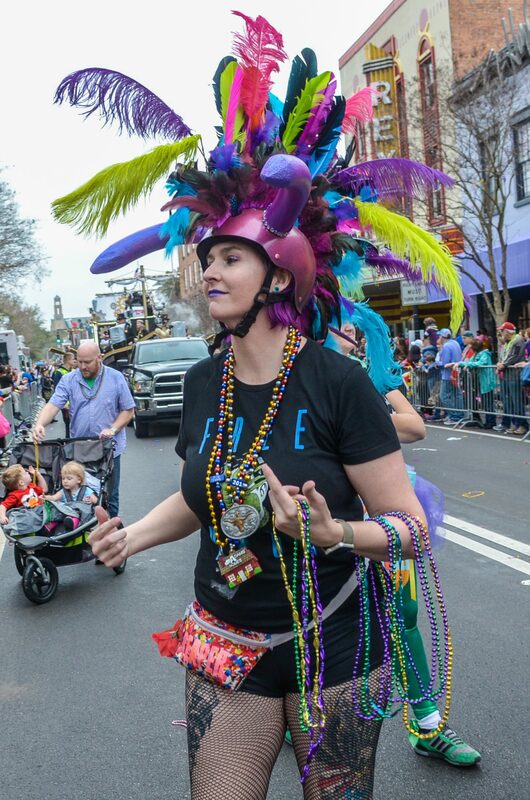 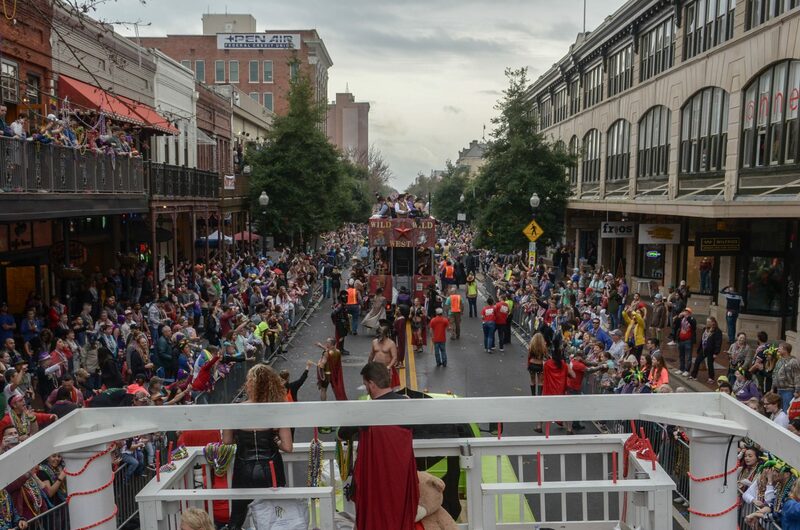 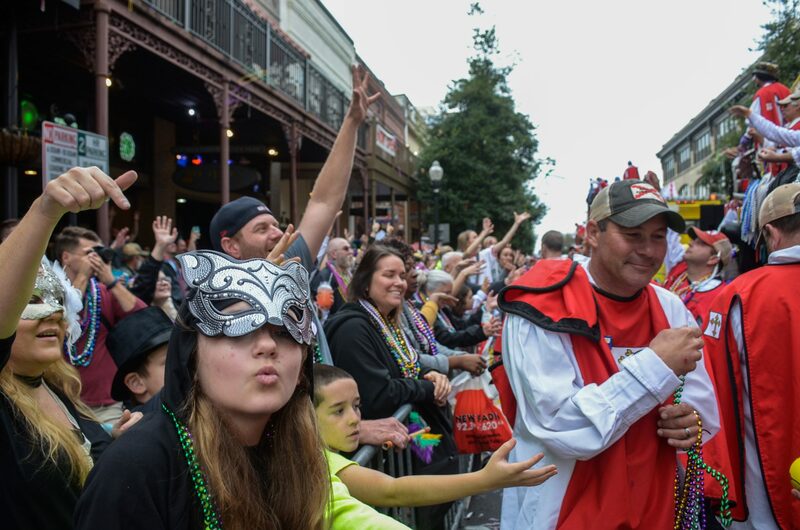 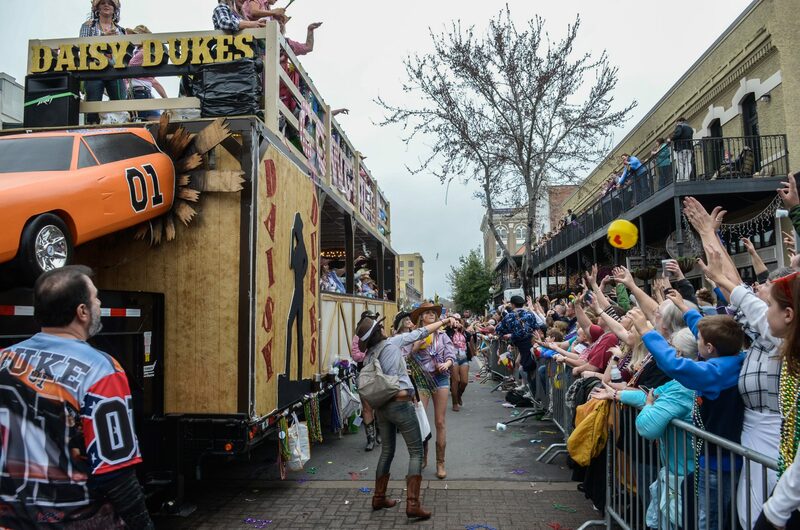 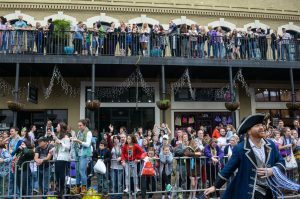 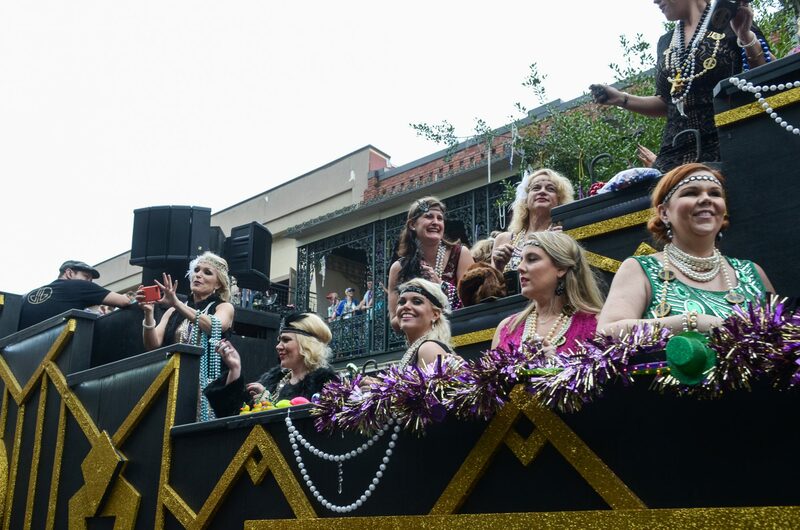 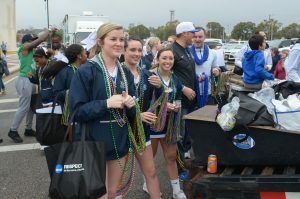 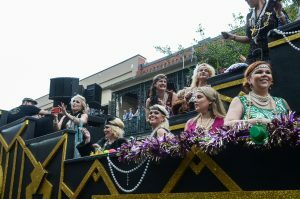 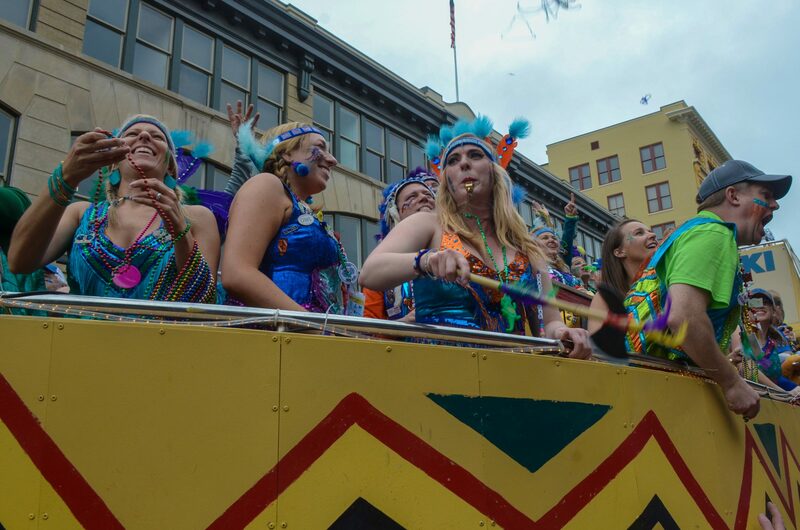 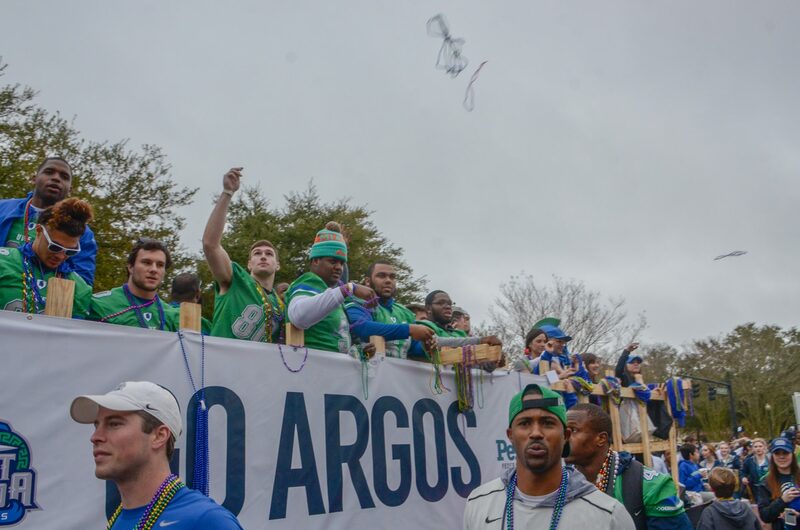 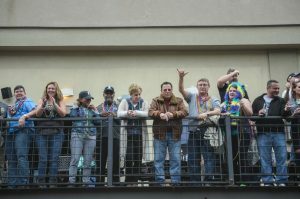 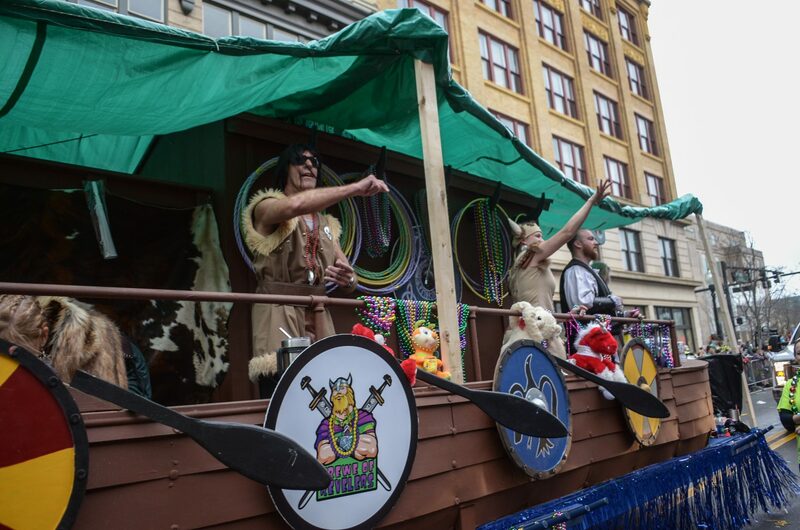 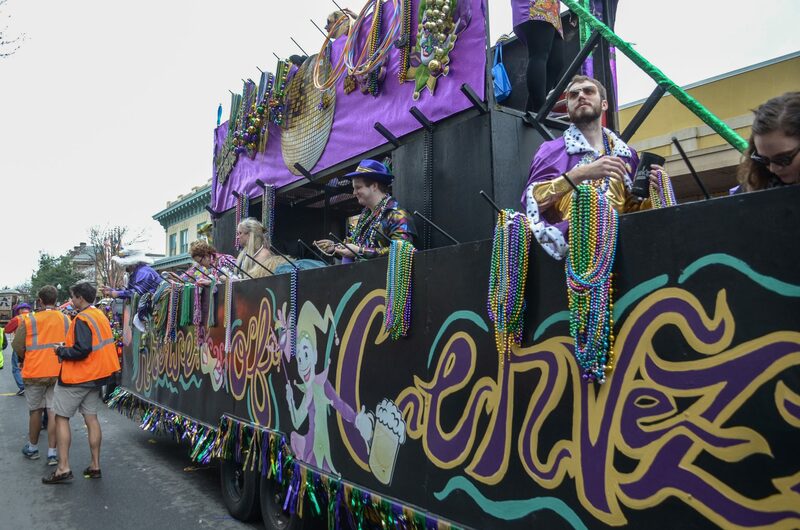 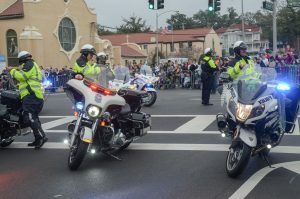 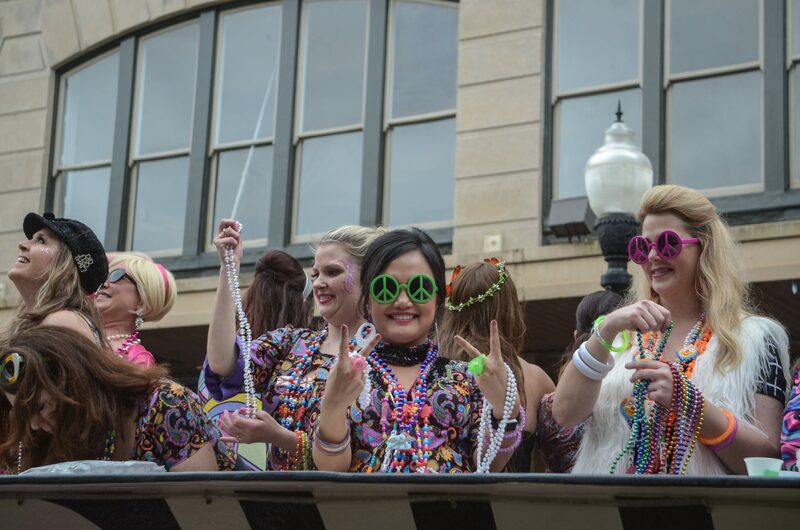 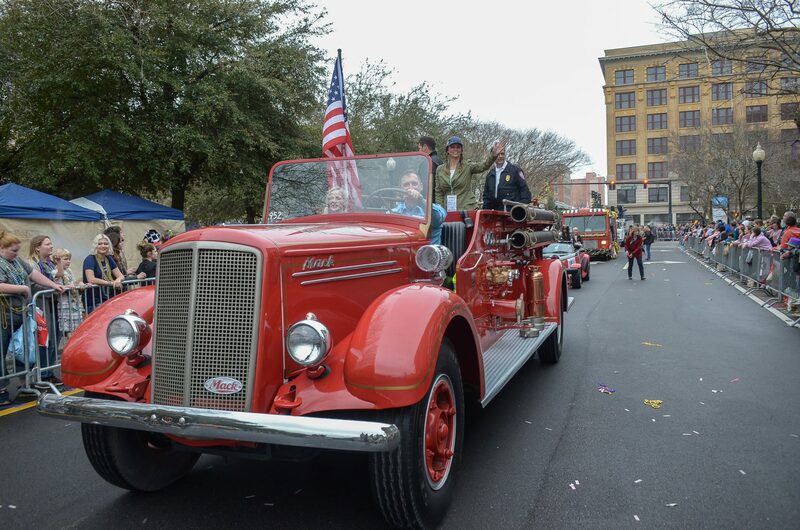 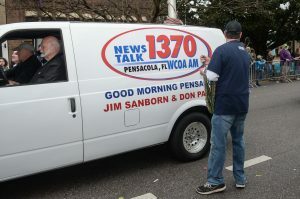 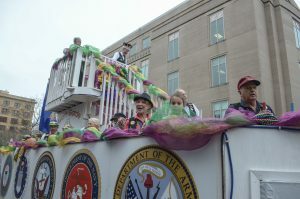 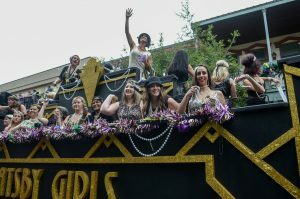 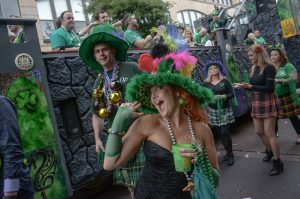 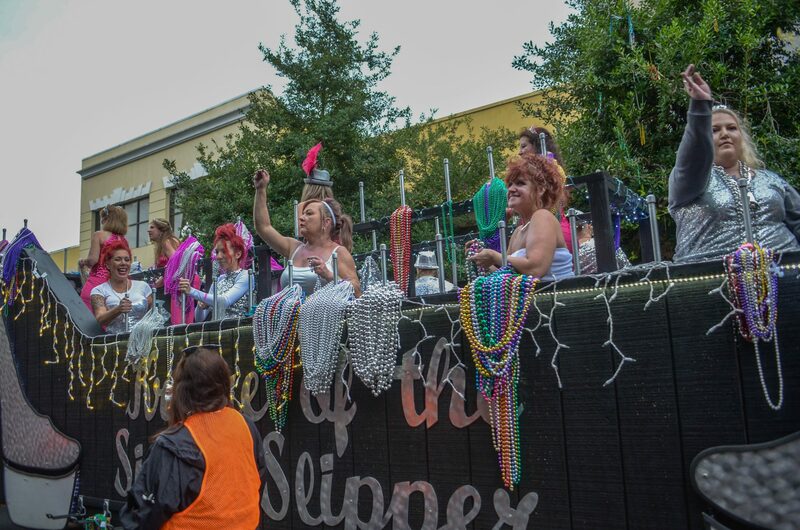 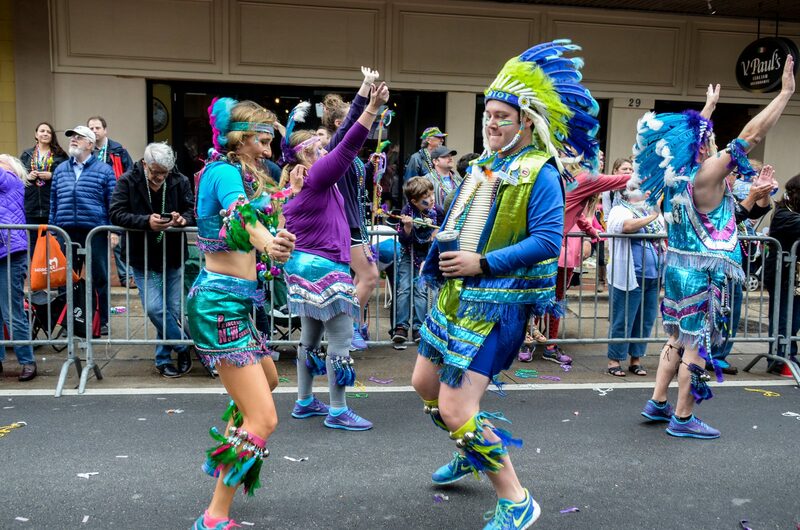 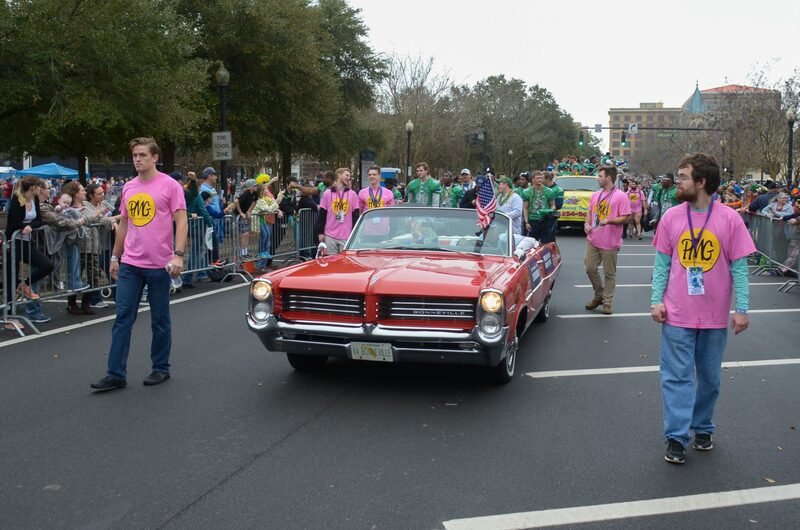 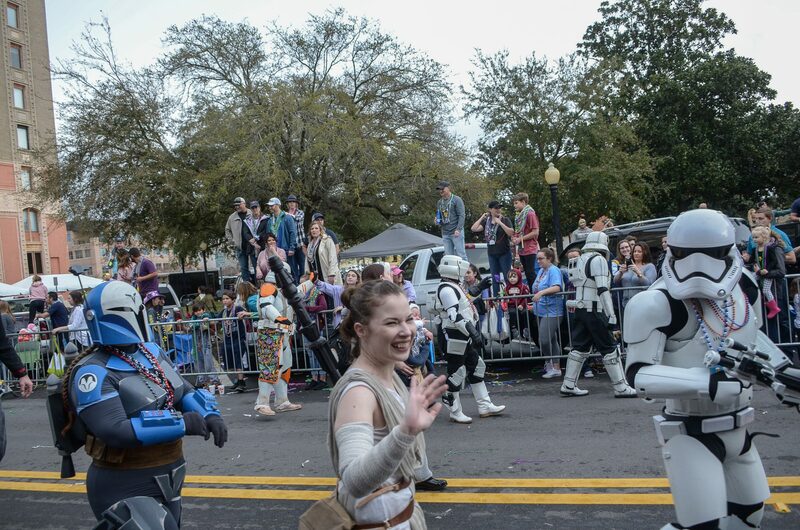 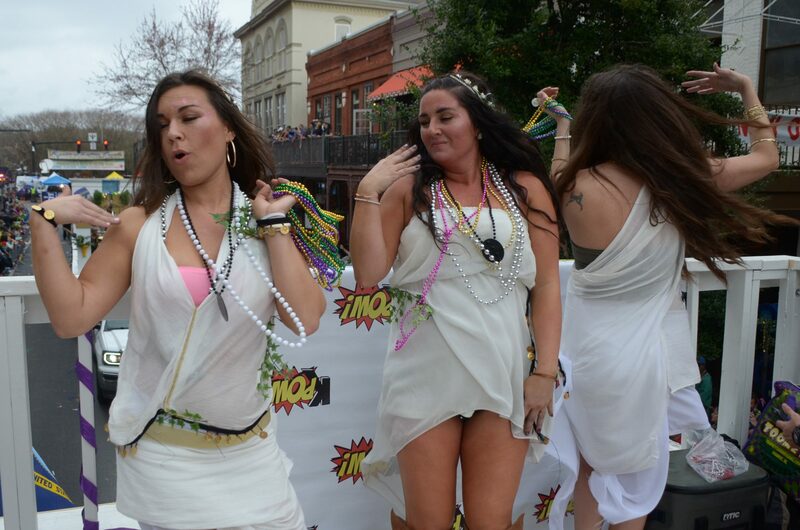 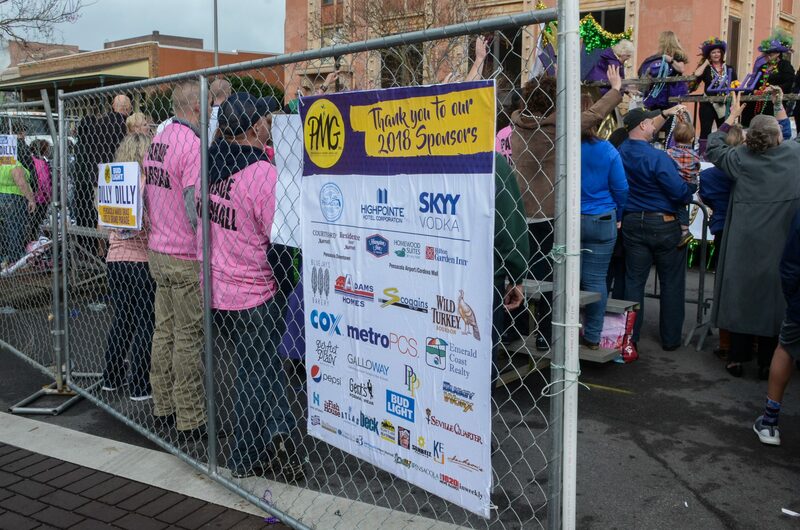 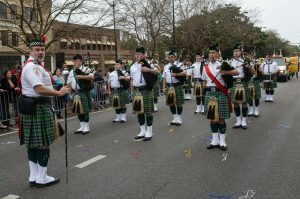 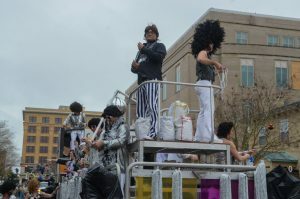 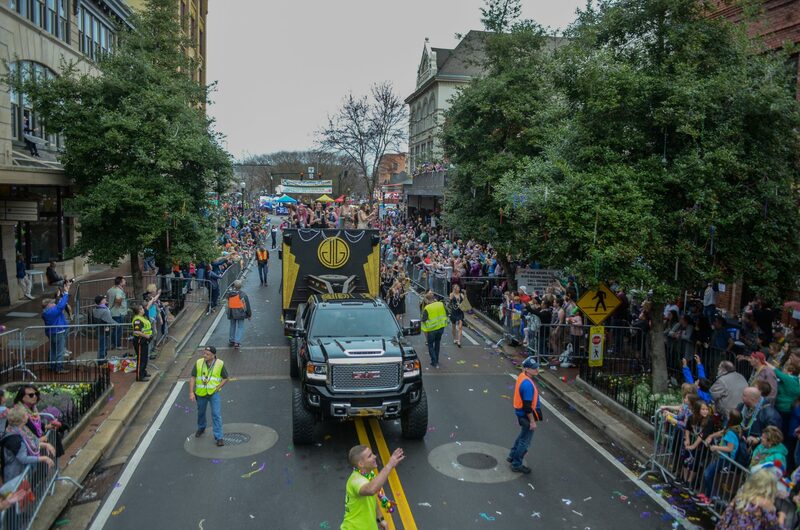 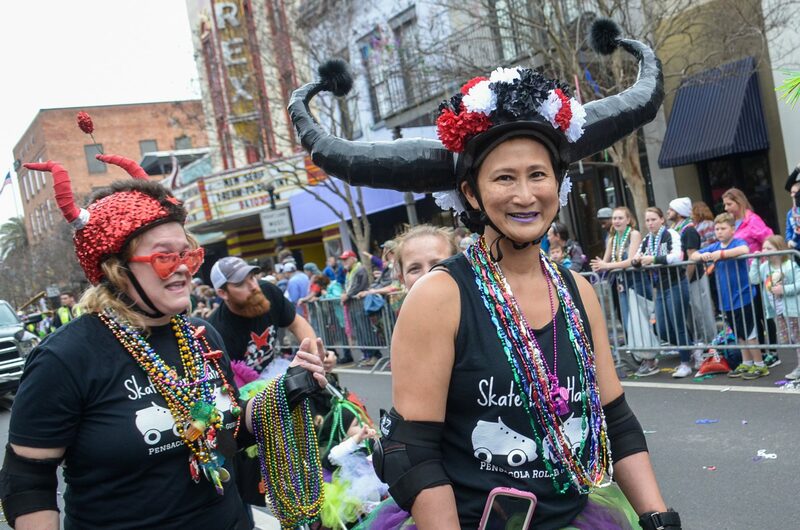 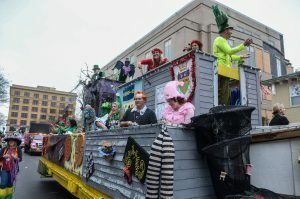 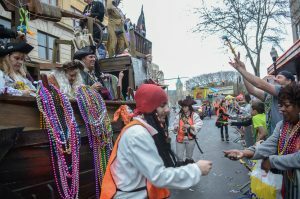 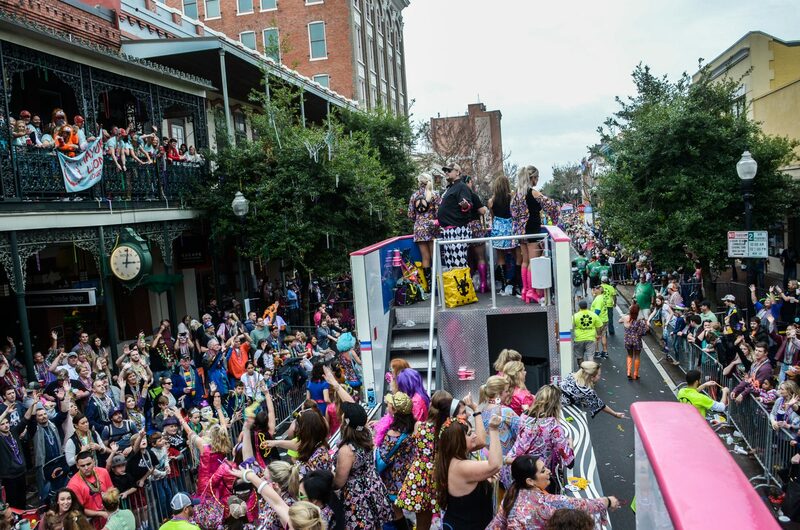 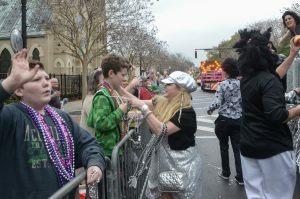 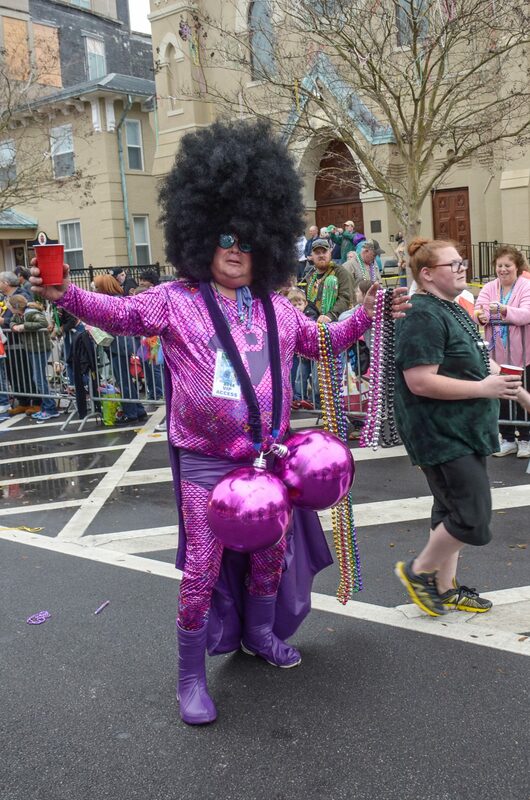 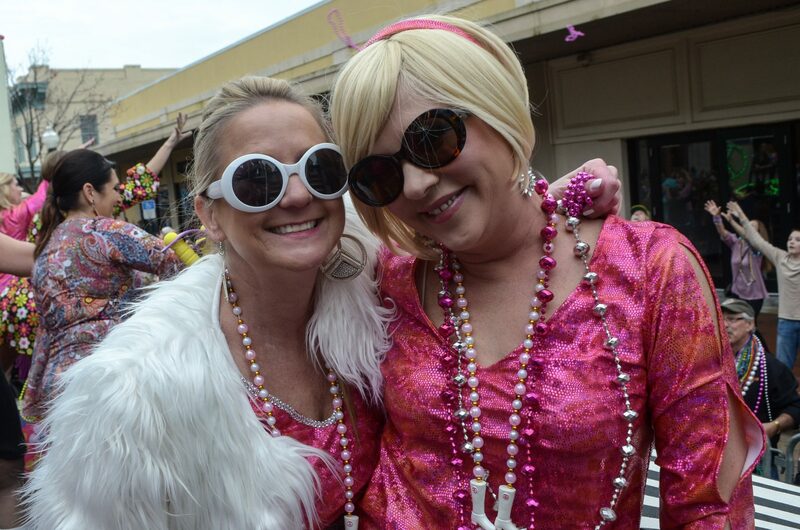 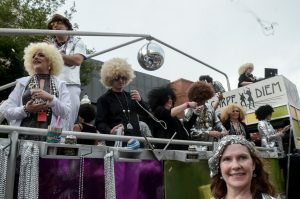 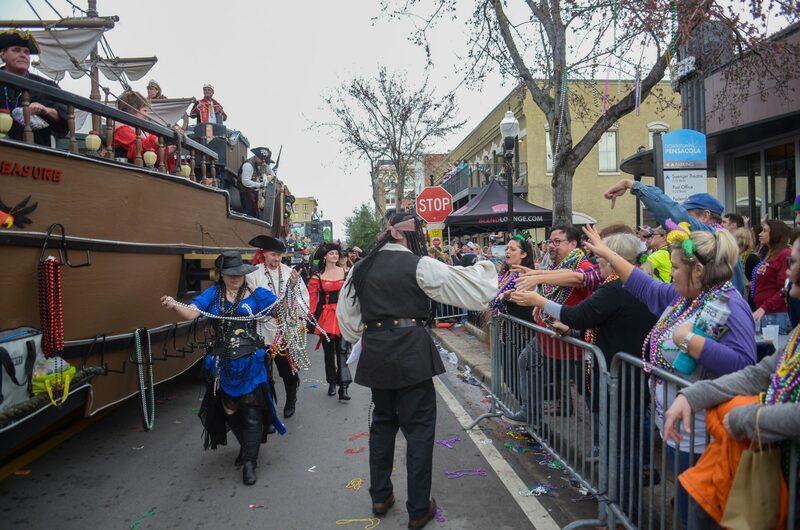 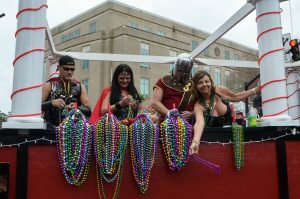 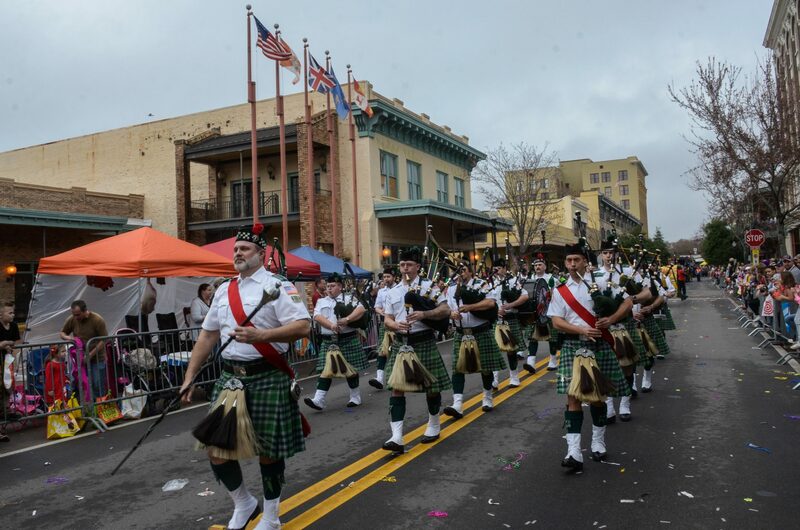 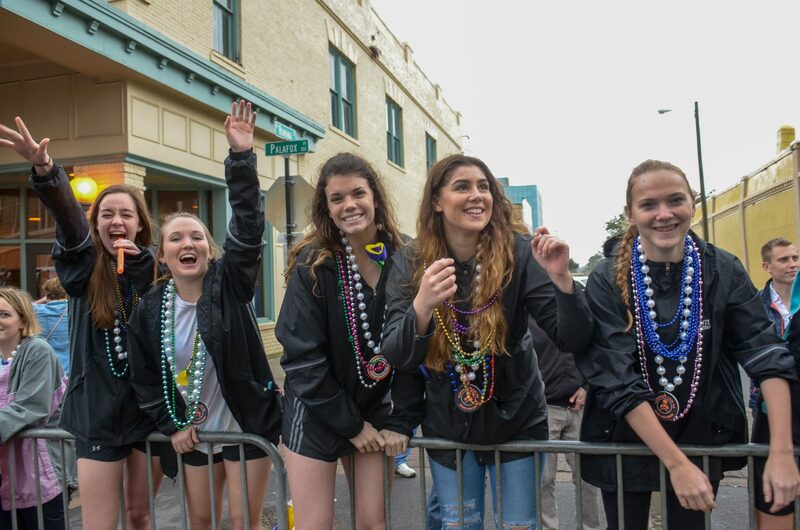 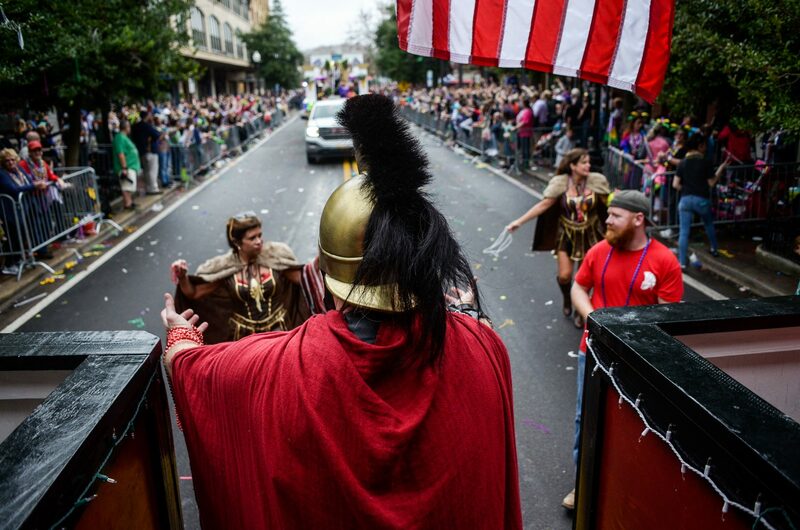 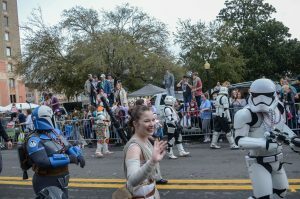 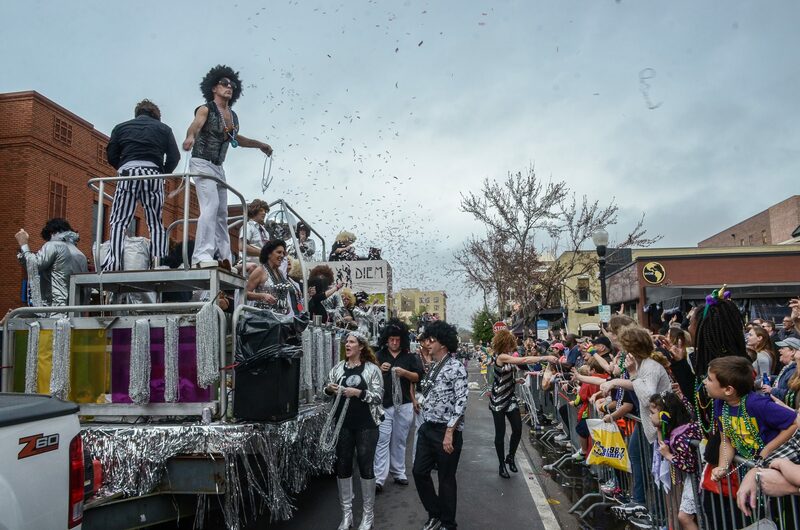 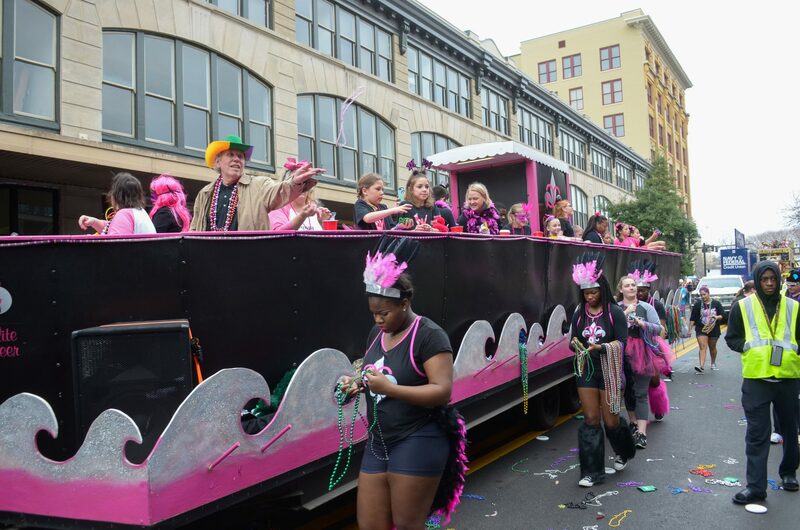 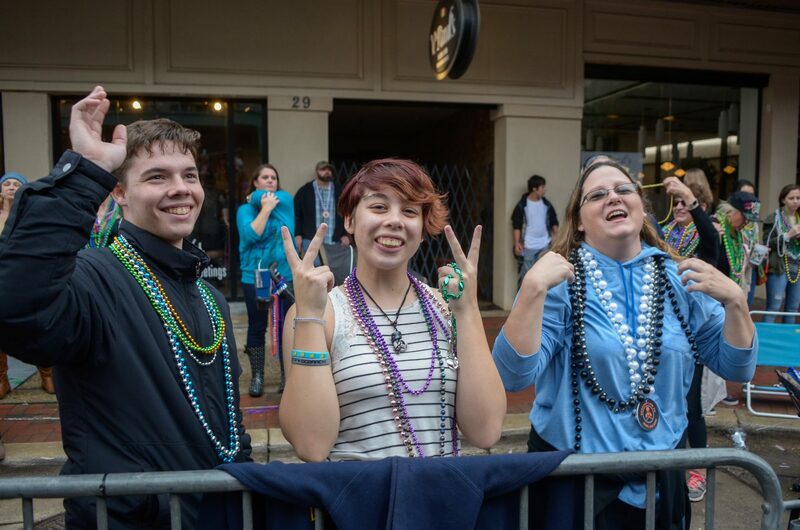 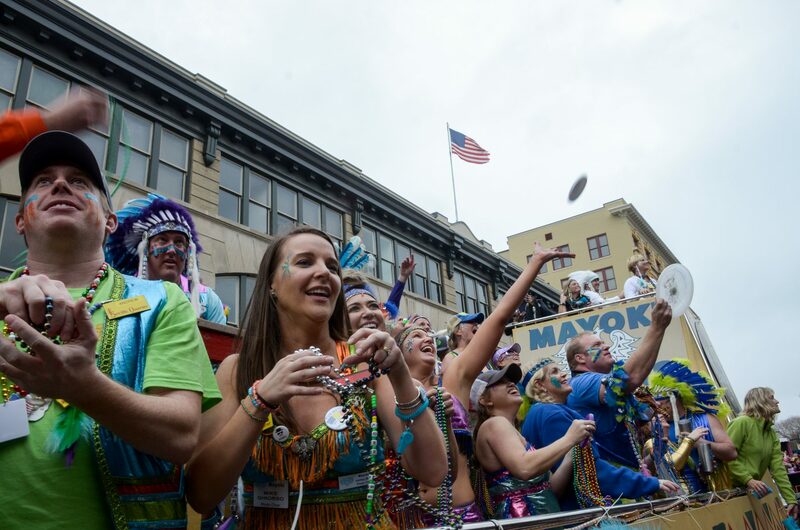 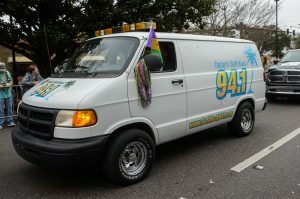 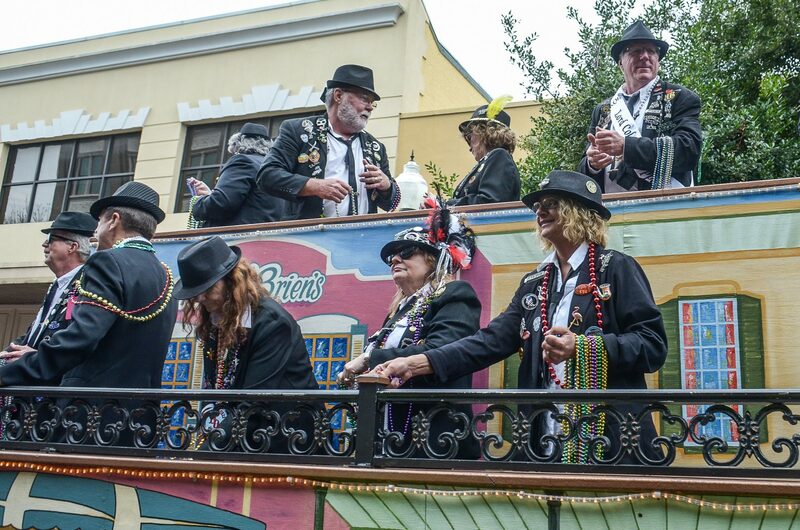 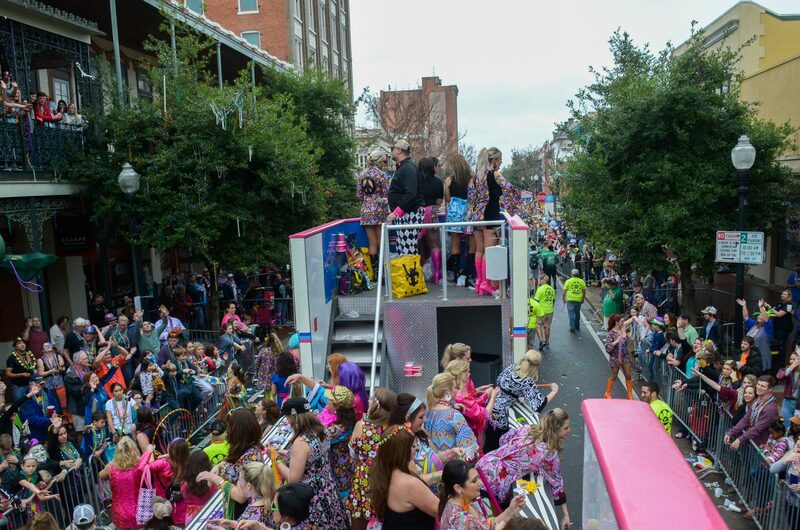 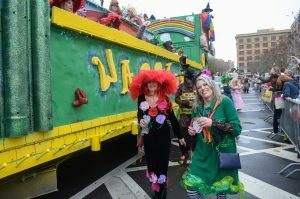 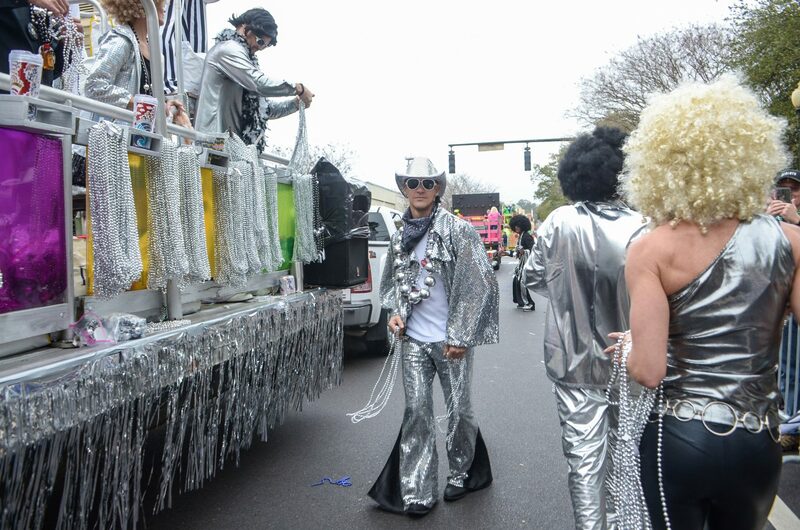 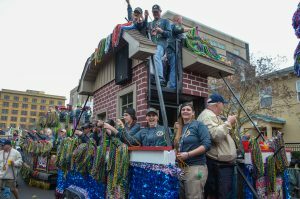 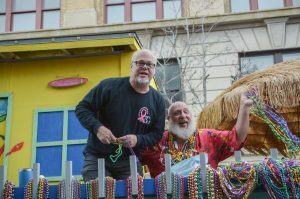 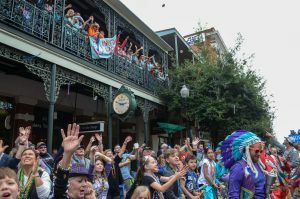 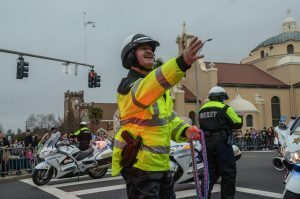 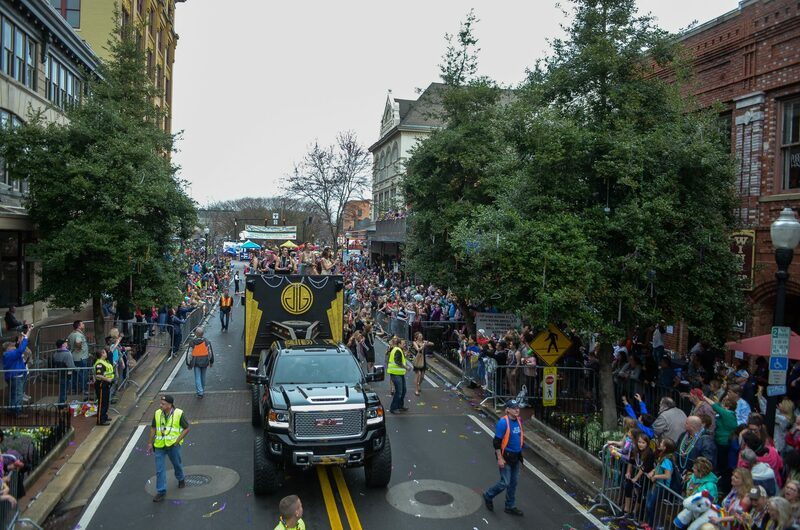 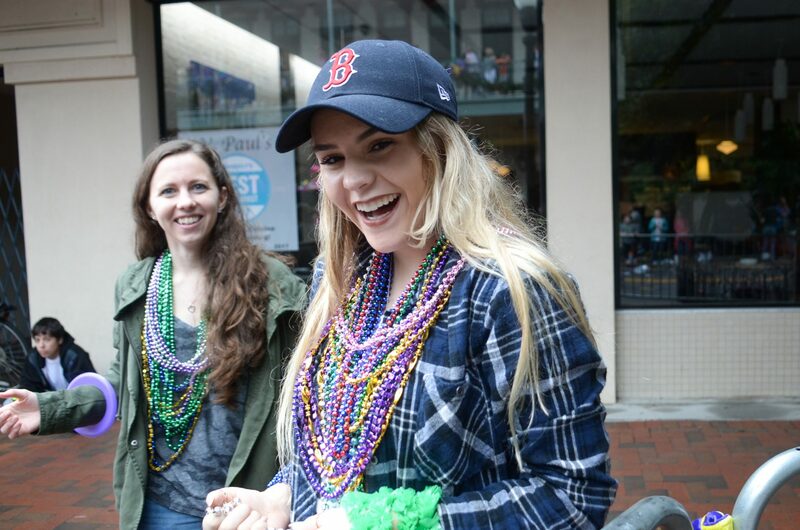 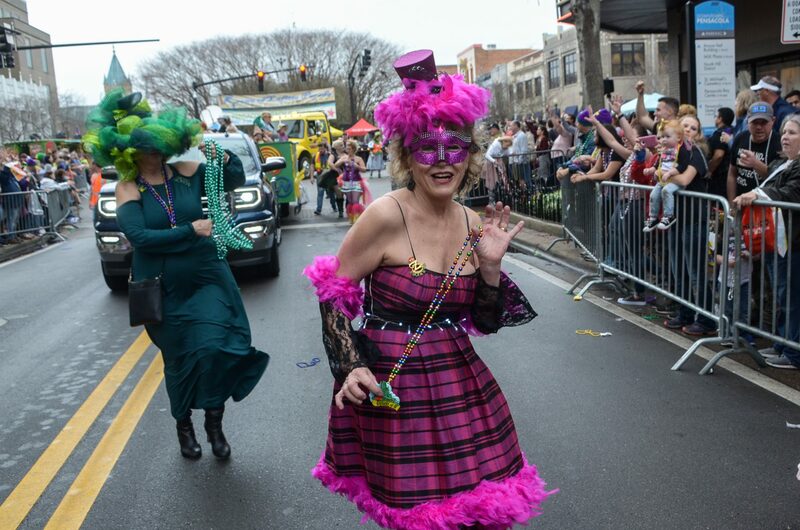 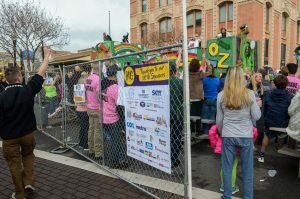 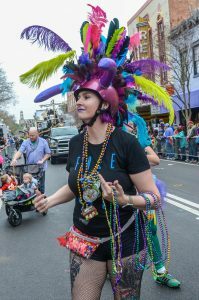 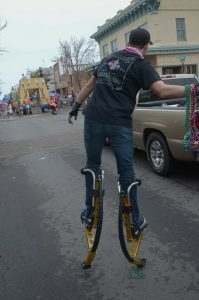 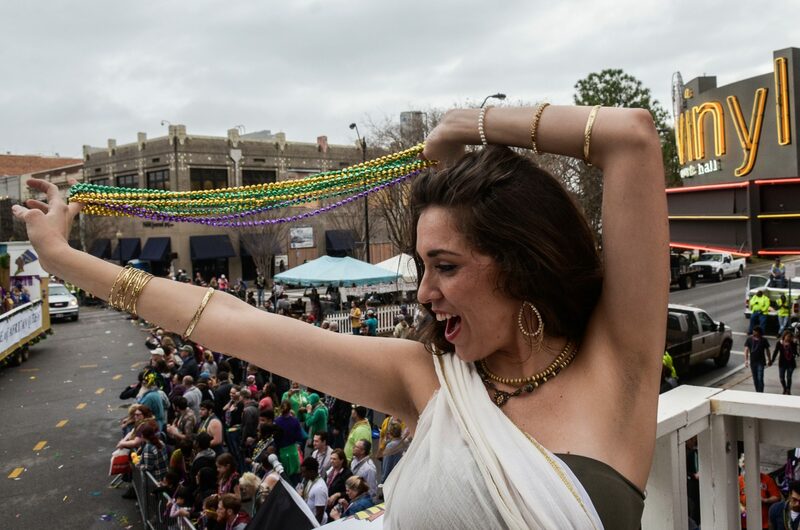 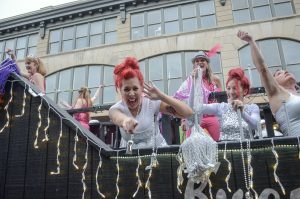 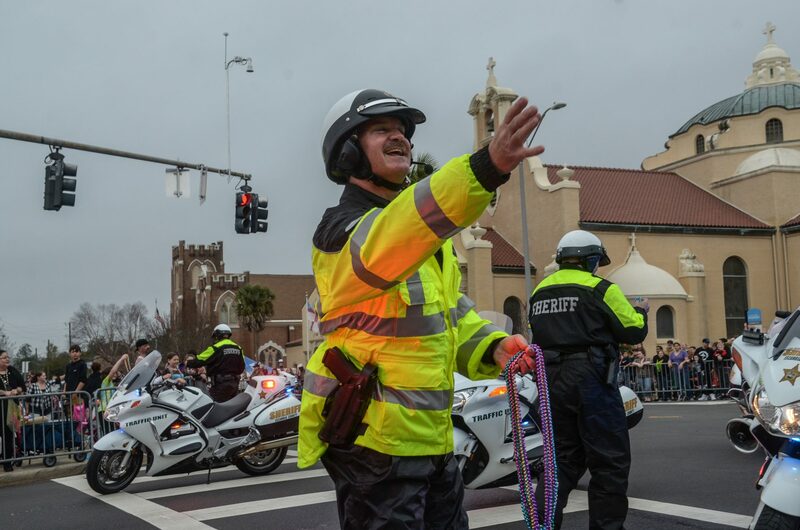 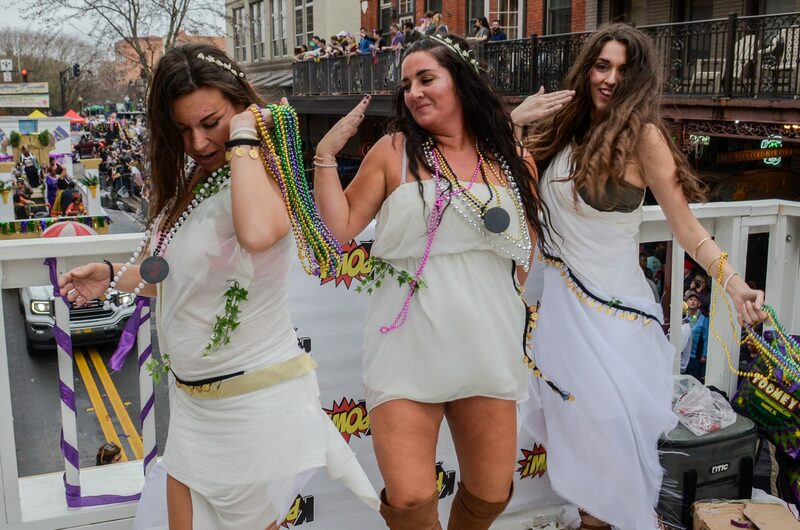 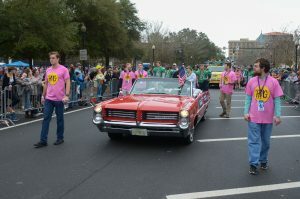 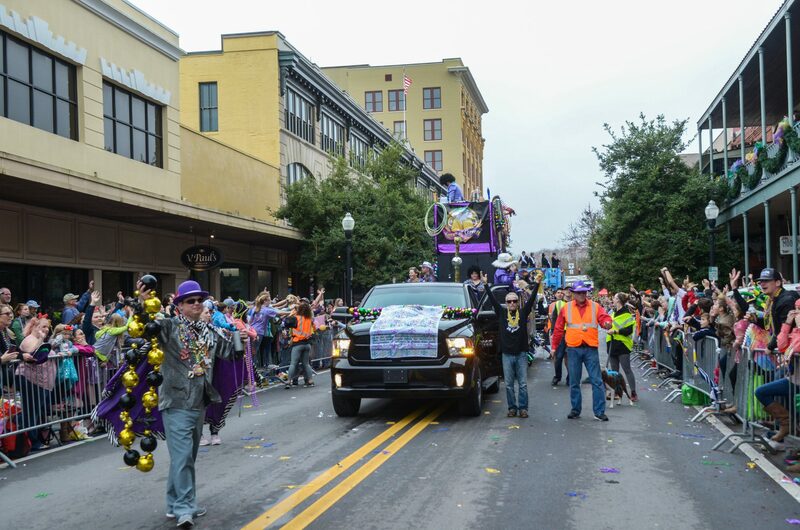 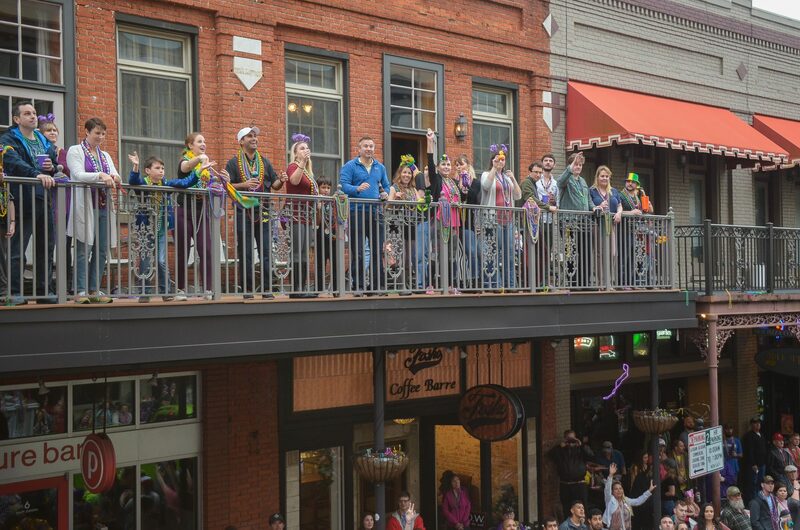 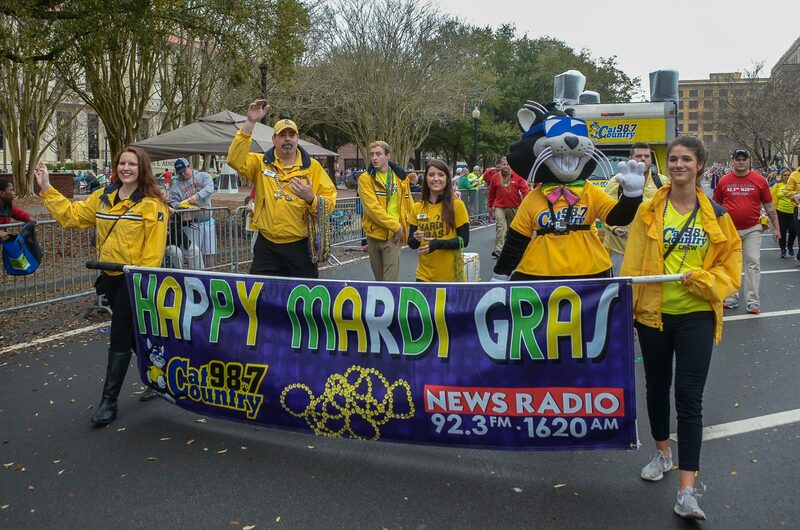 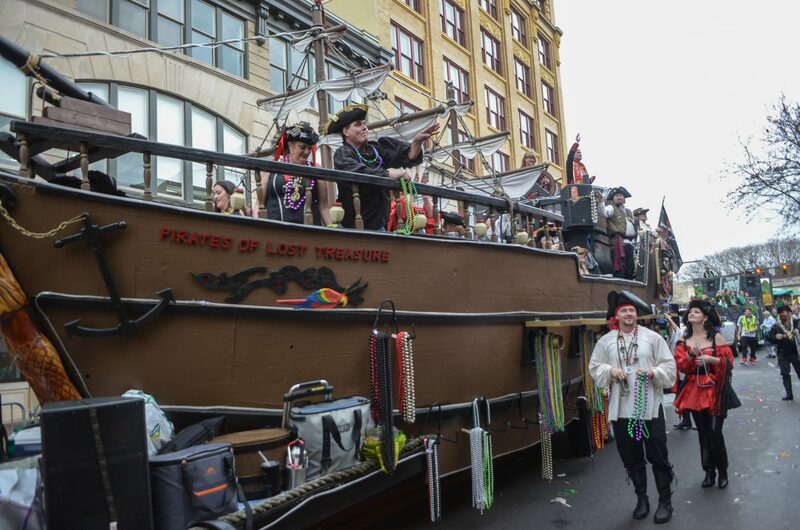 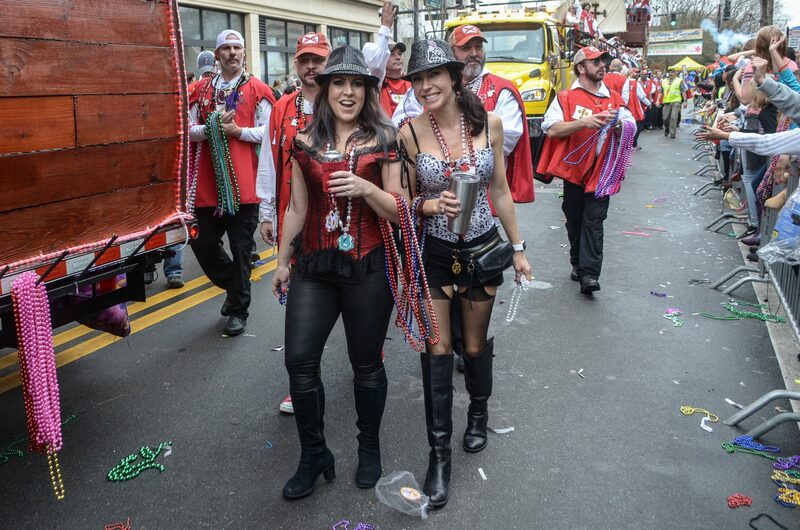 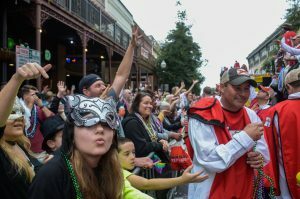 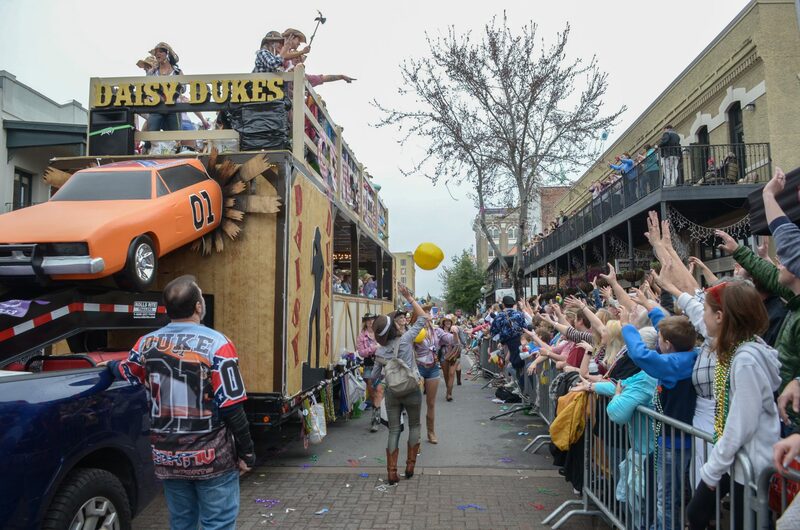 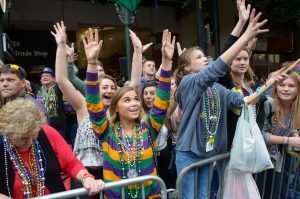 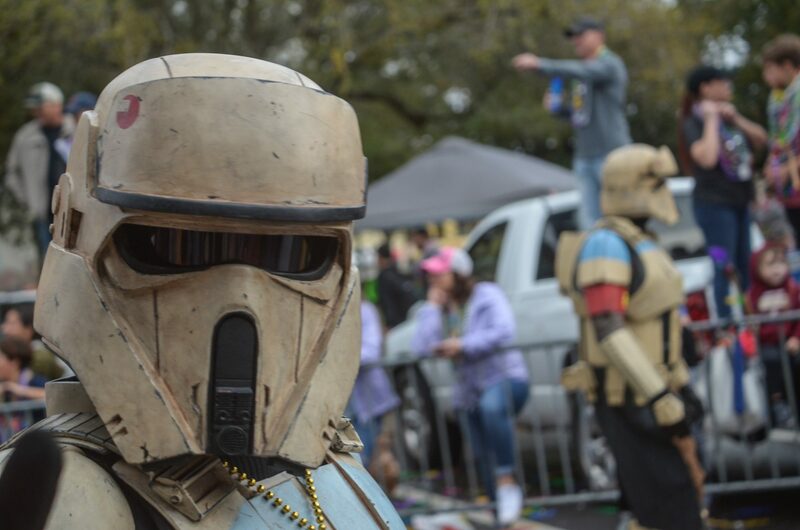 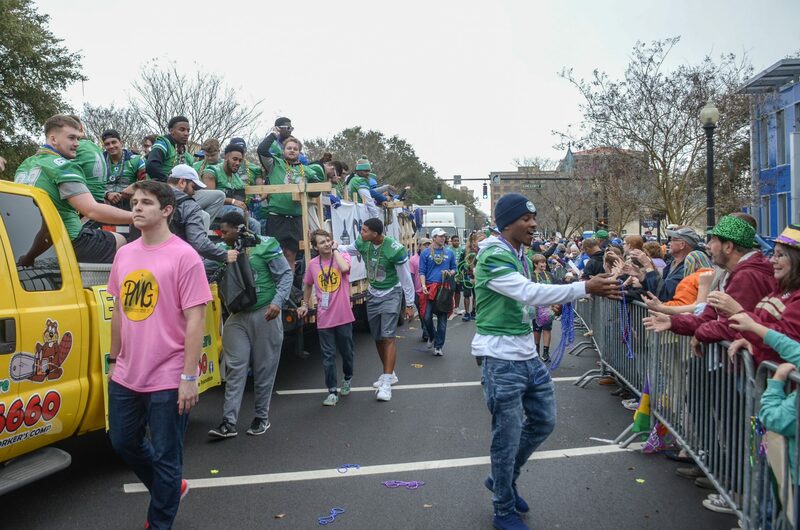 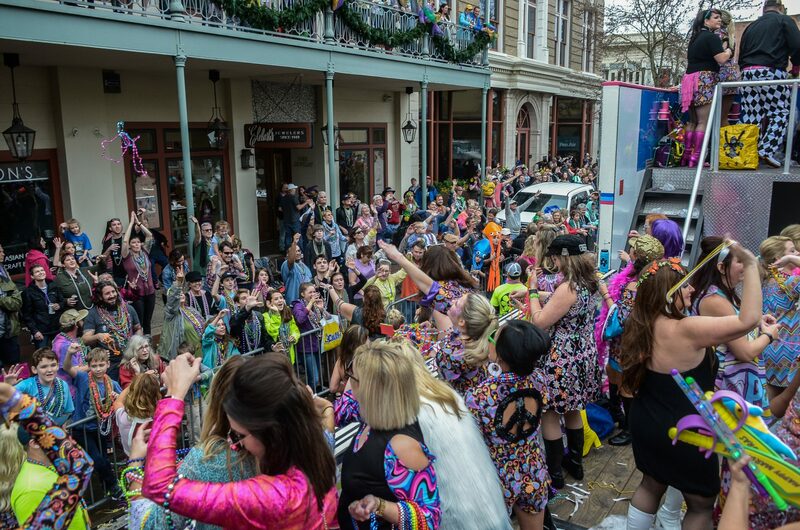 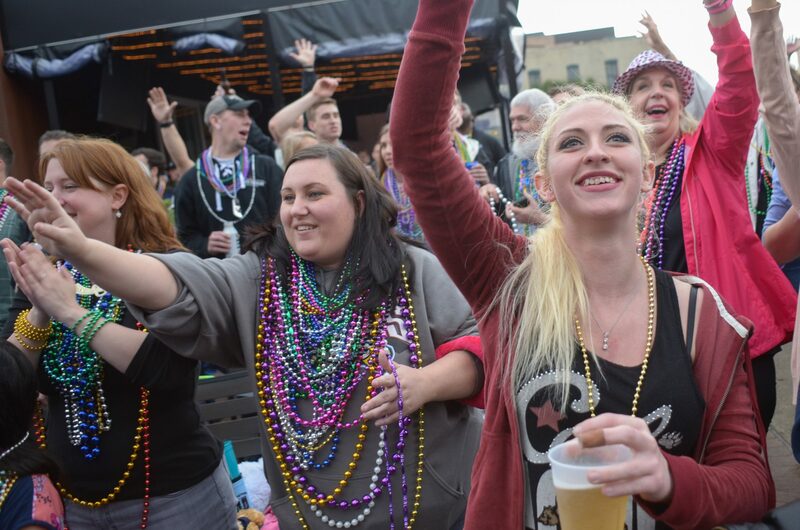 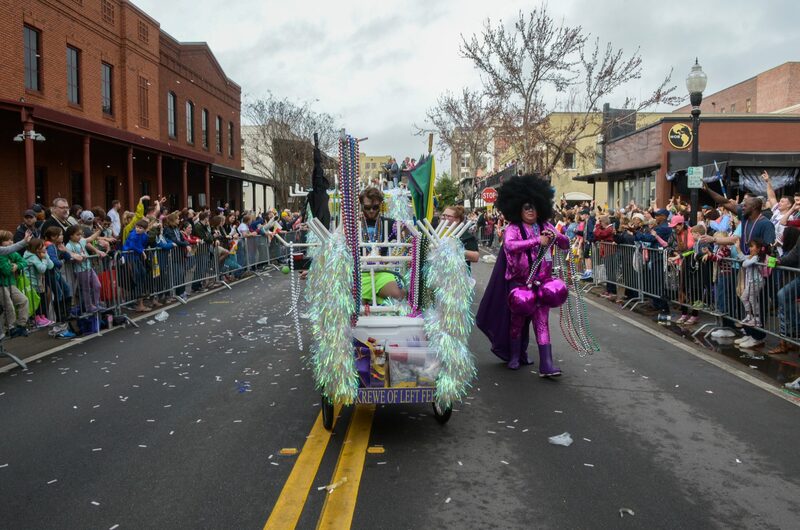 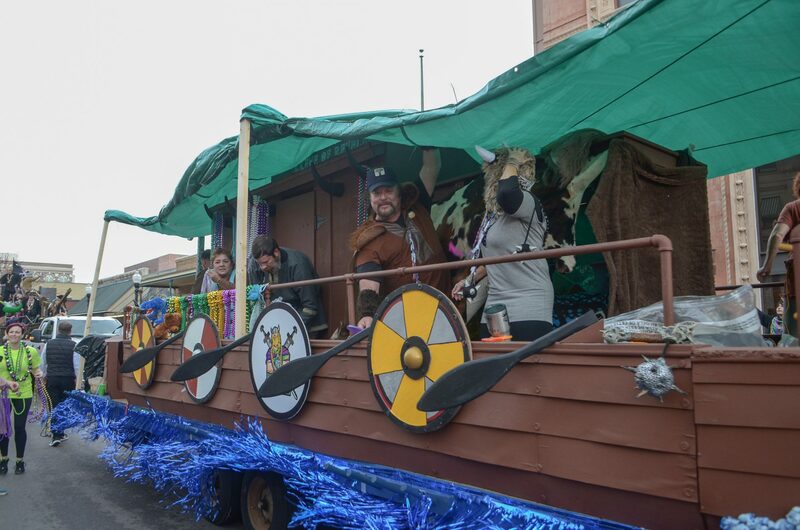 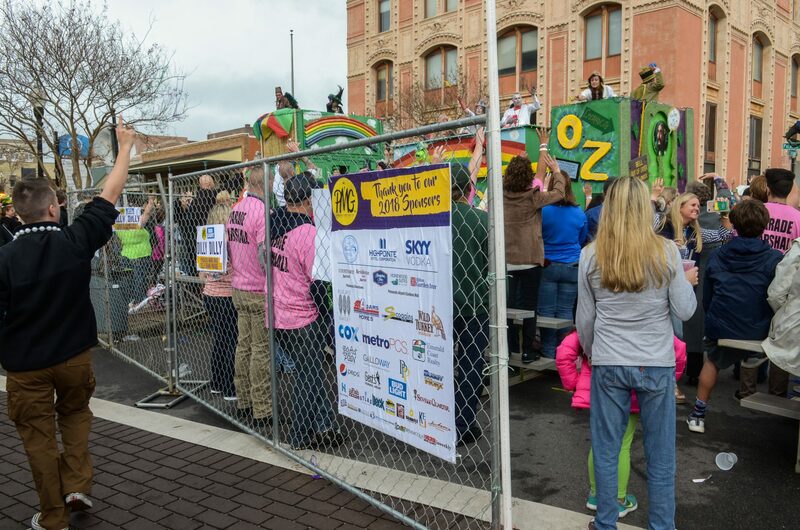 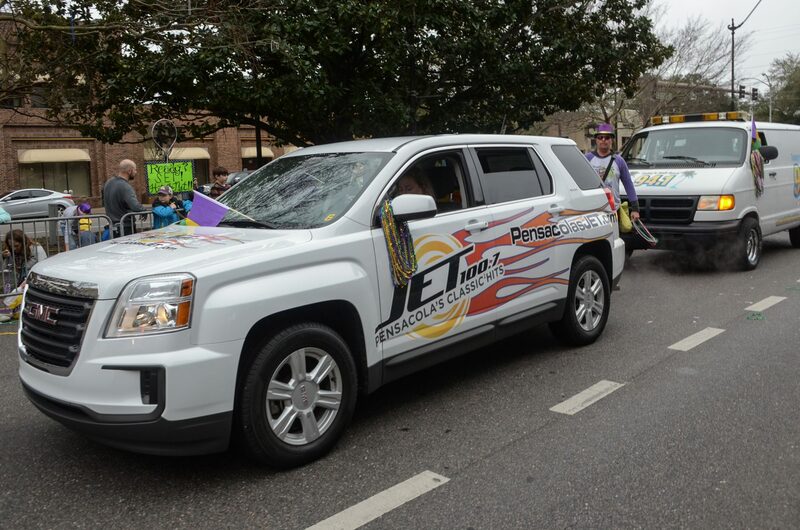 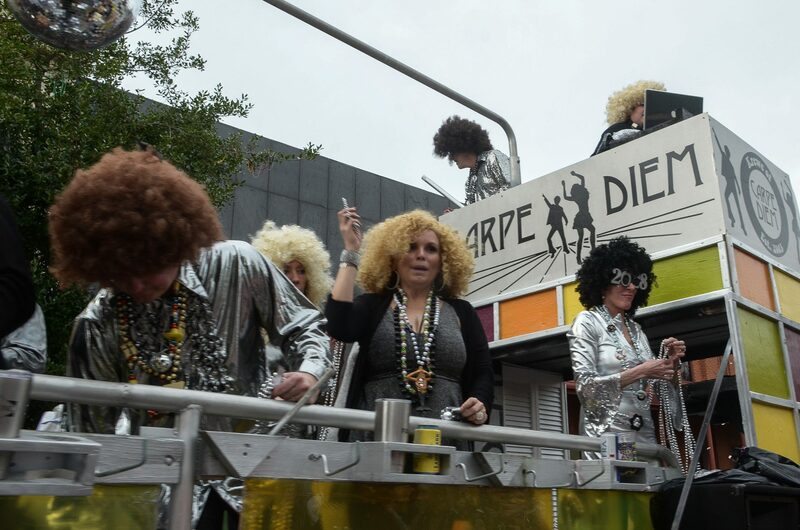 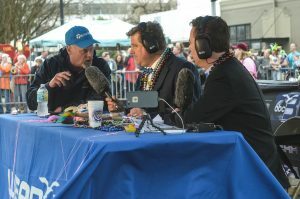 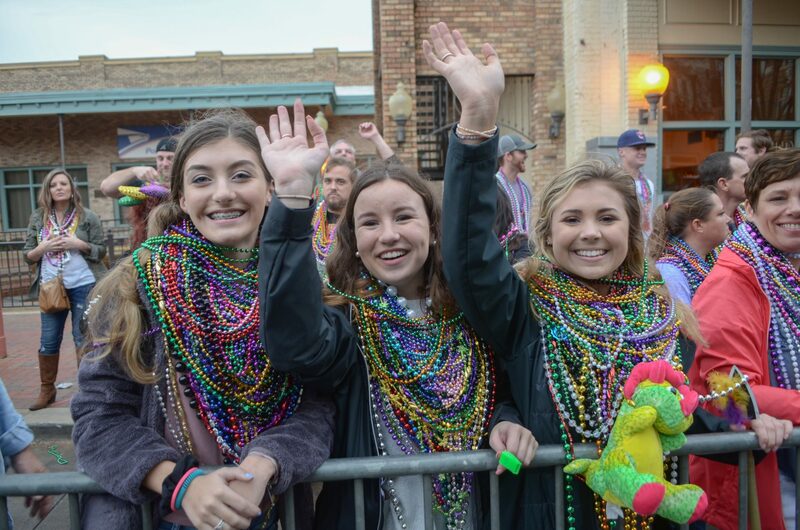 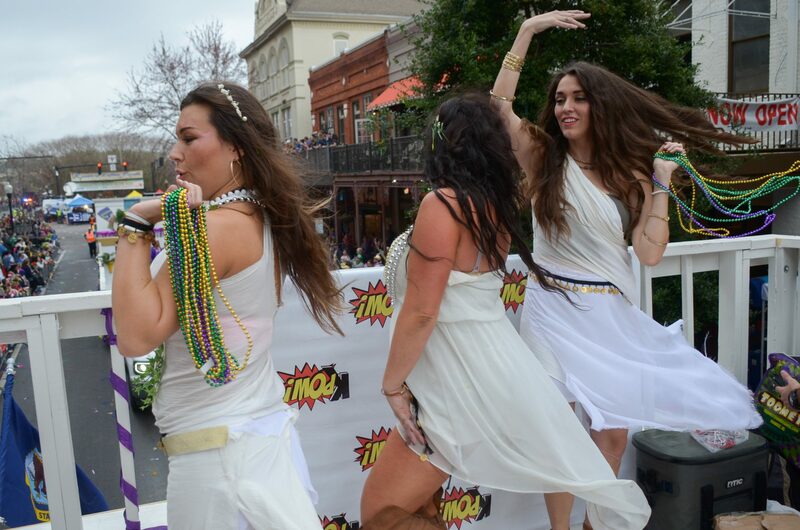 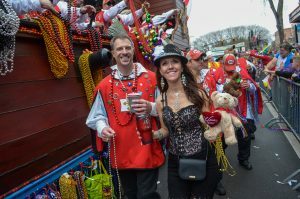 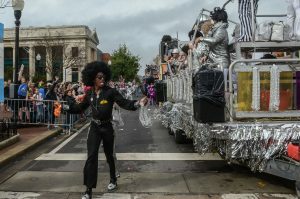 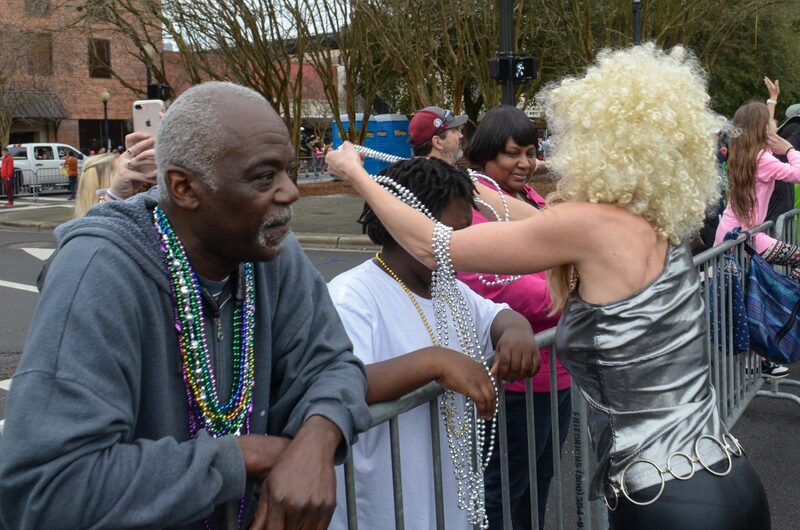 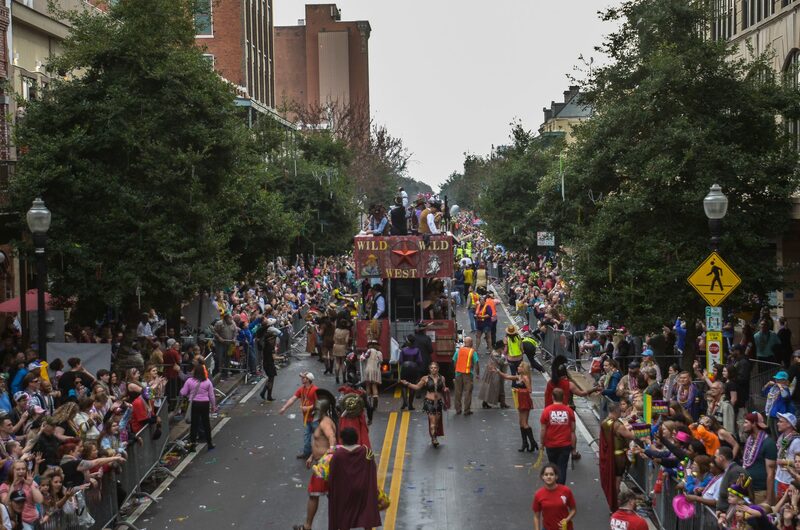 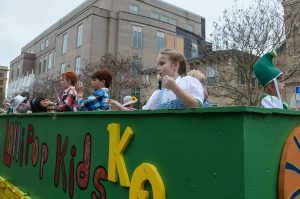 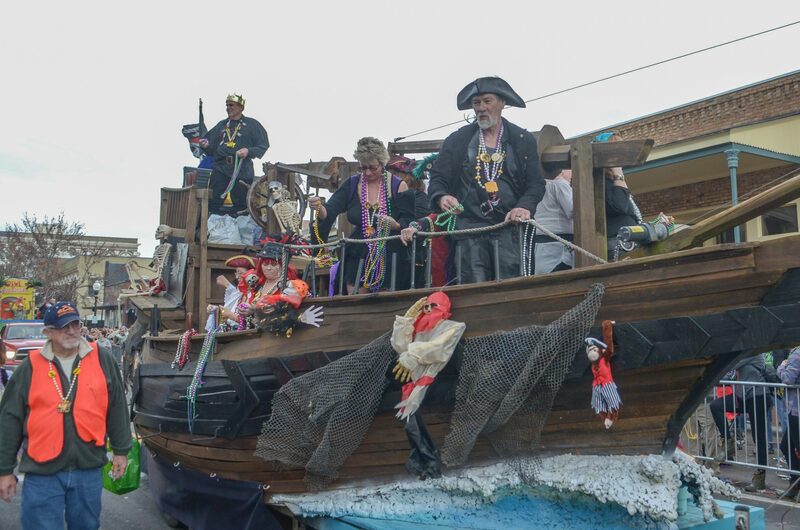 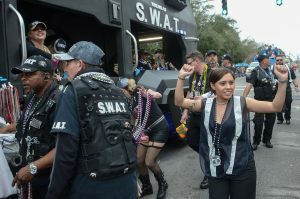 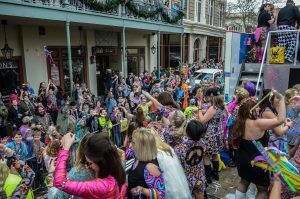 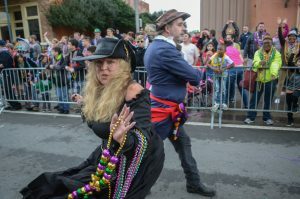 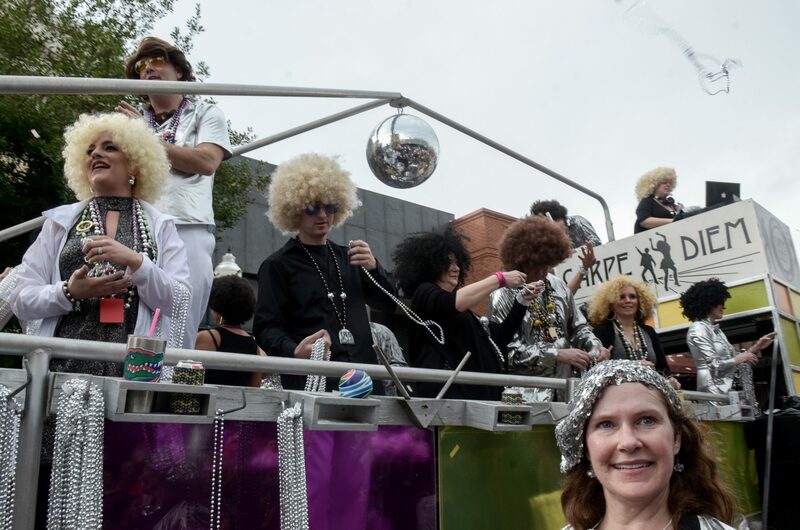 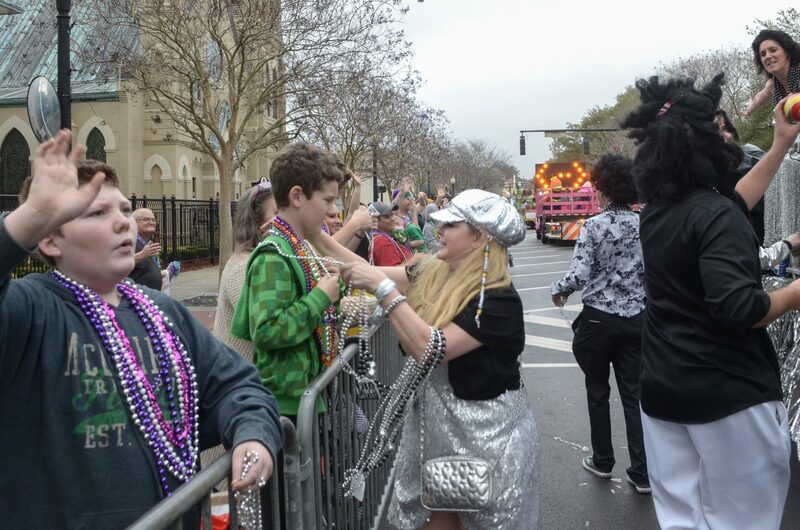 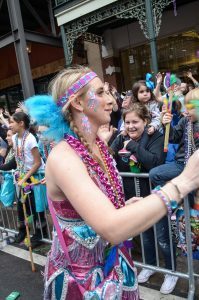 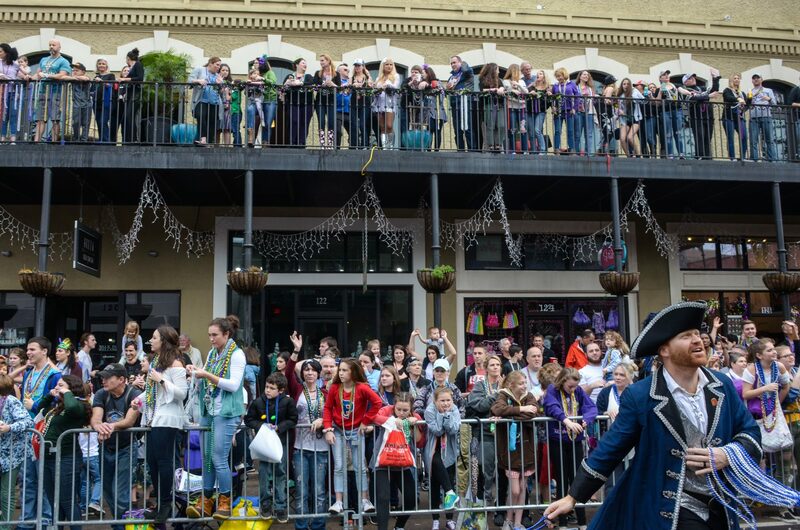 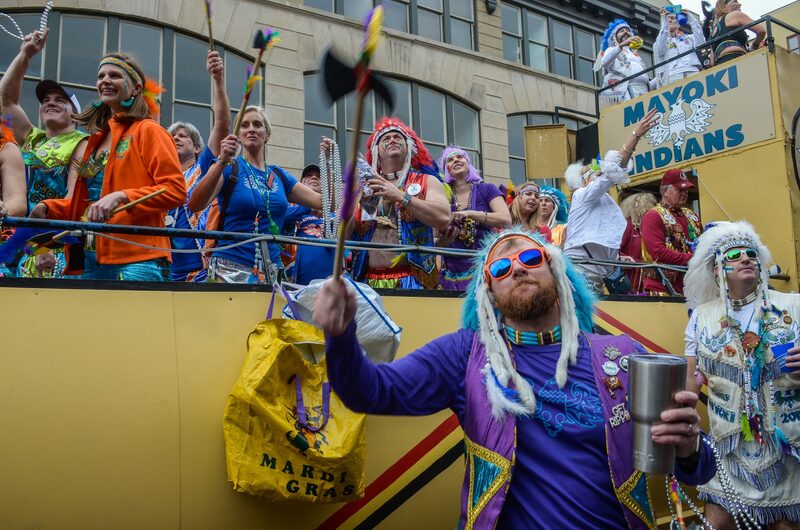 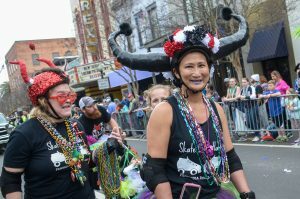 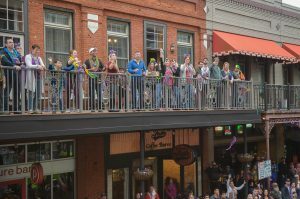 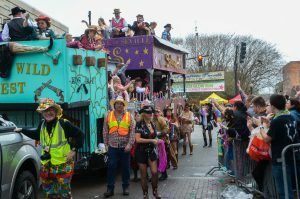 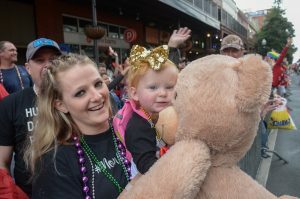 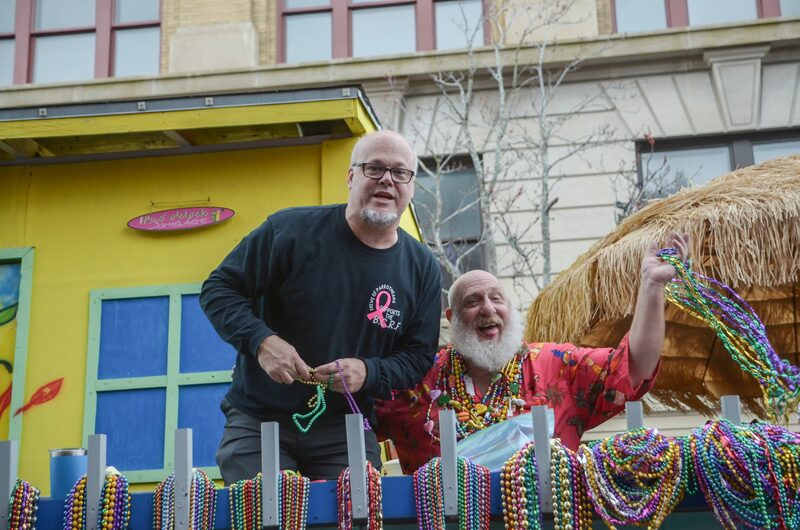 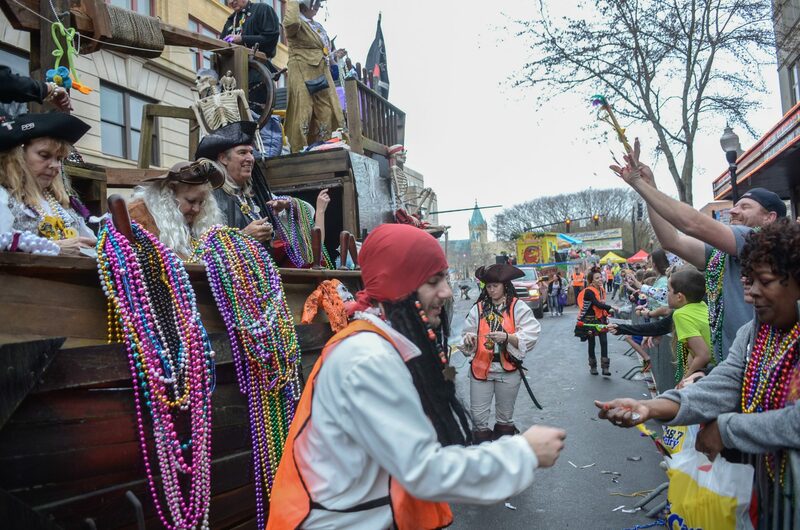 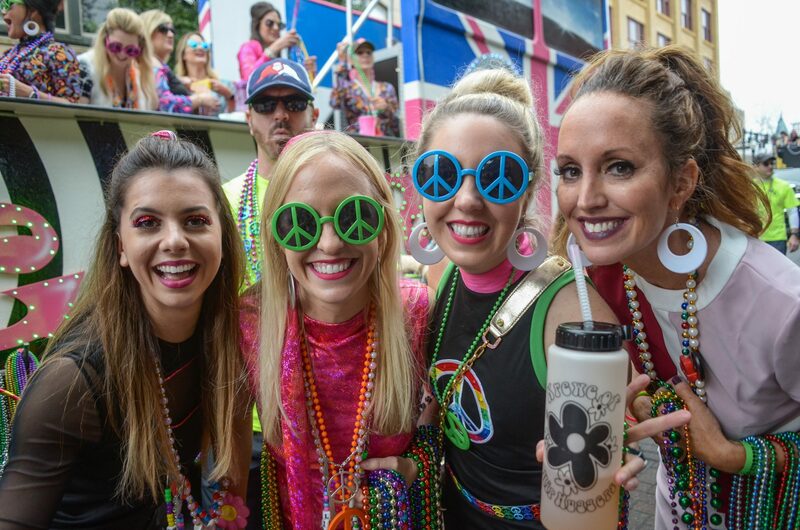 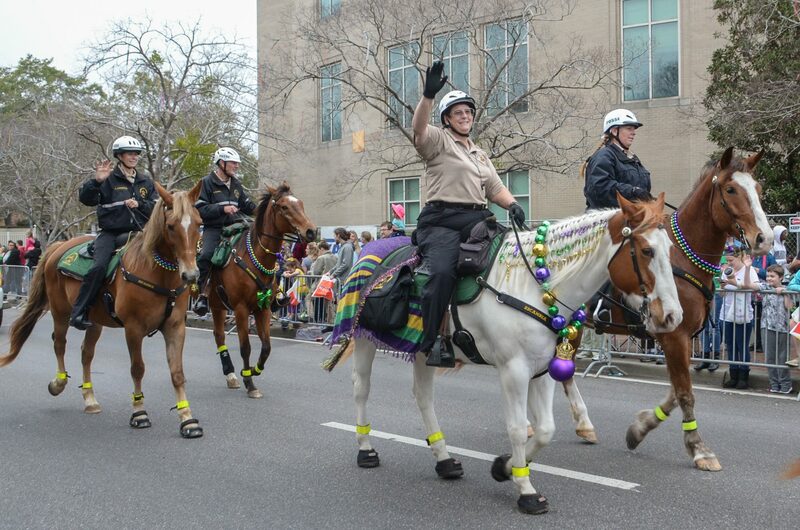 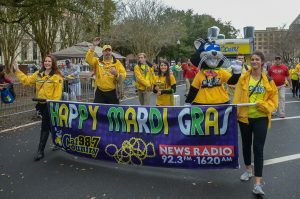 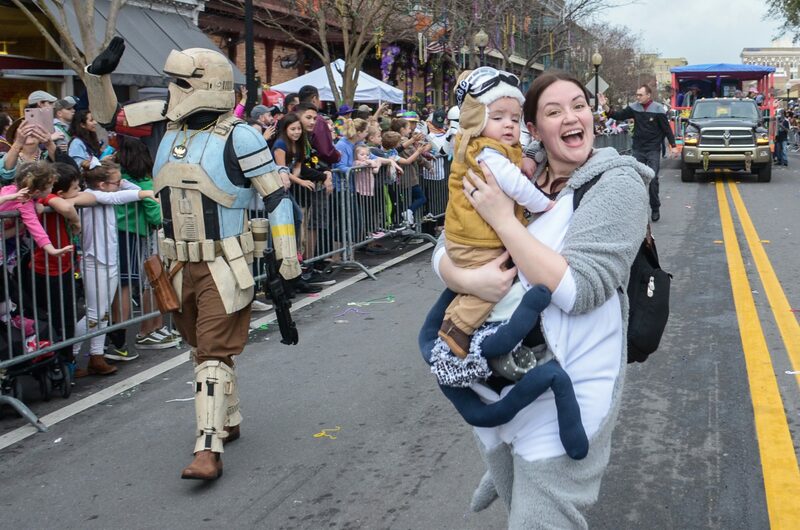 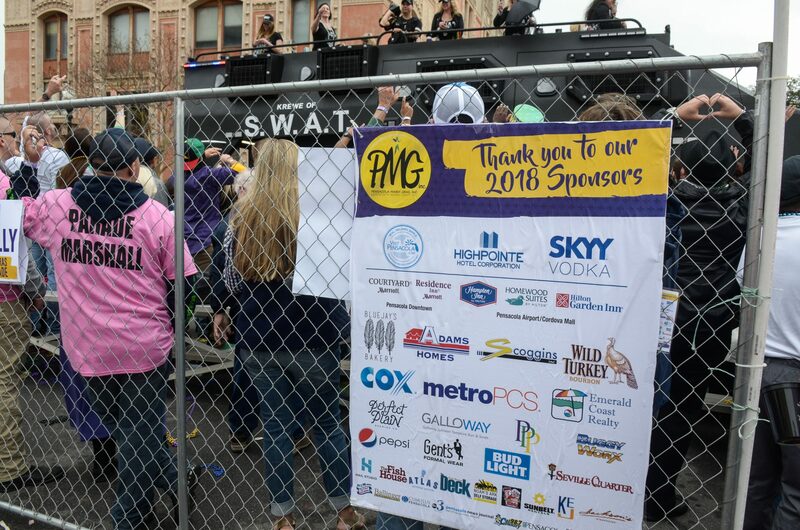 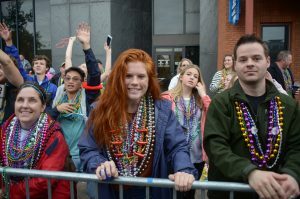 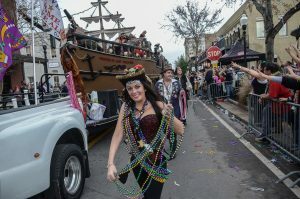 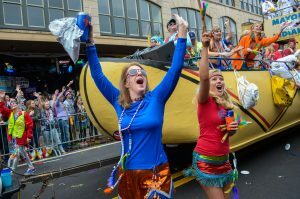 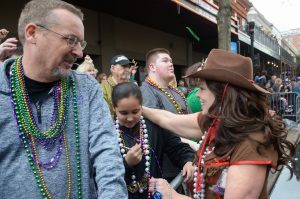 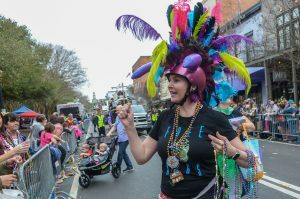 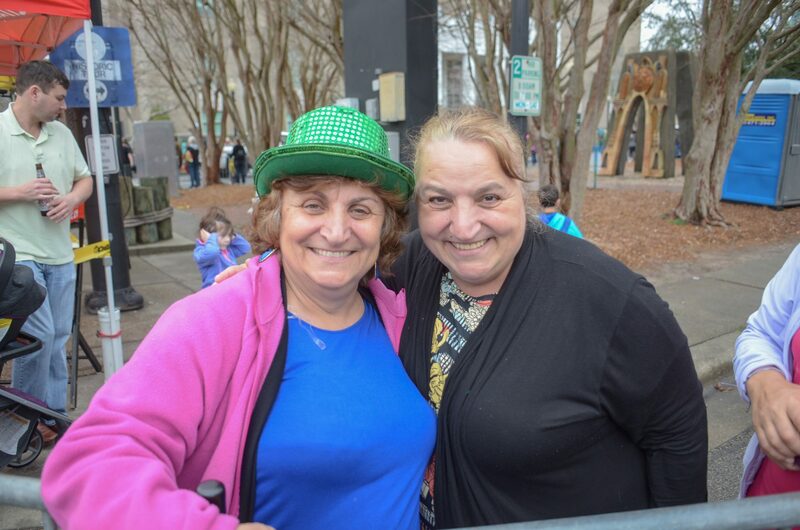 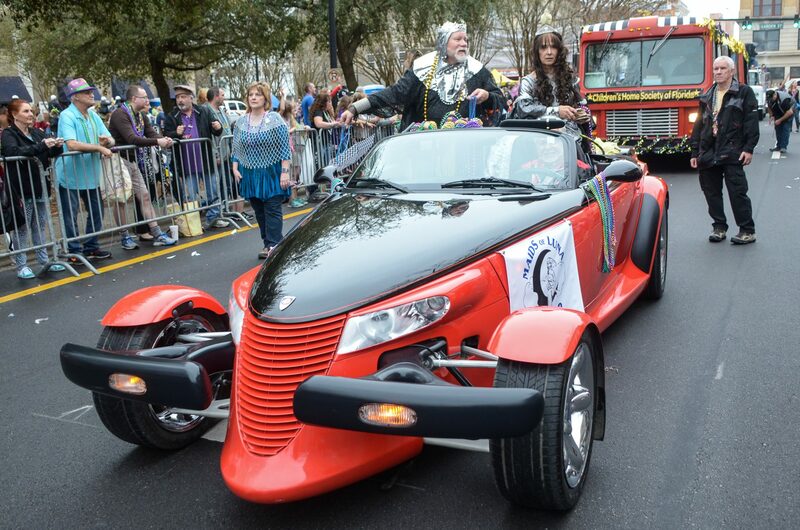 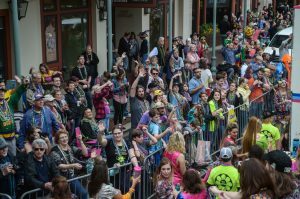 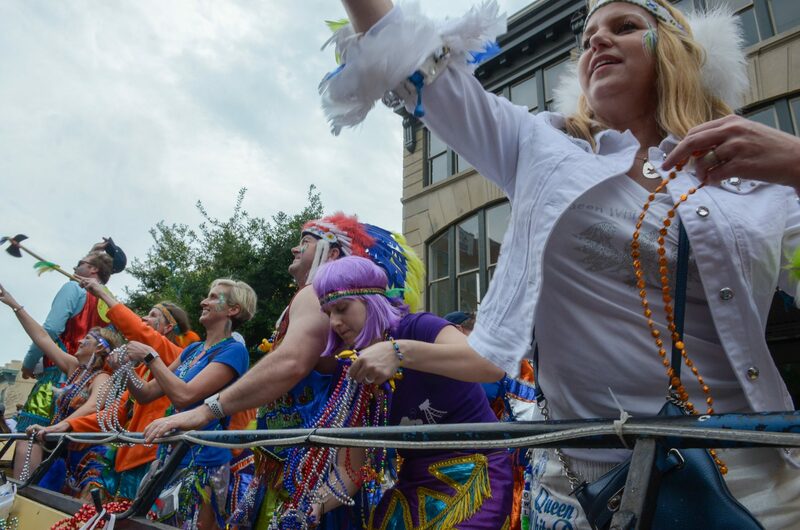 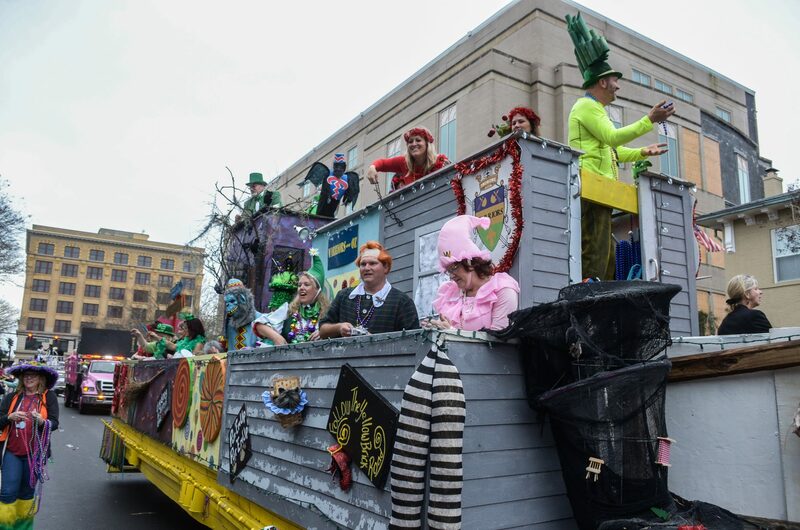 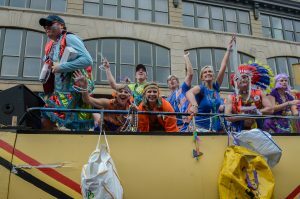 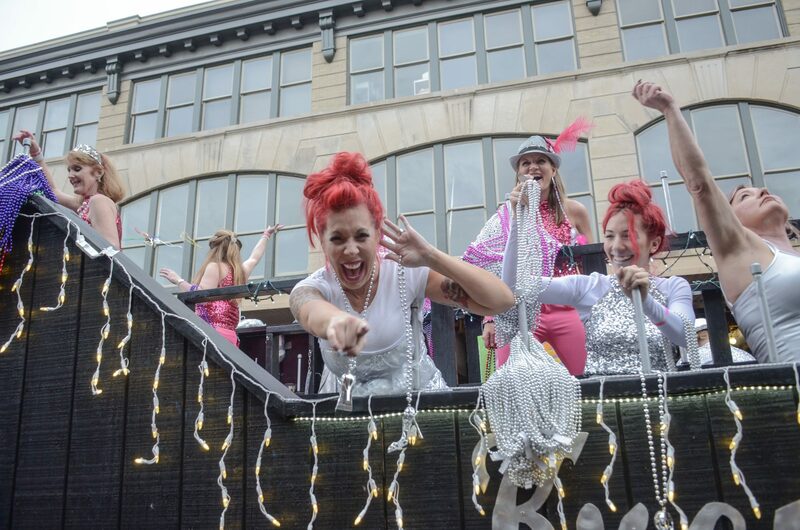 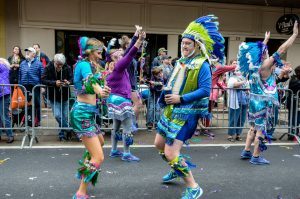 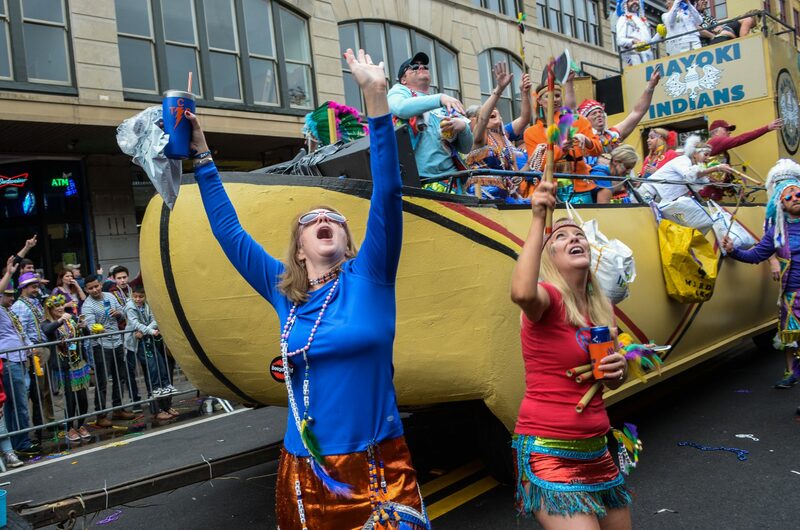 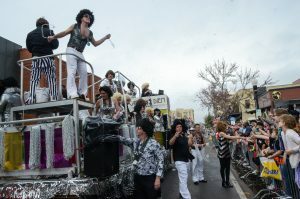 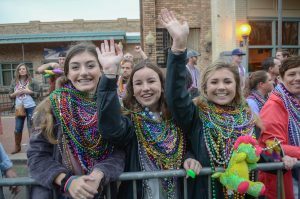 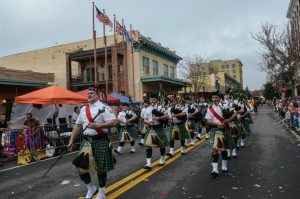 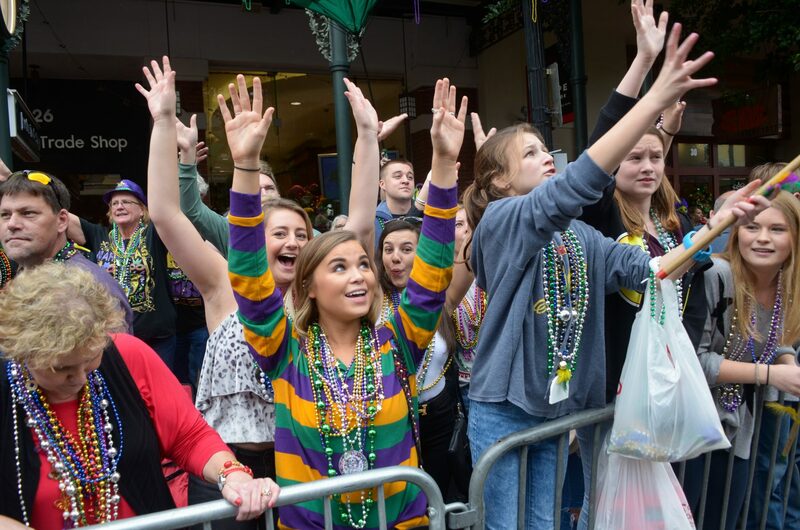 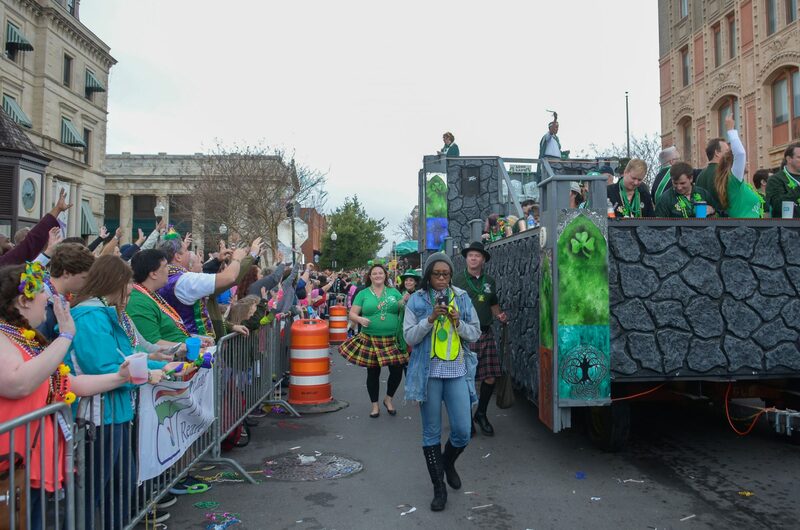 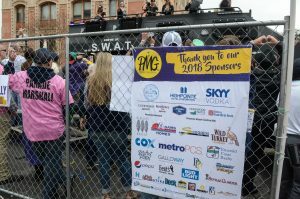 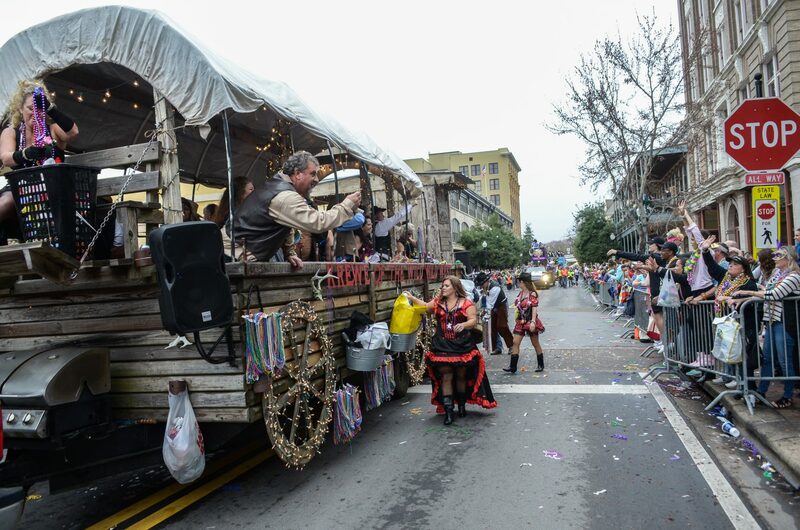 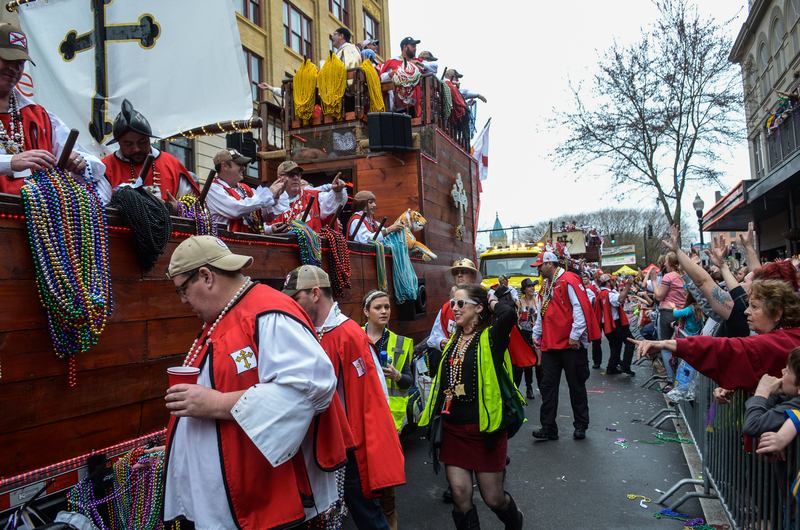 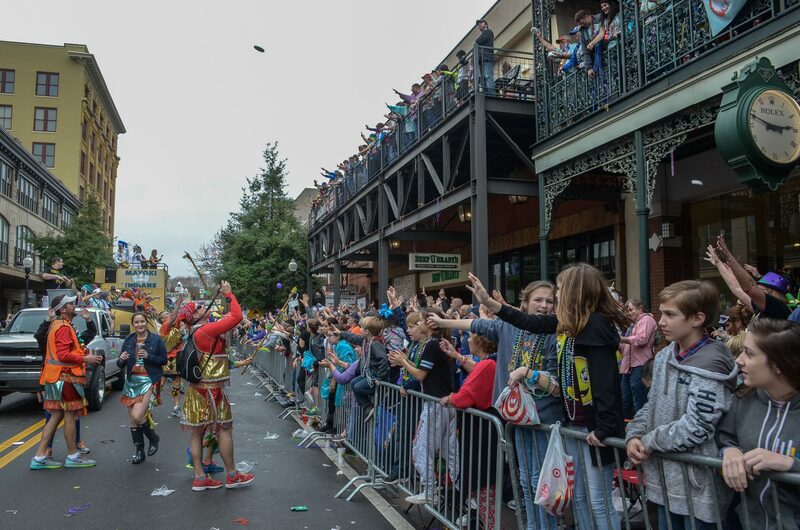 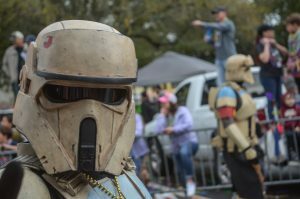 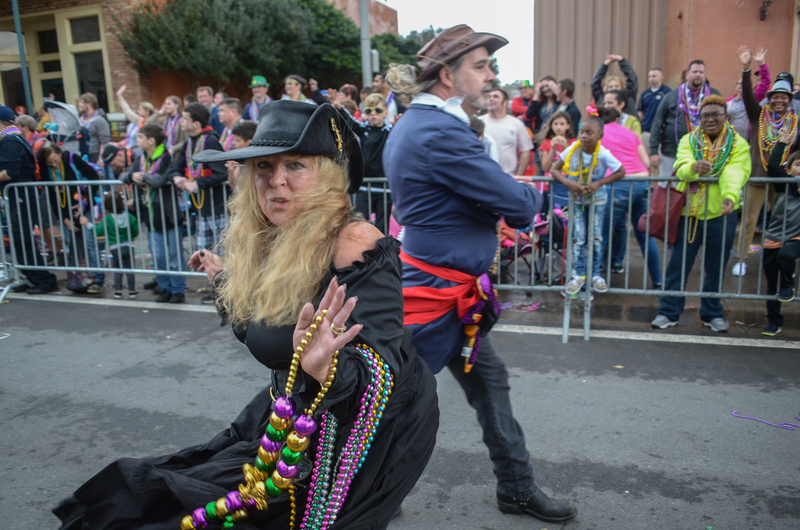 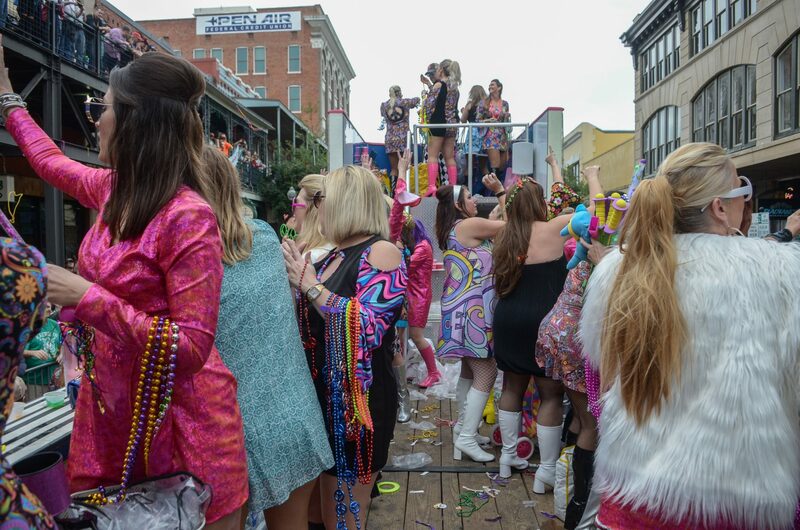 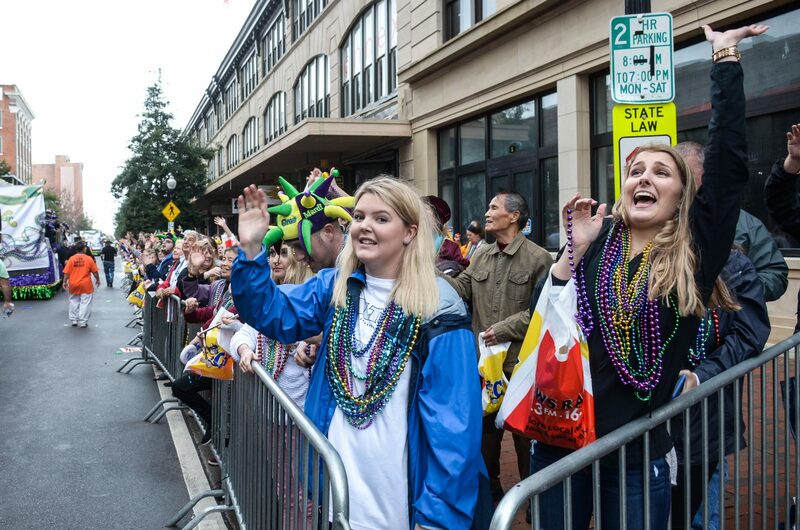 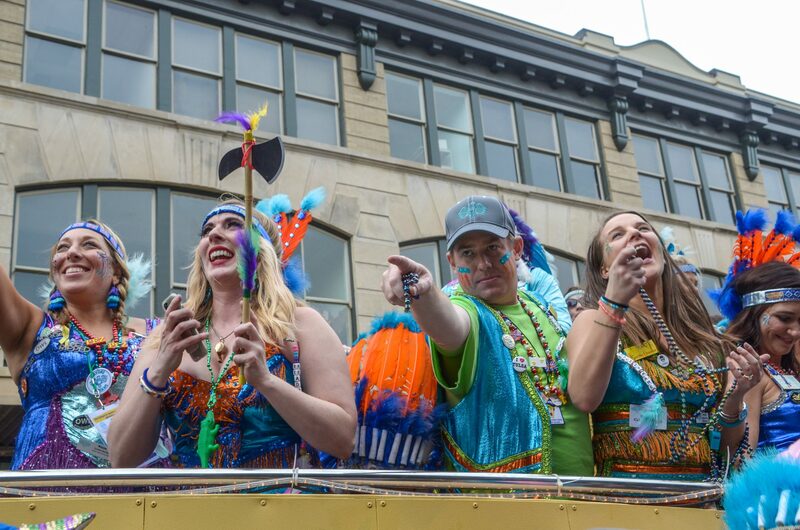 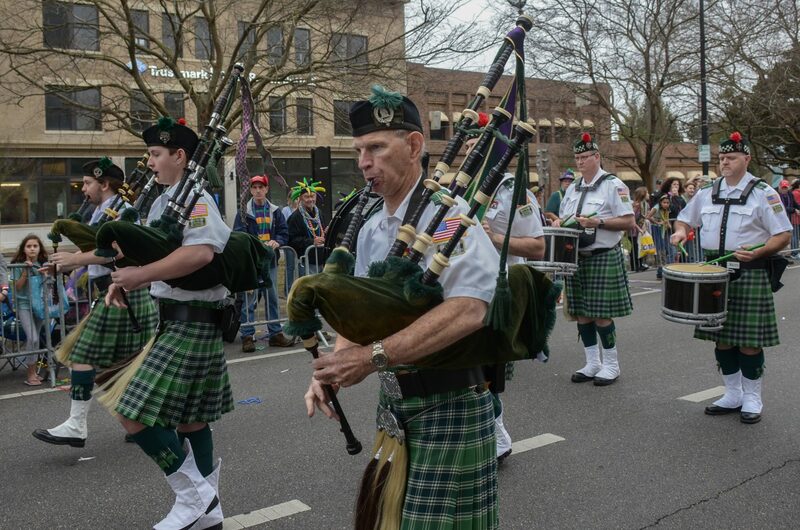 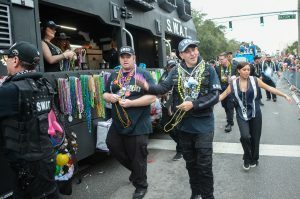 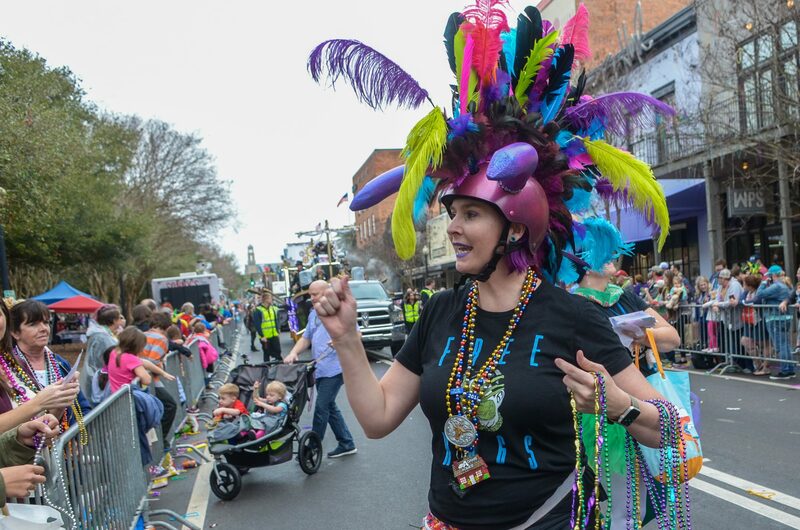 Rain threatened all day, but nothing could dampen the spirit of Pensacola’s Mardi Gras celebration. 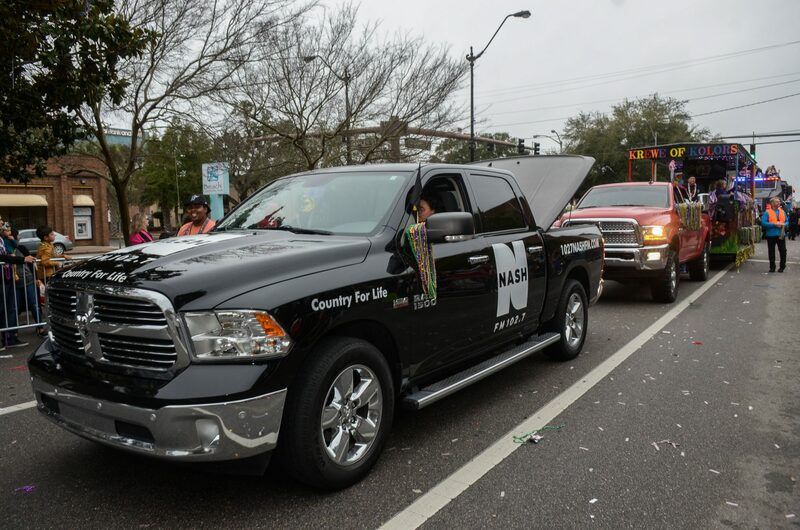 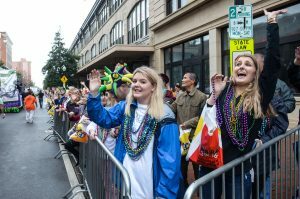 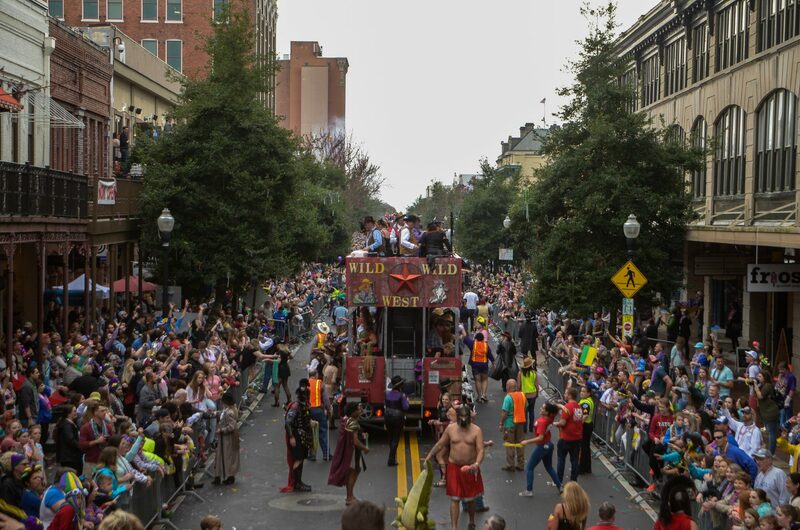 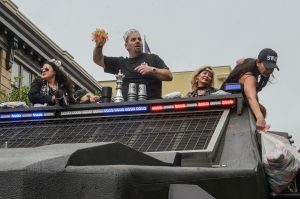 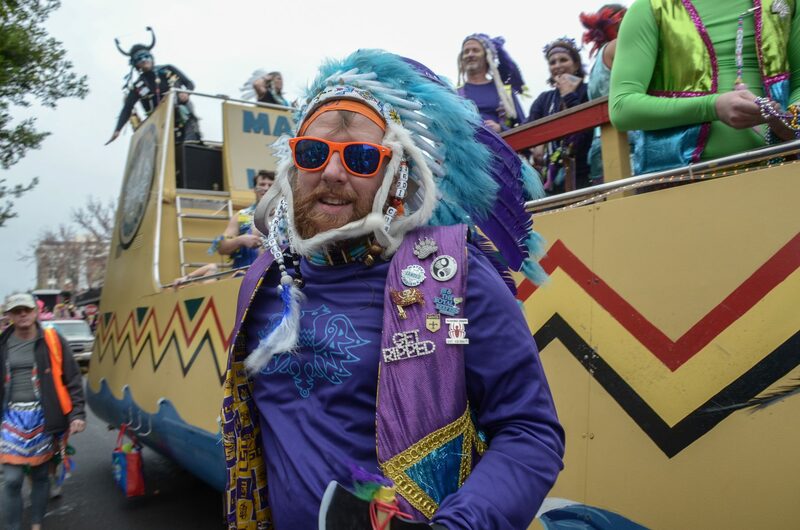 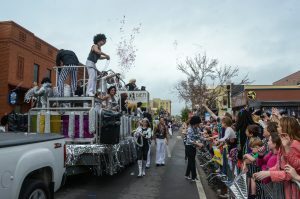 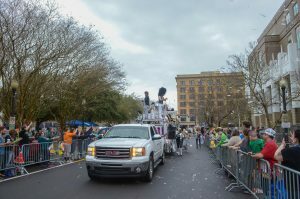 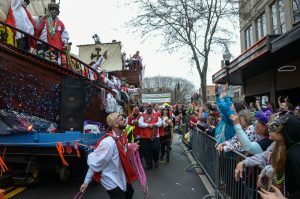 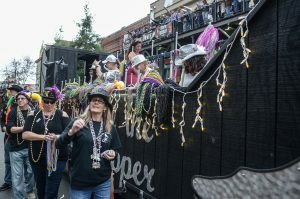 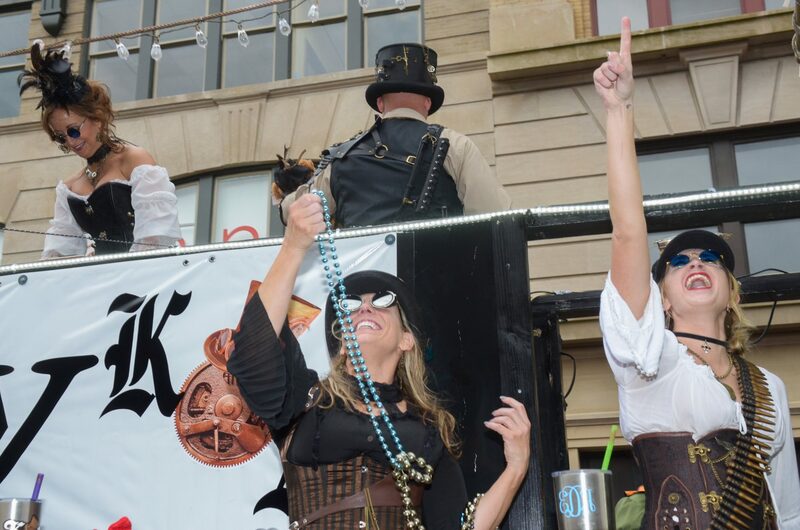 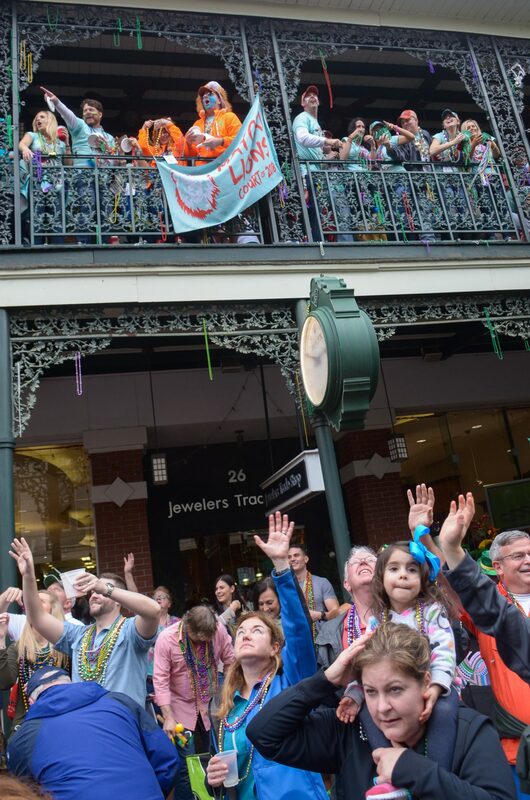 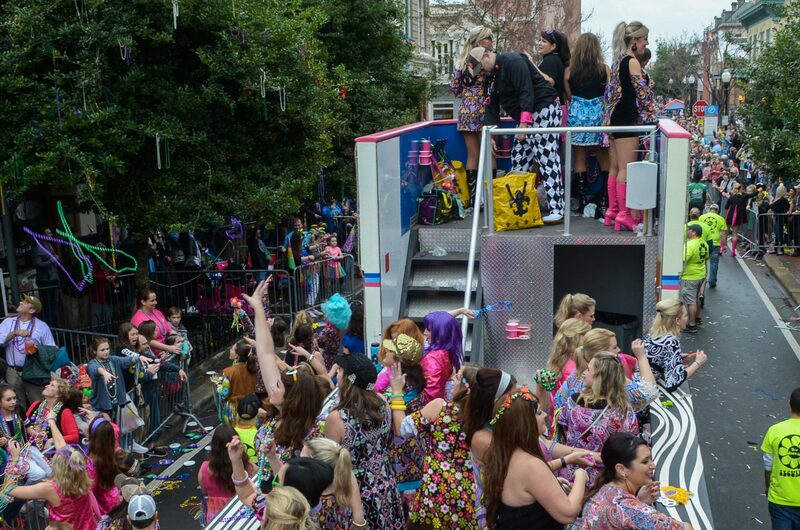 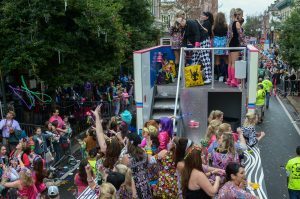 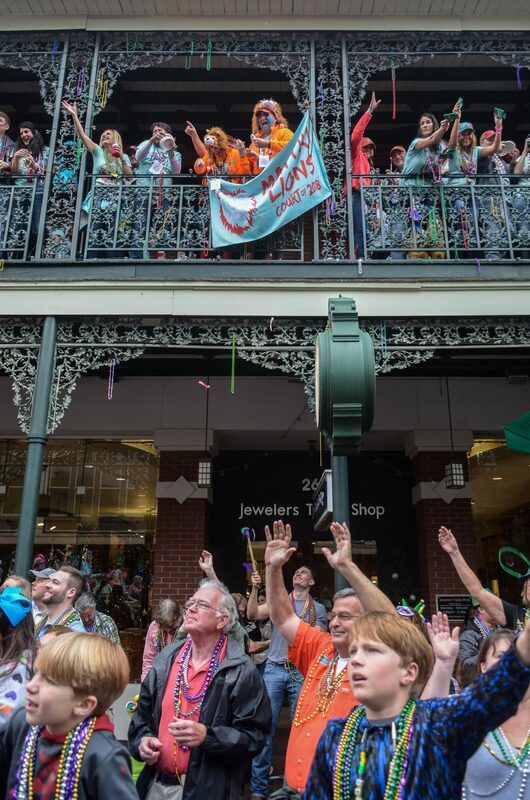 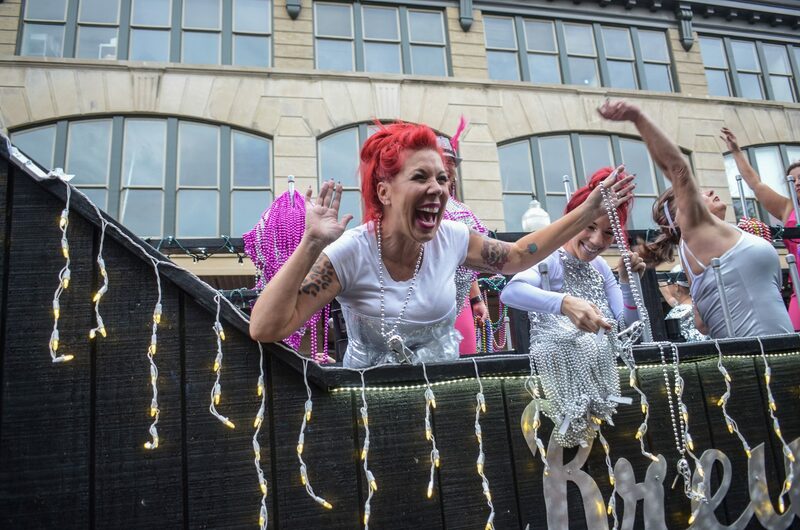 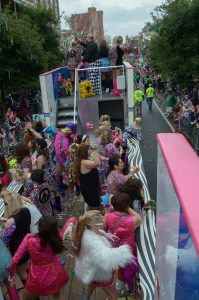 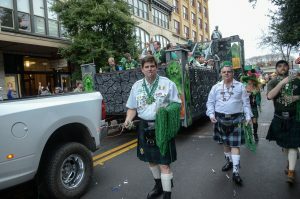 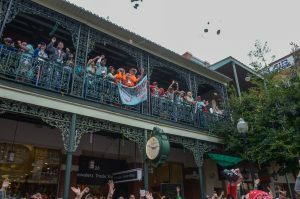 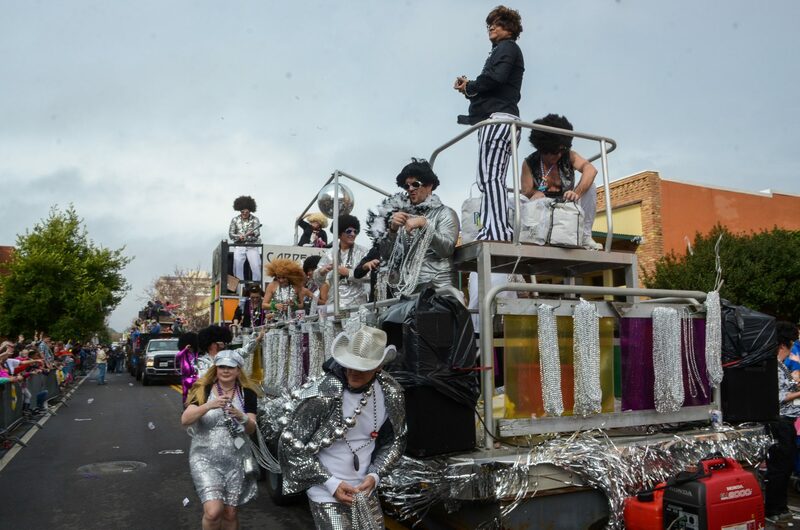 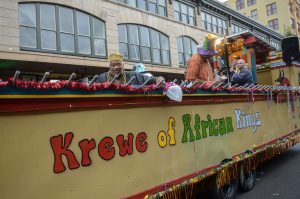 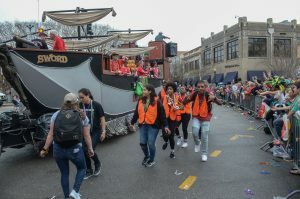 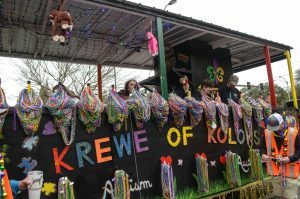 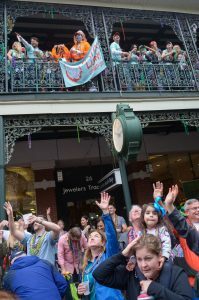 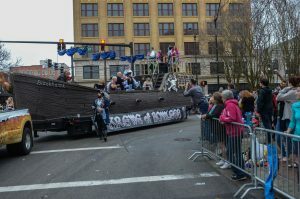 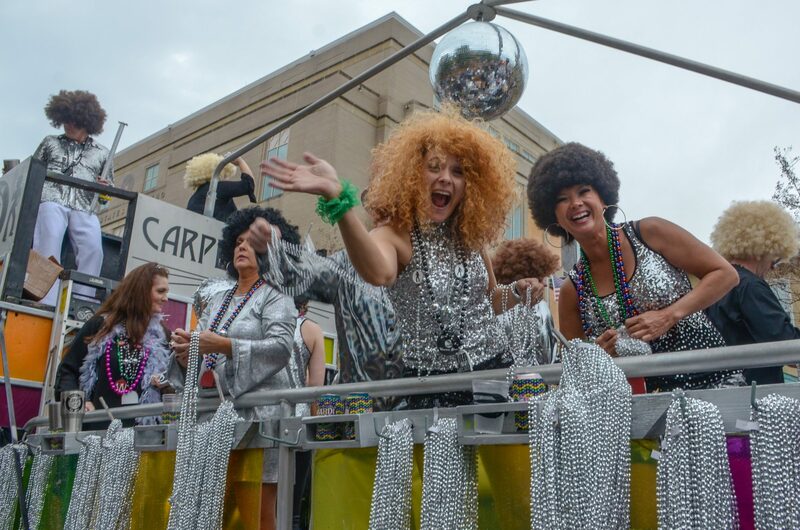 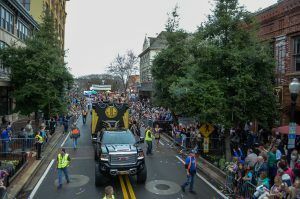 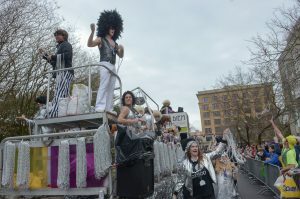 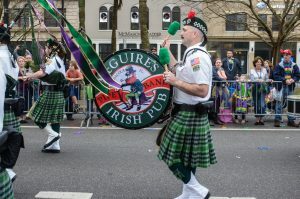 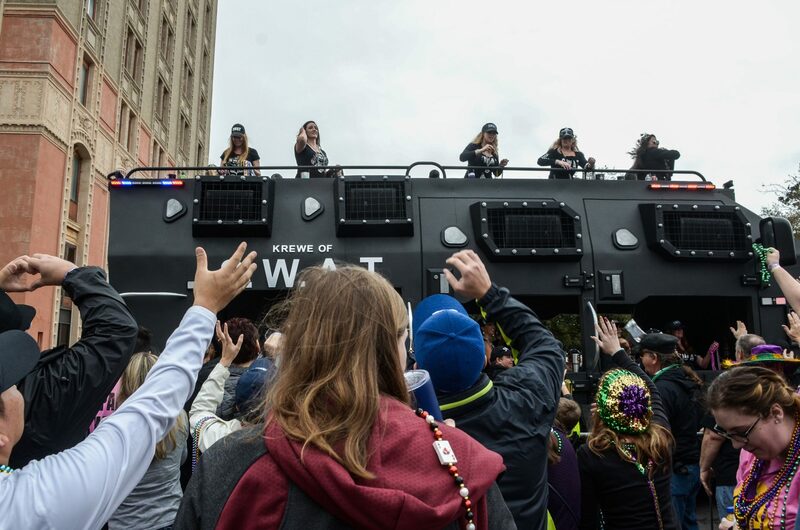 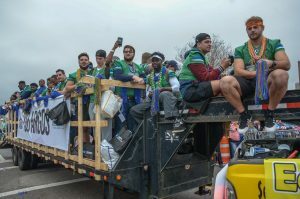 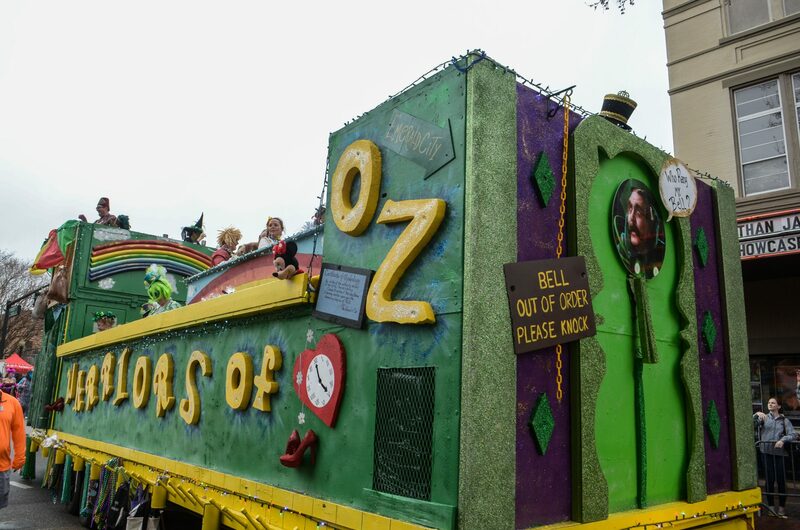 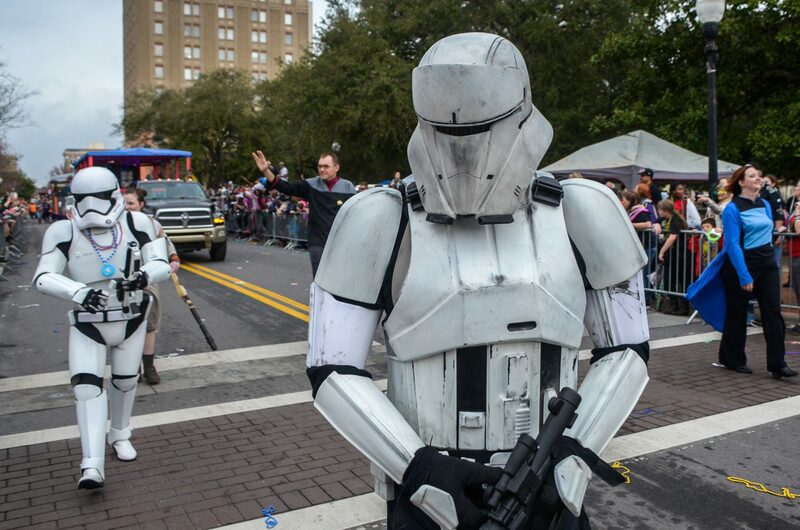 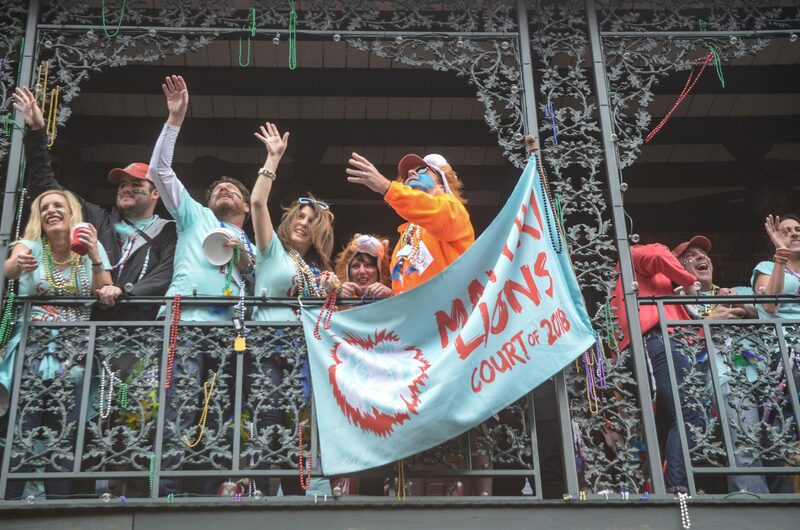 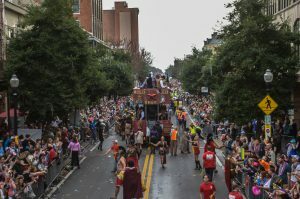 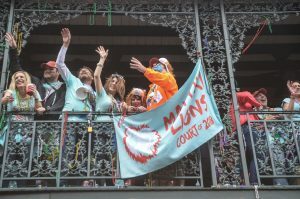 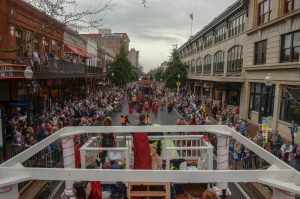 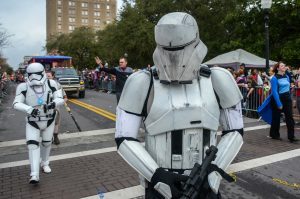 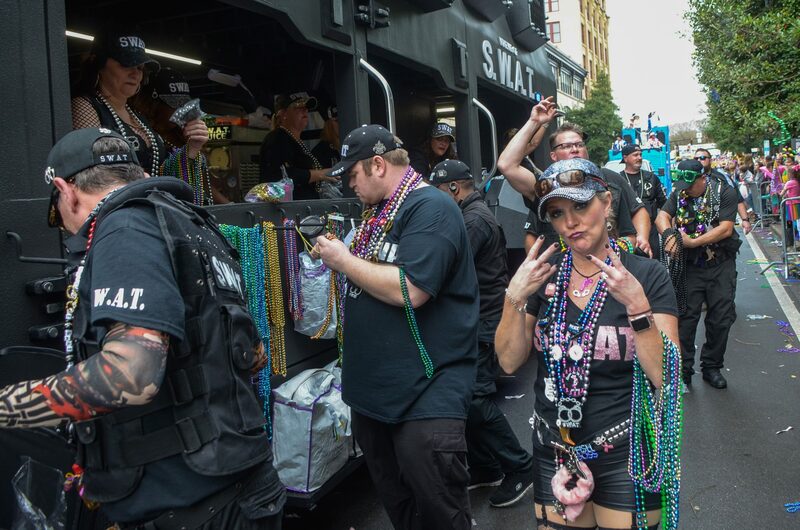 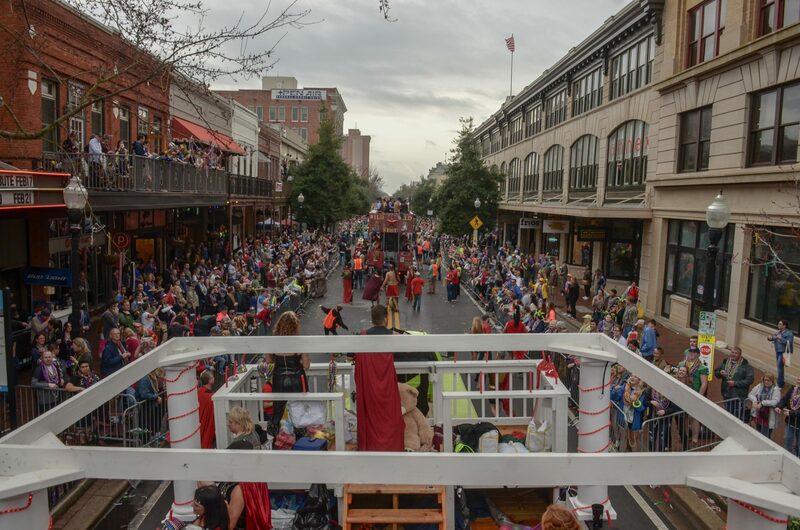 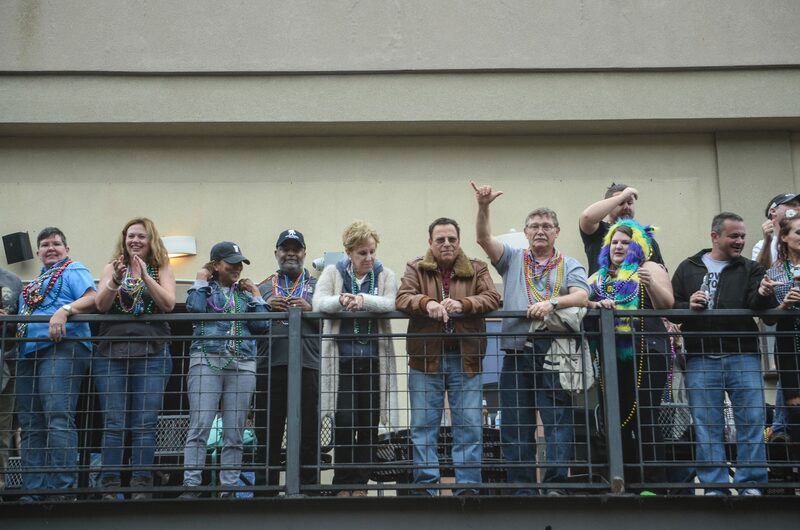 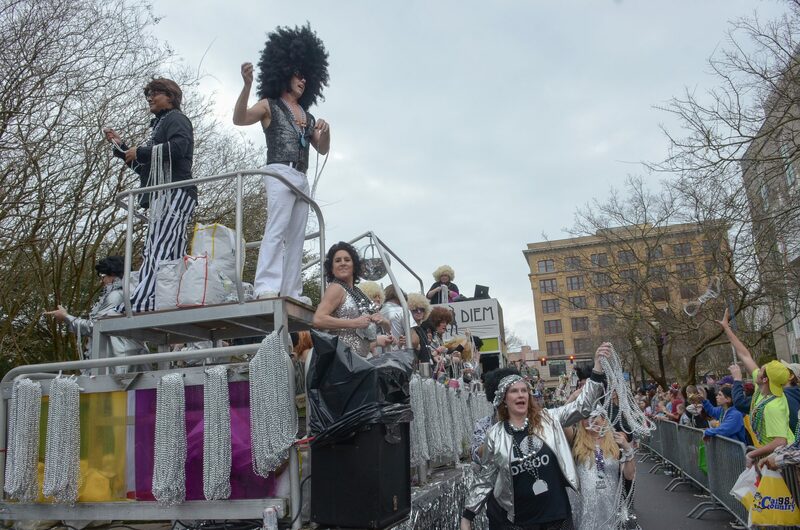 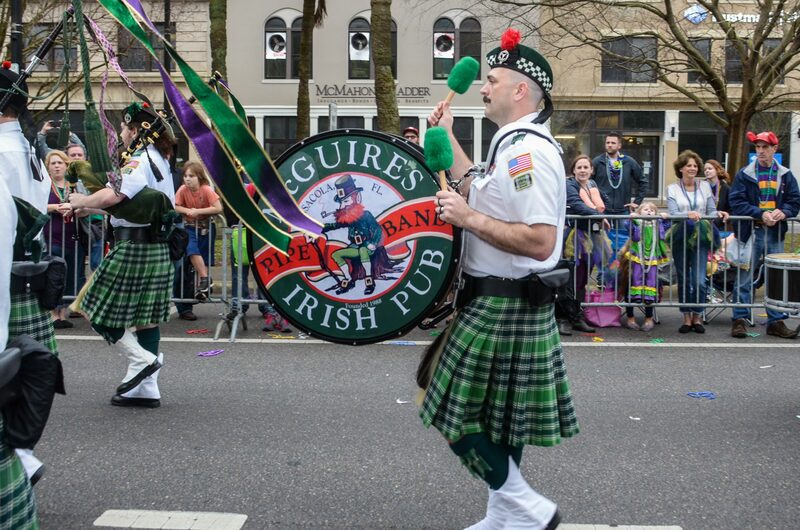 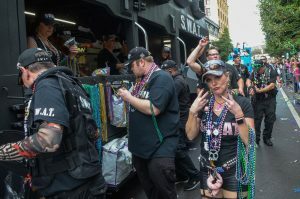 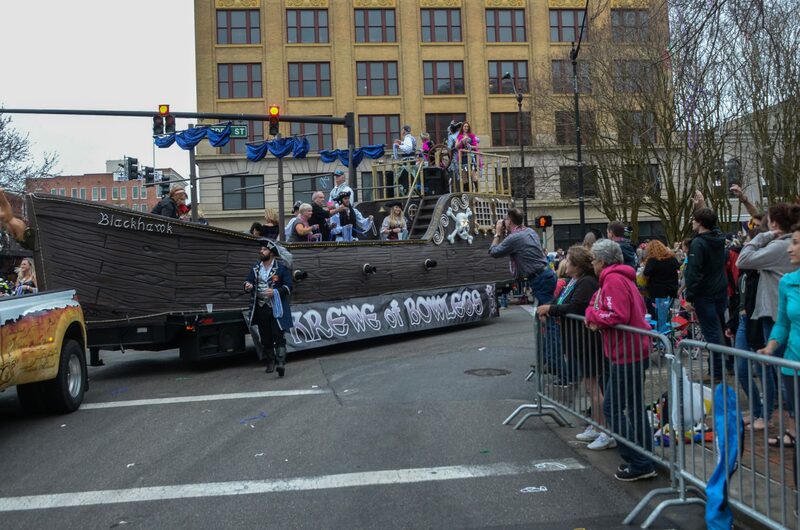 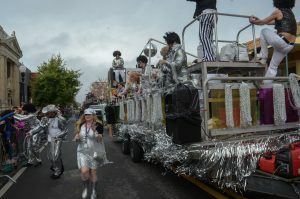 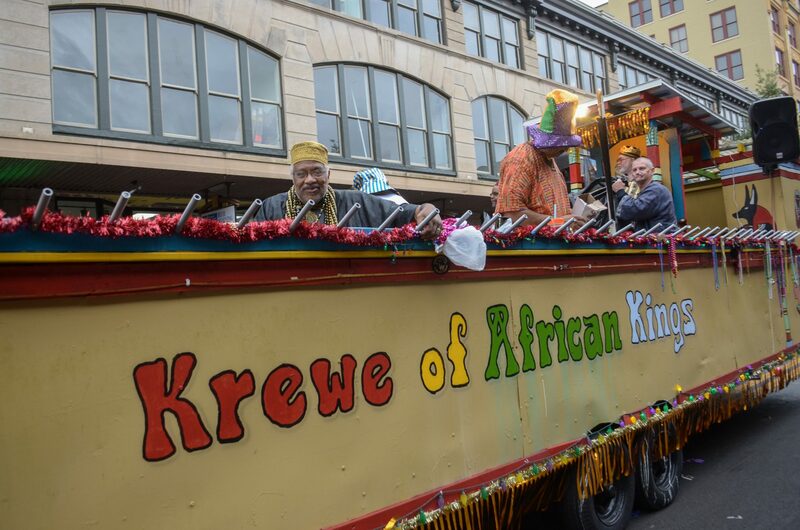 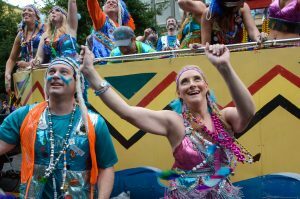 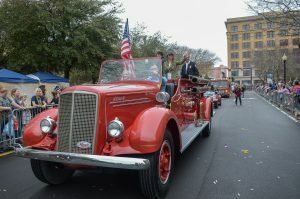 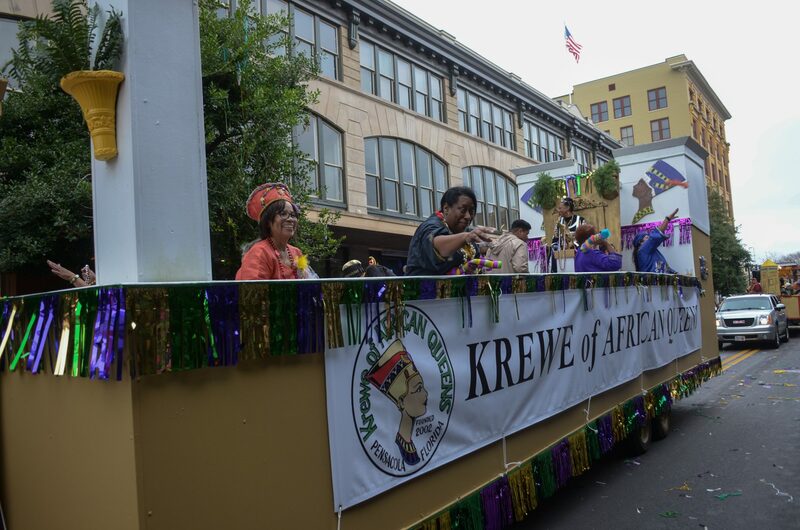 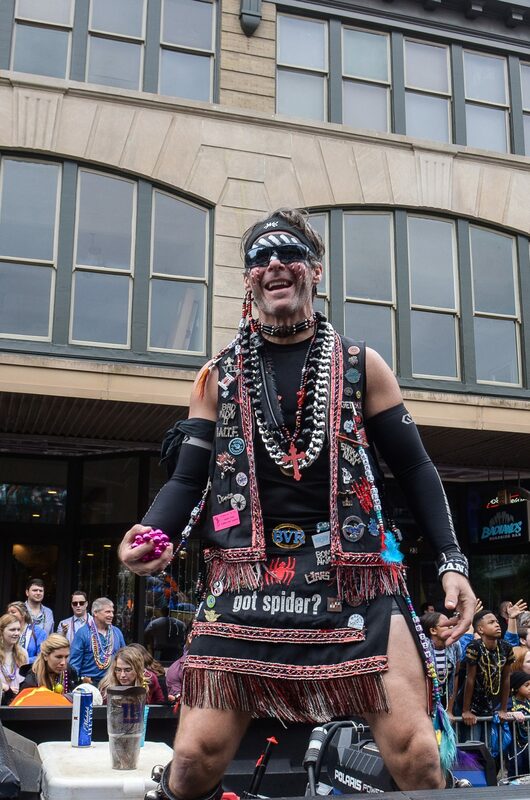 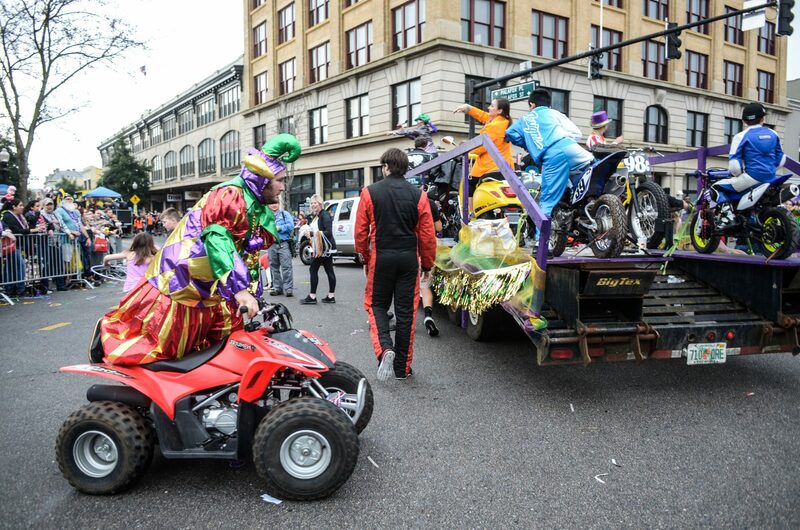 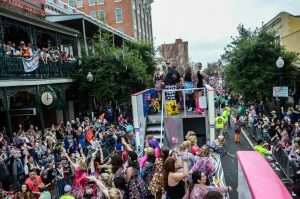 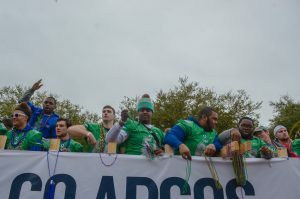 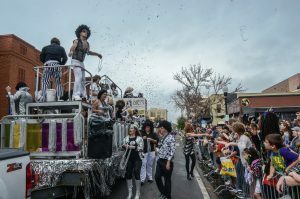 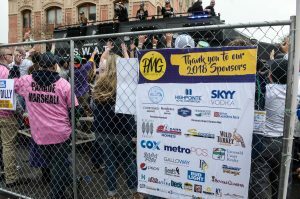 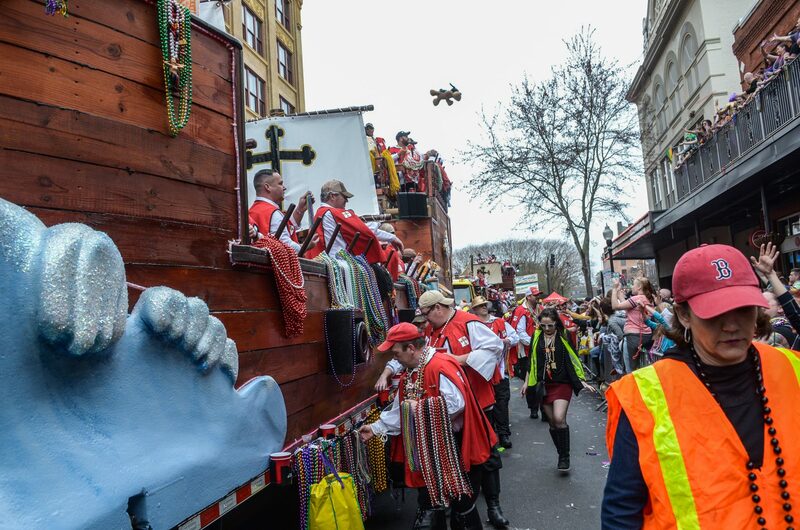 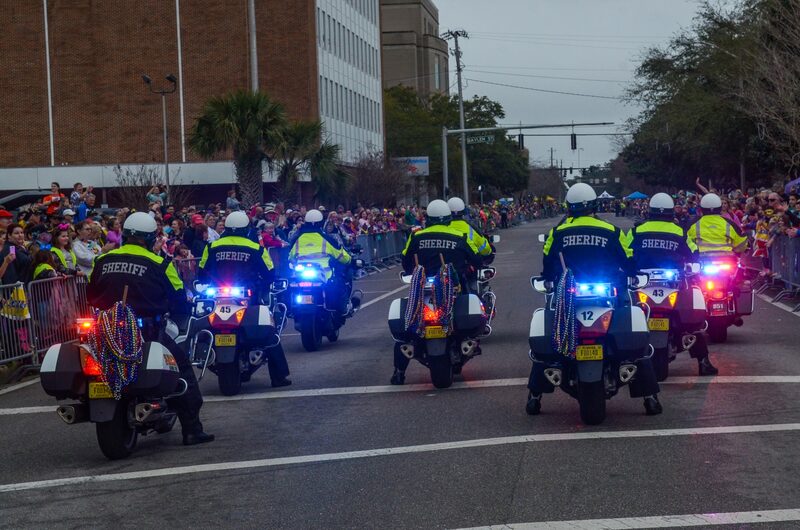 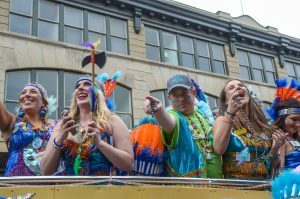 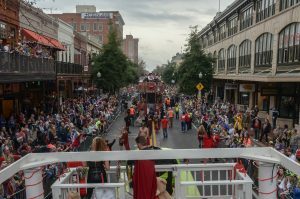 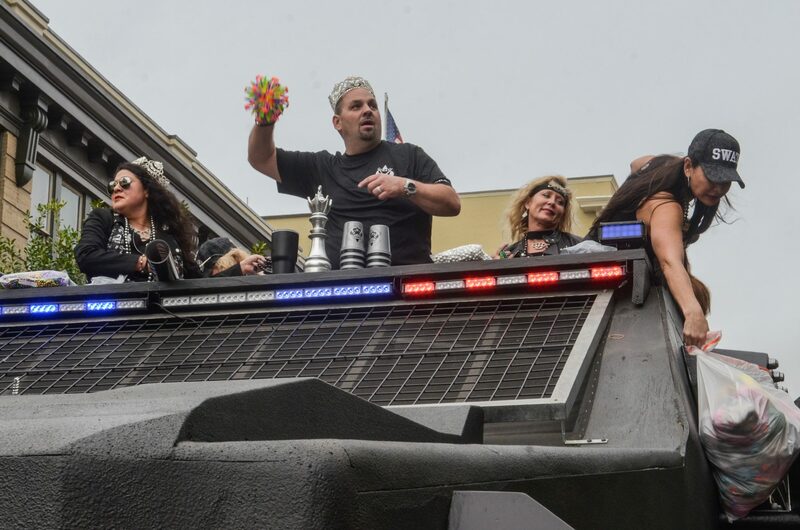 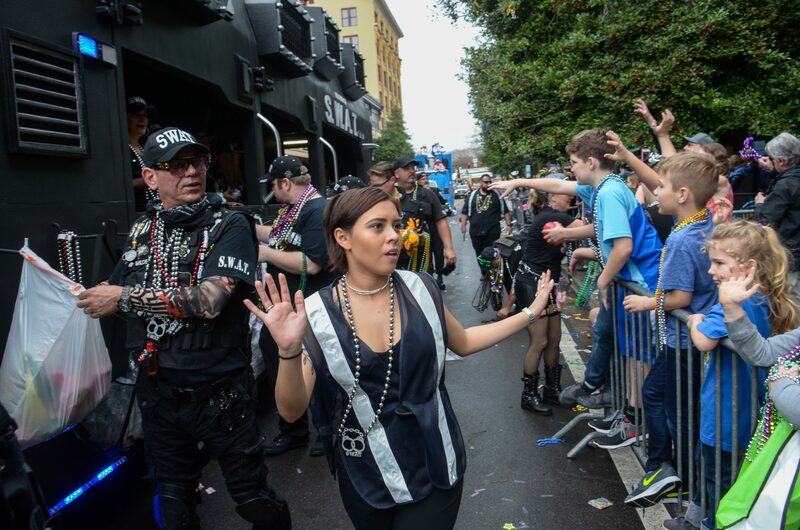 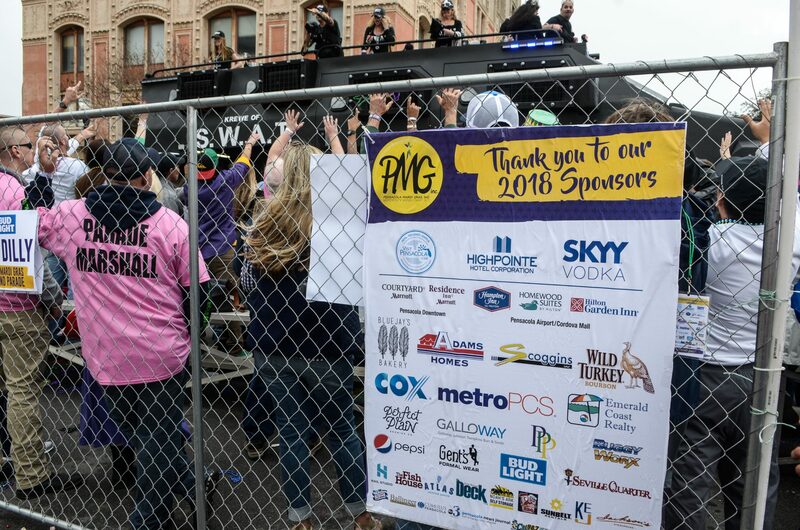 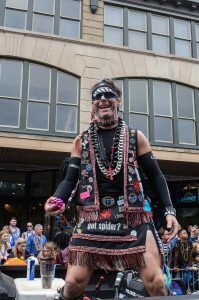 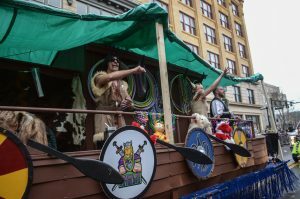 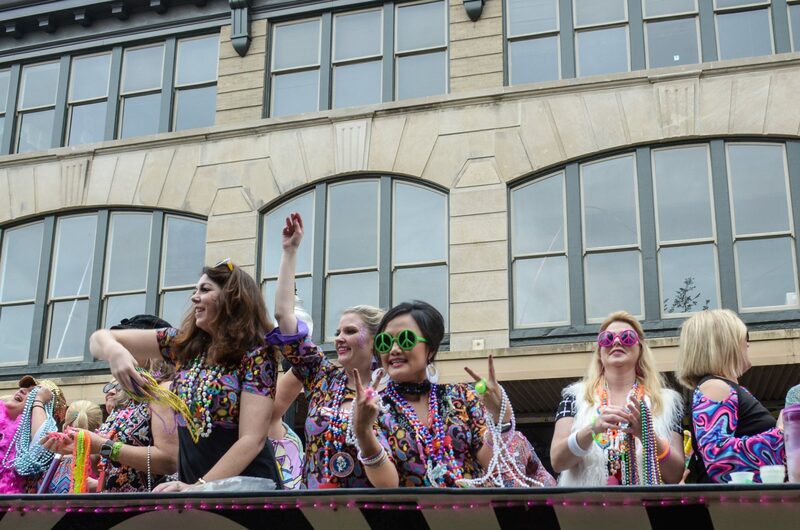 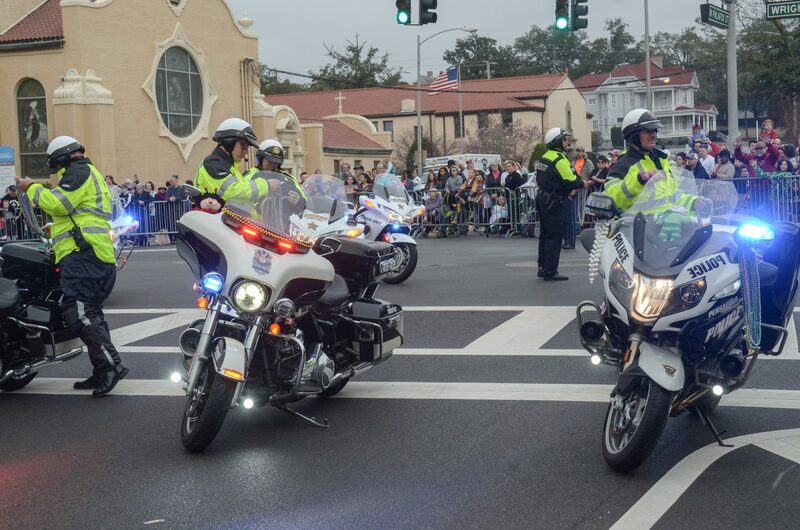 Perhaps it was the good spirits of an enthusiastic crowd and thousands of paraders, then, that kept the rain at bay, as the parade went off without a hitch and with nary a drop from the sky. 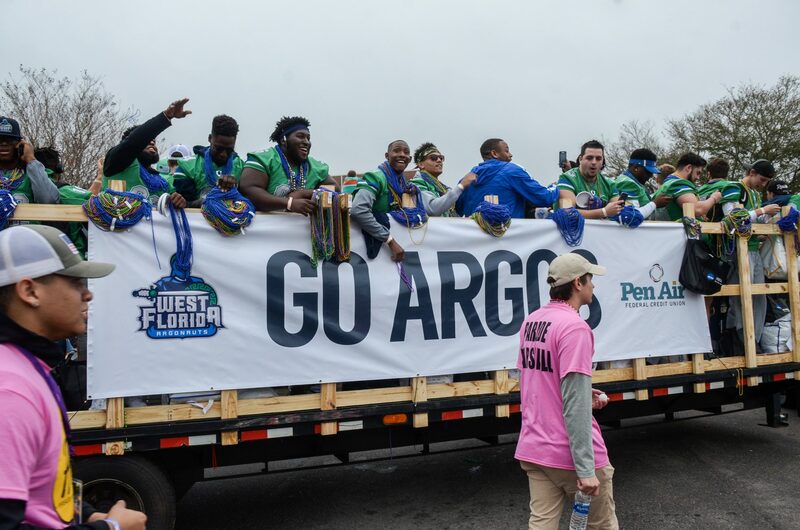 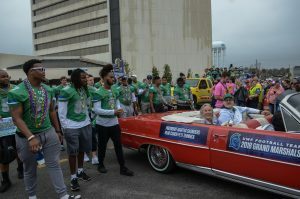 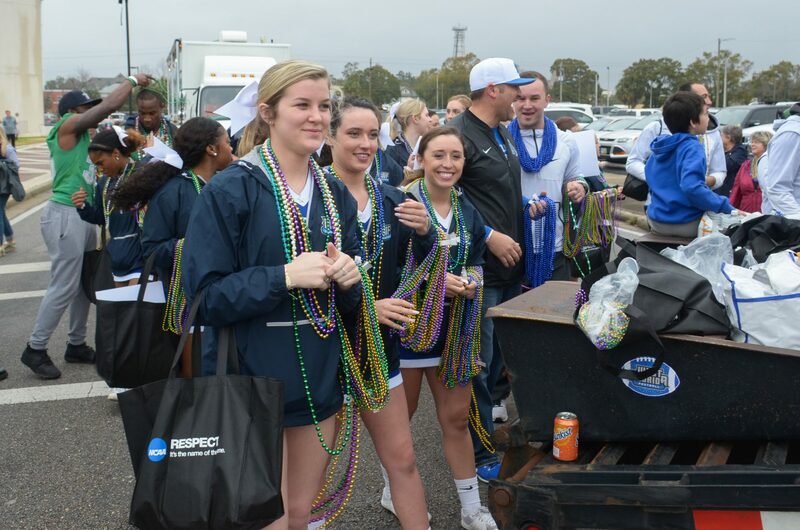 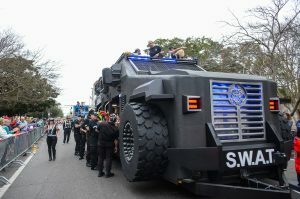 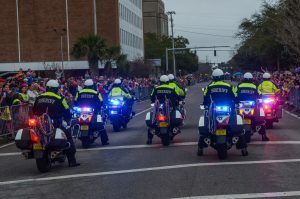 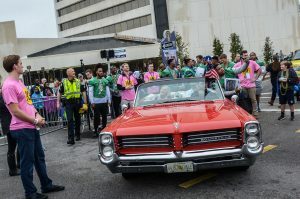 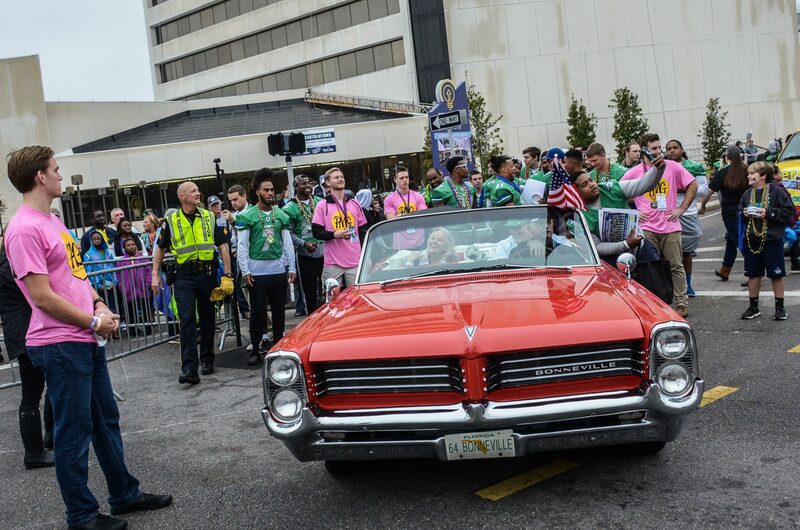 Led through the downtown streets by the University of West Florida Argonauts football team, which served as Grand Marshalls in celebration of a season that saw the team go to the NCAA Division II championship game, the parade ran for more than two hours, as krewes, businesses, and civic organizations showered the crowds in beads, MoonPies, trinkets, toys, cups and more. While audiences were somewhat sparse early on, it seemed those watching at home on WEAR-TV saw that the rain was staying away and rushed down to catch their share of the loot. 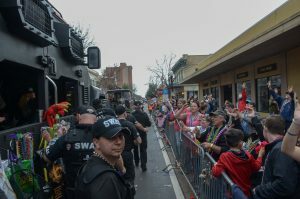 Crowds visibly grew as the parade ran on, and everyone seemed to leave the parade route laden with treats and with smiles on their faces.